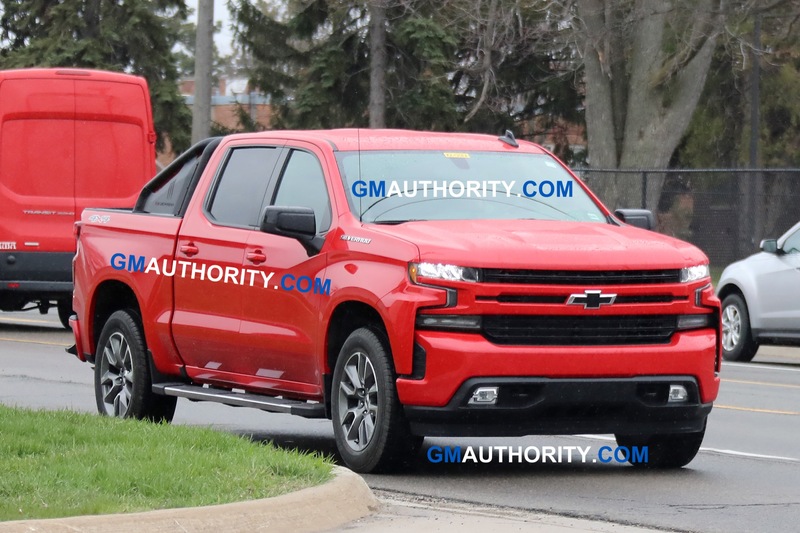 Chevrolet will completely overhaul (redesign and re-engineer) the Silverado 1500 for the 2019 model year. 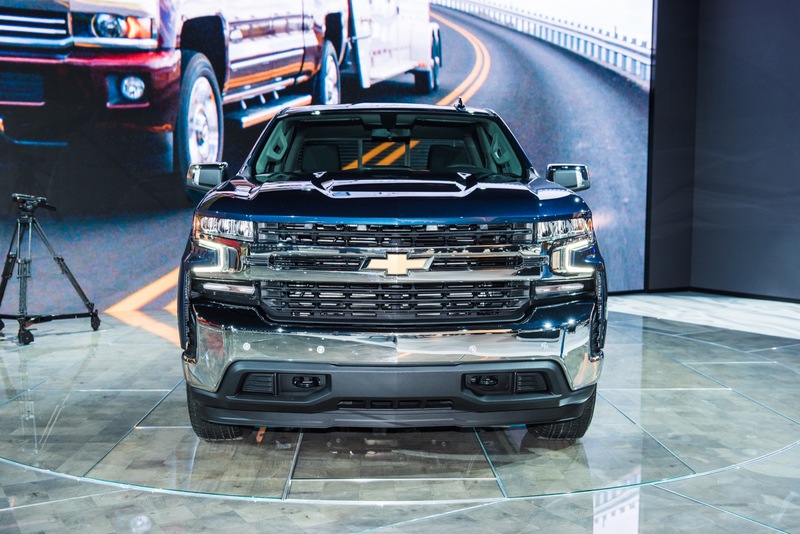 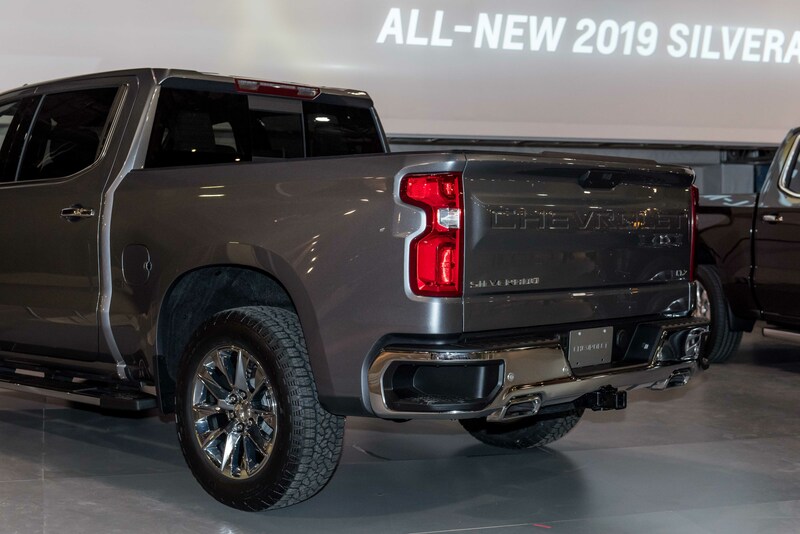 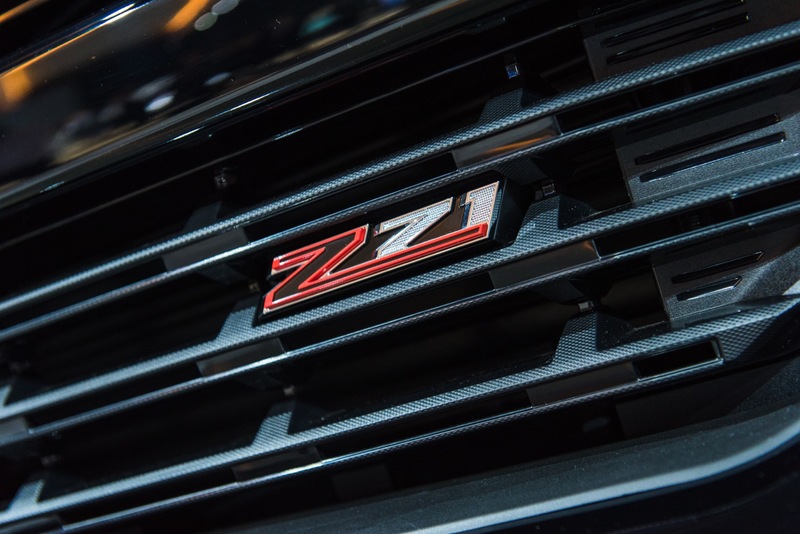 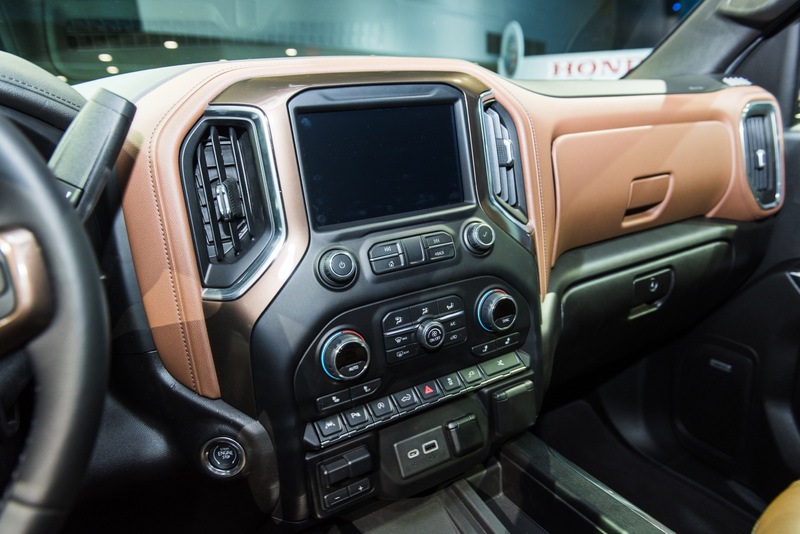 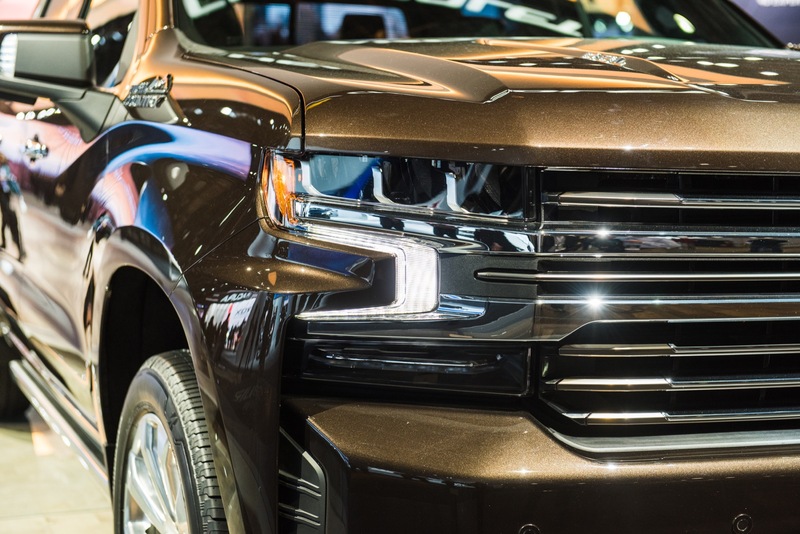 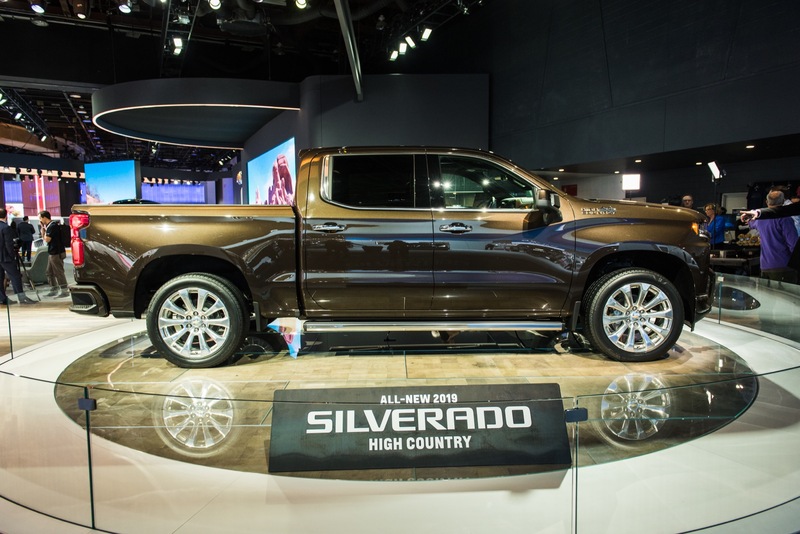 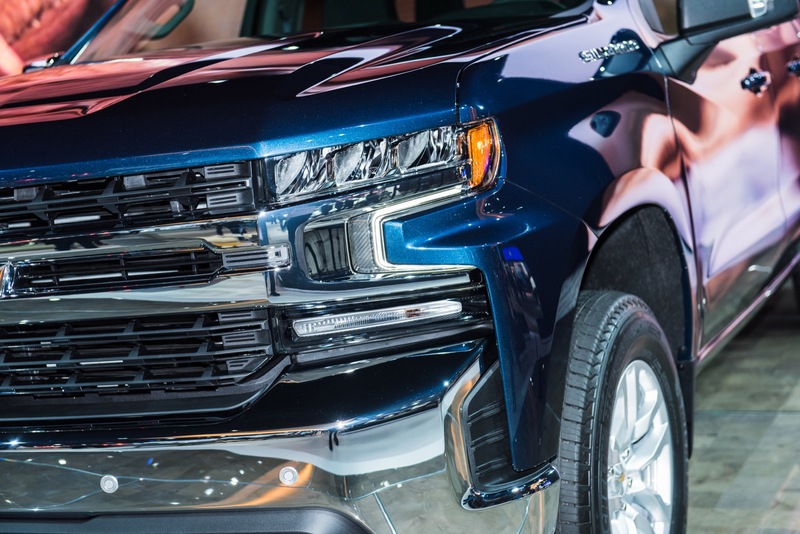 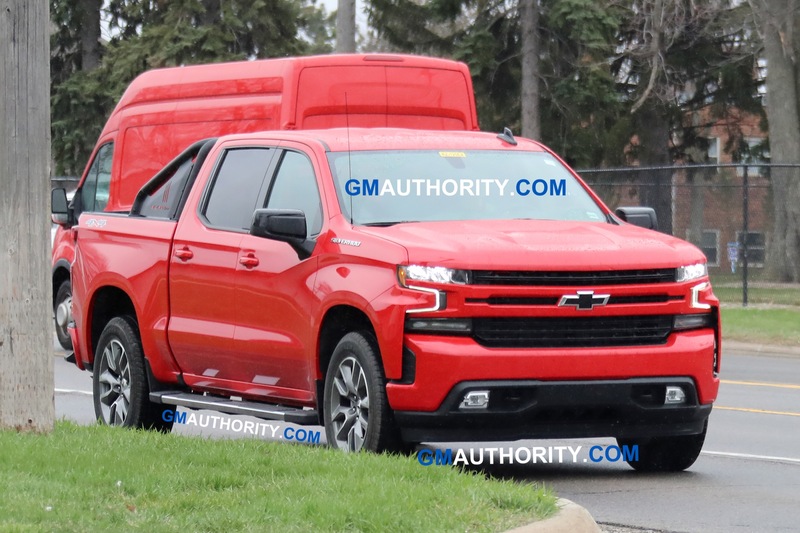 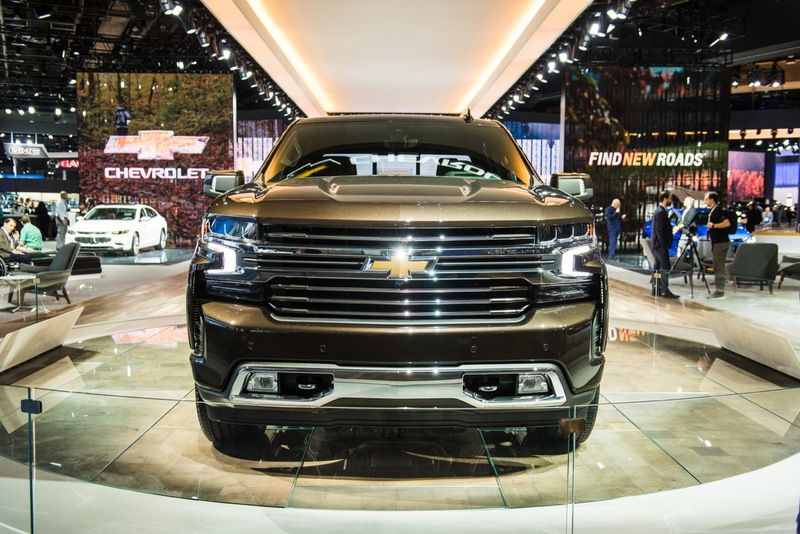 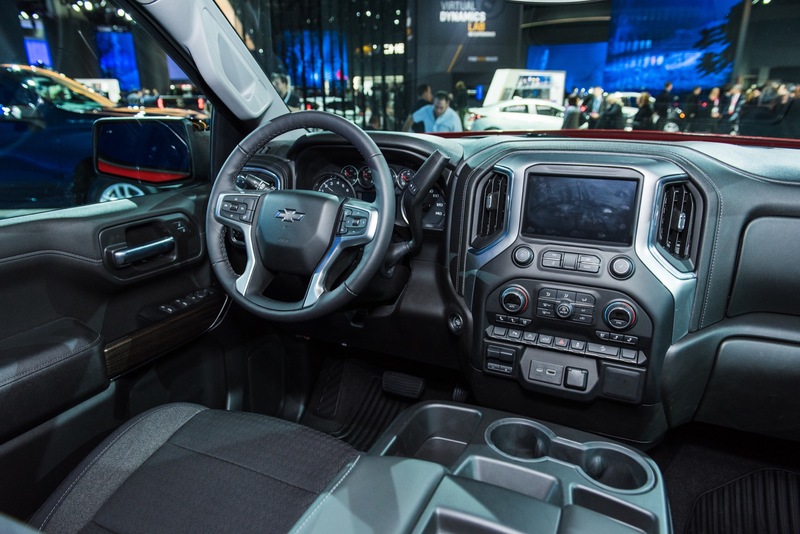 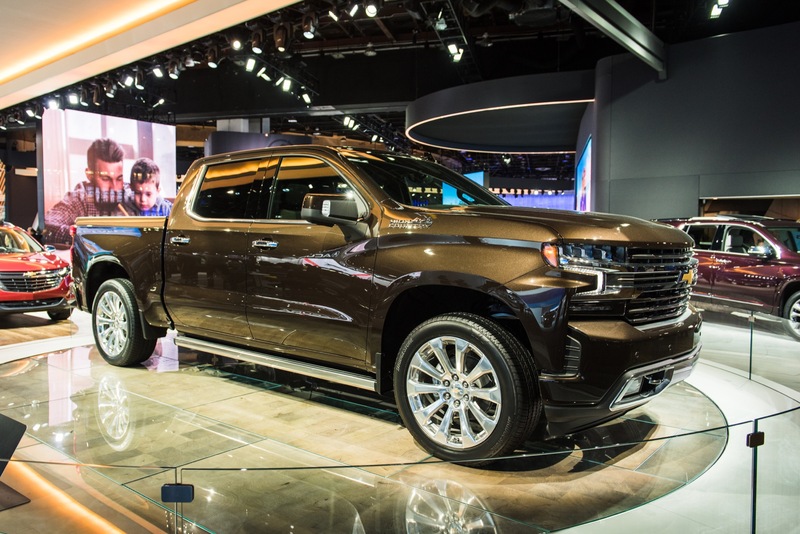 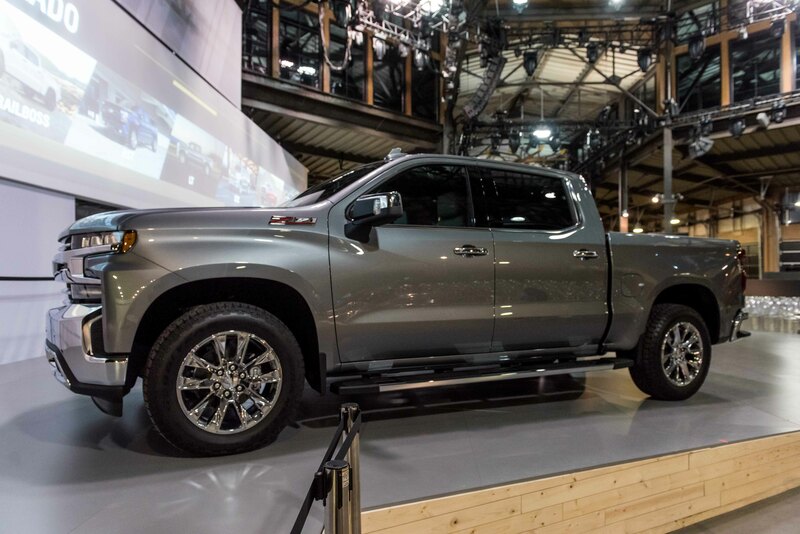 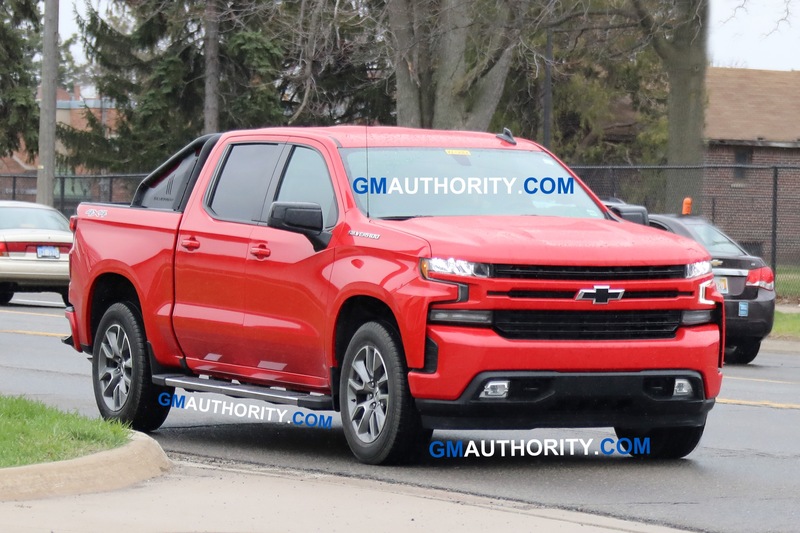 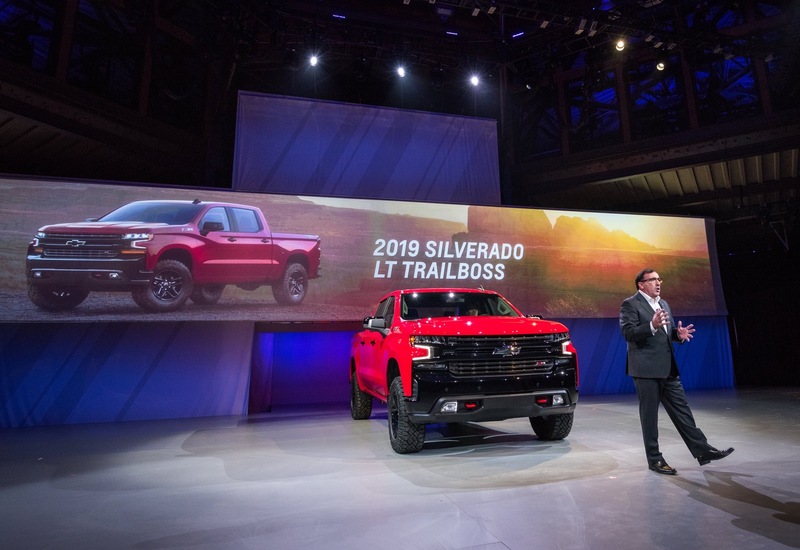 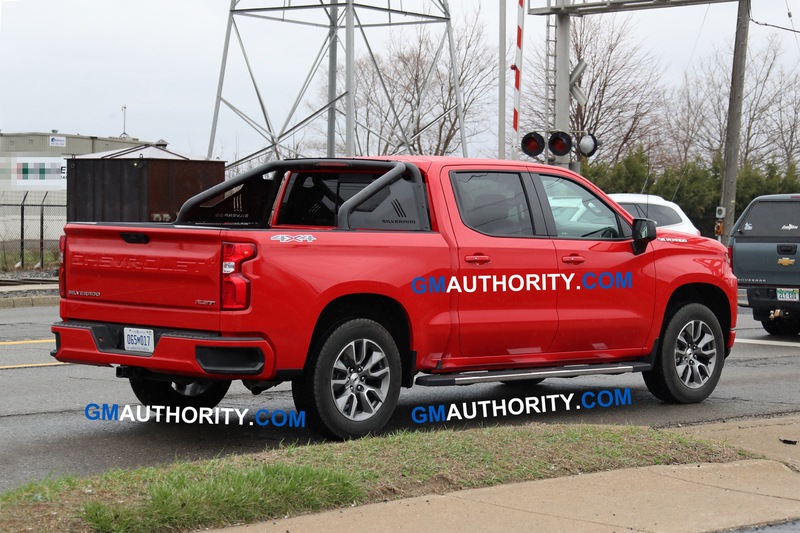 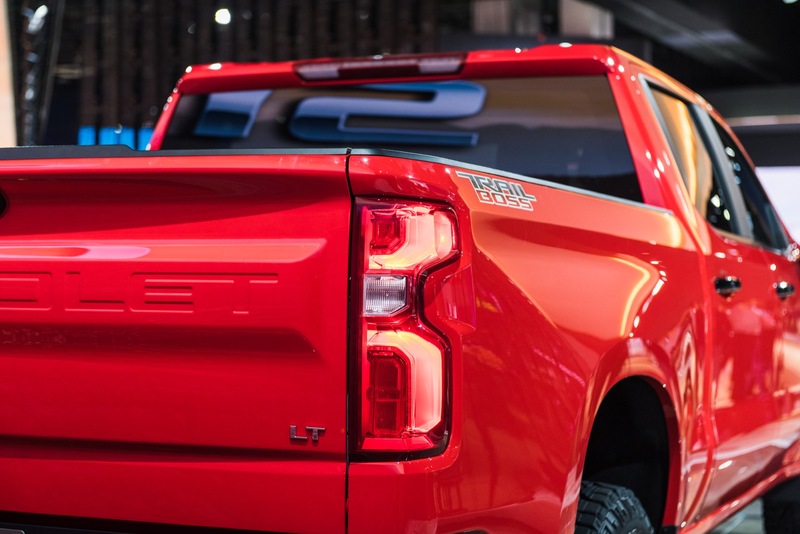 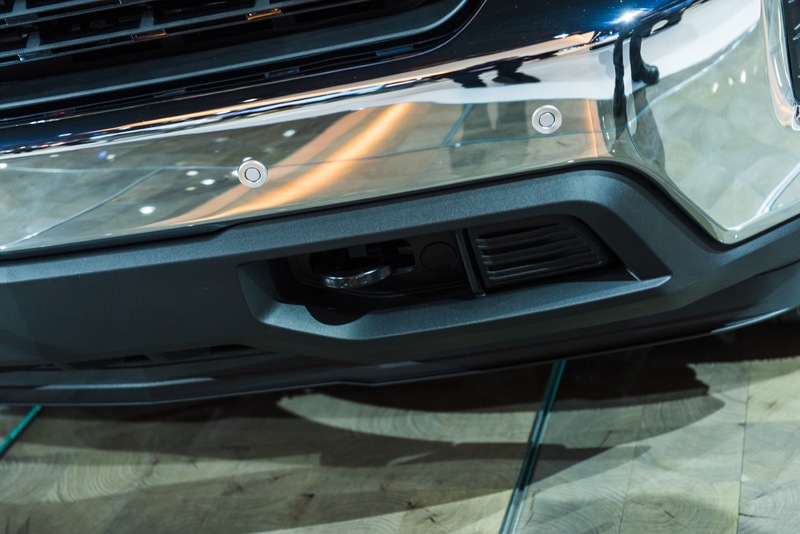 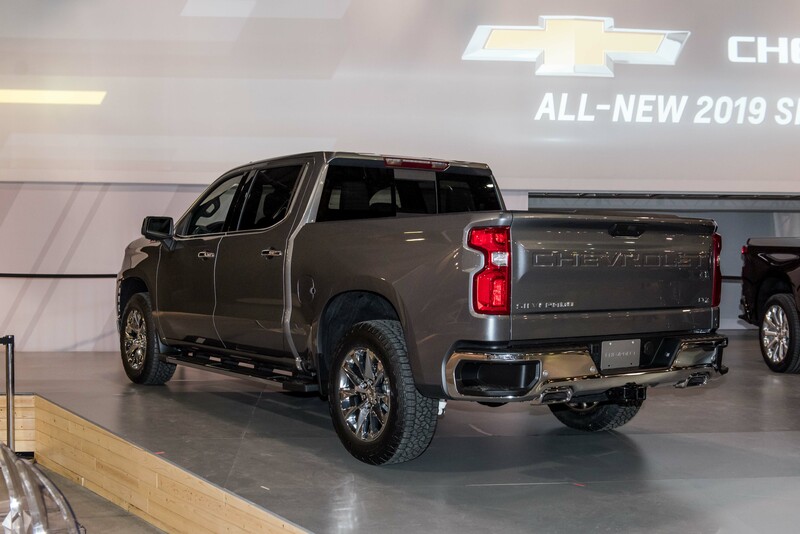 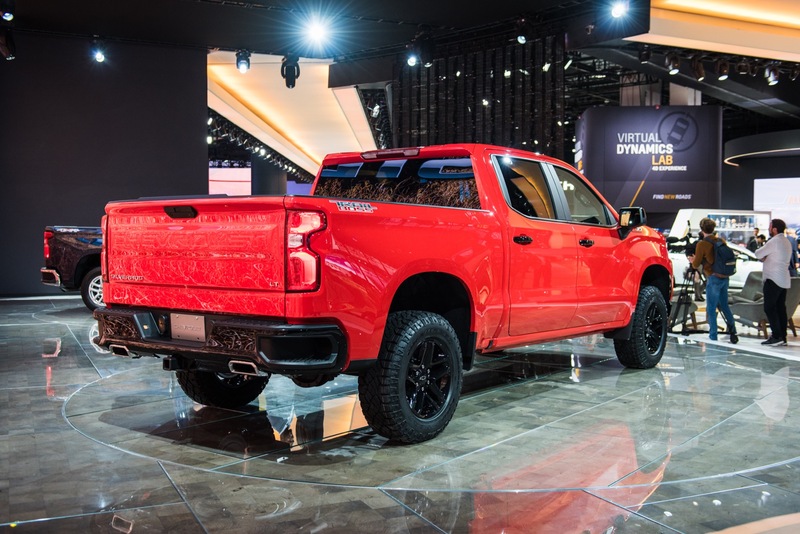 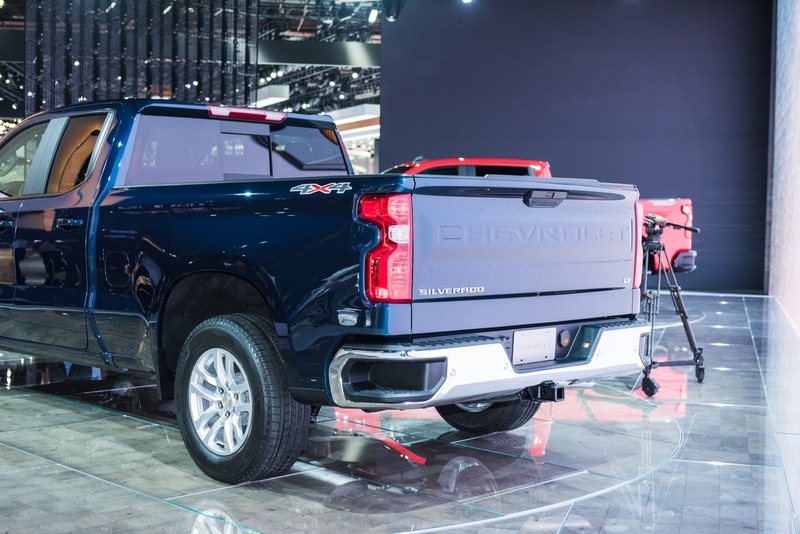 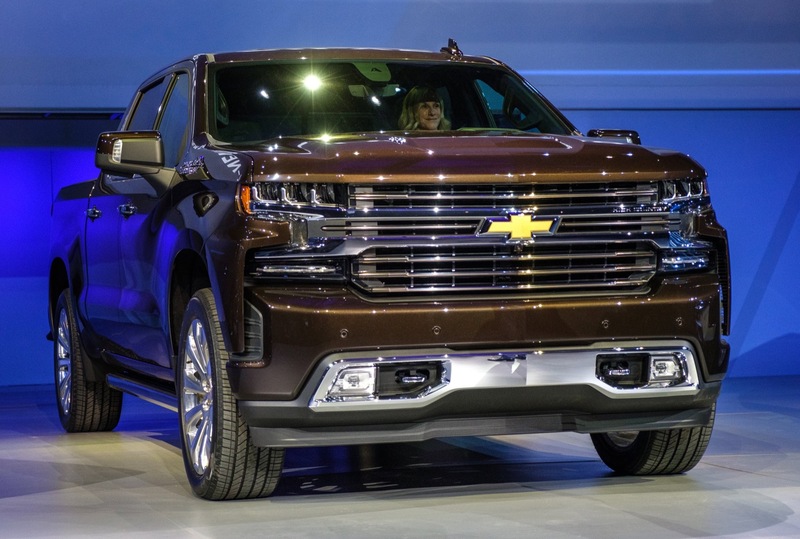 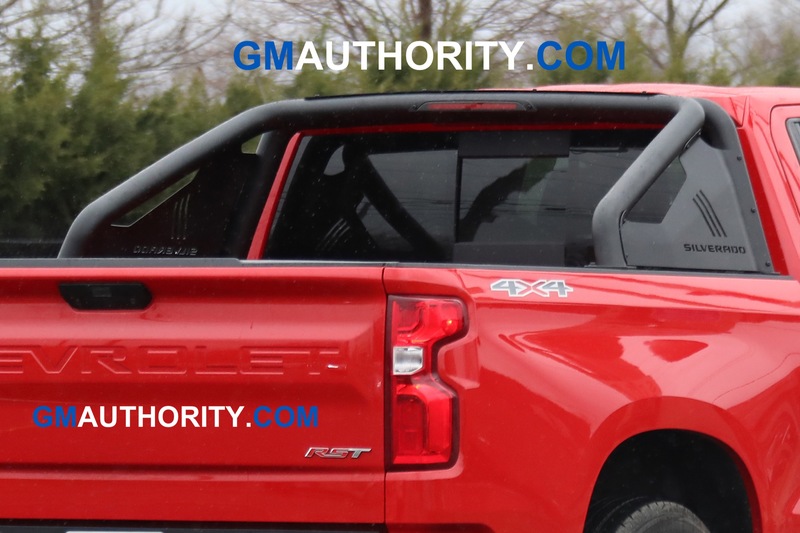 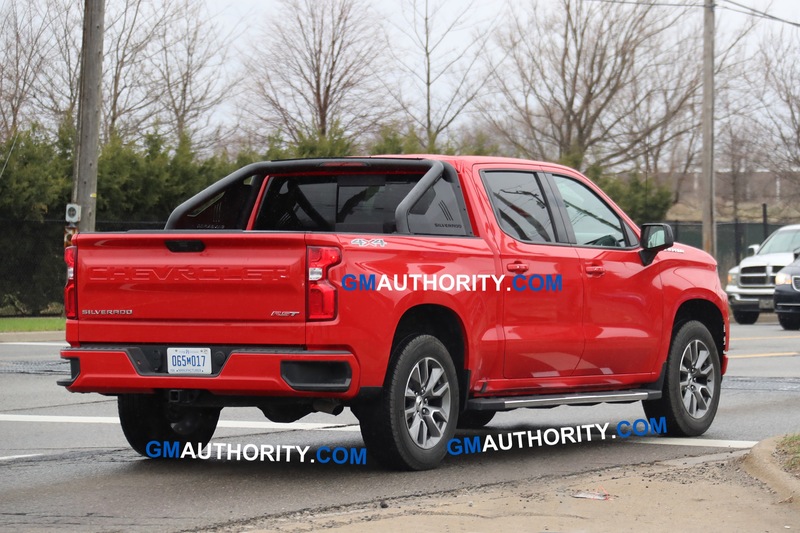 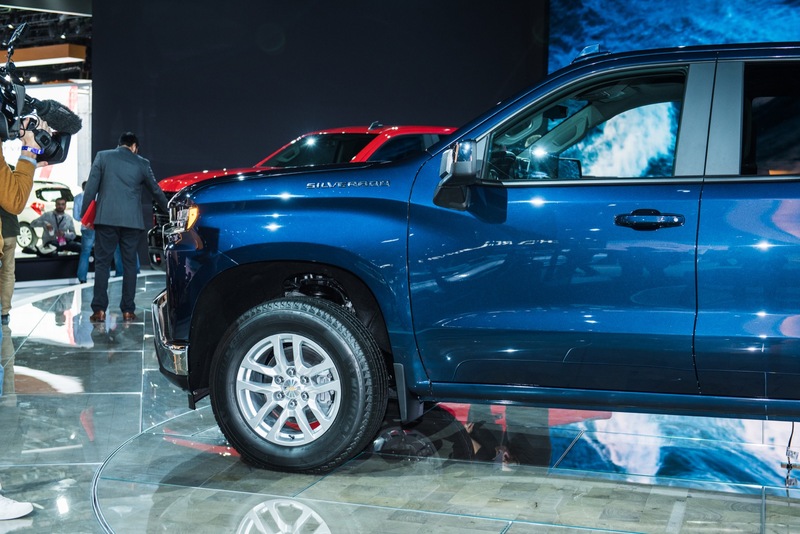 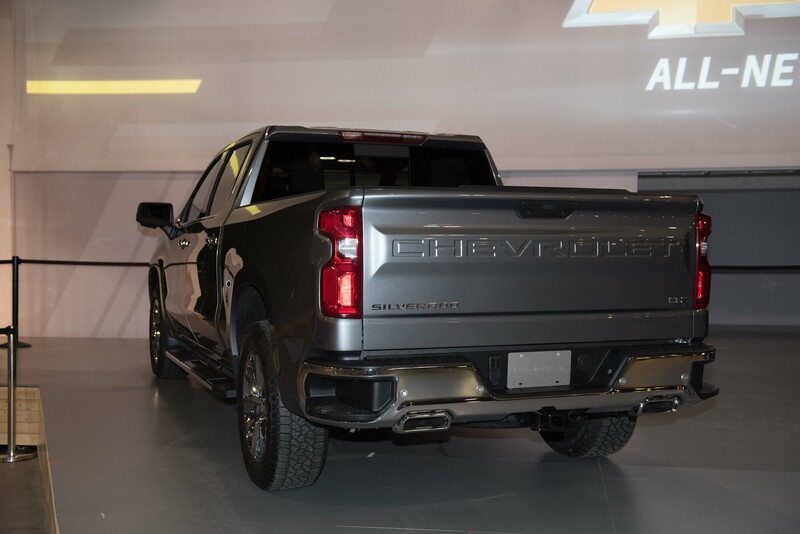 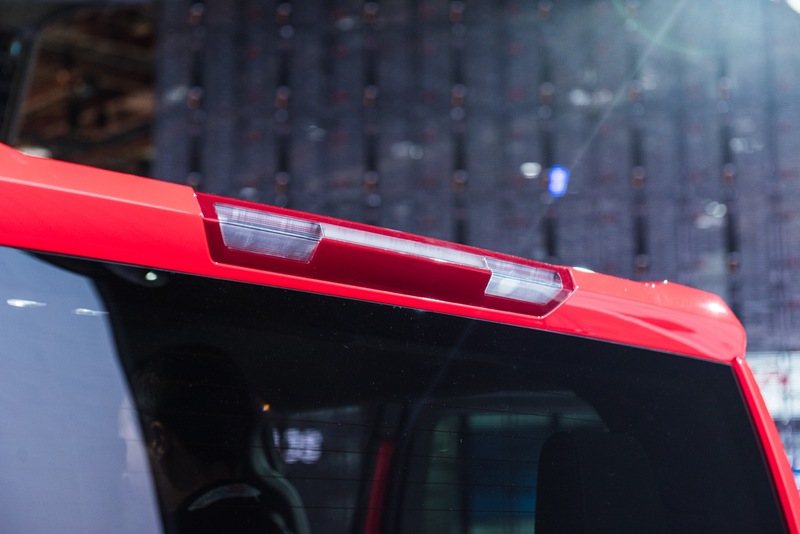 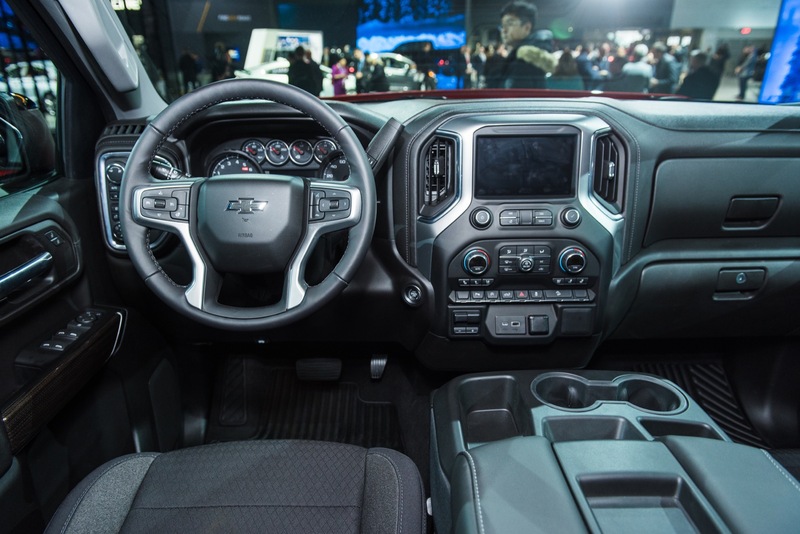 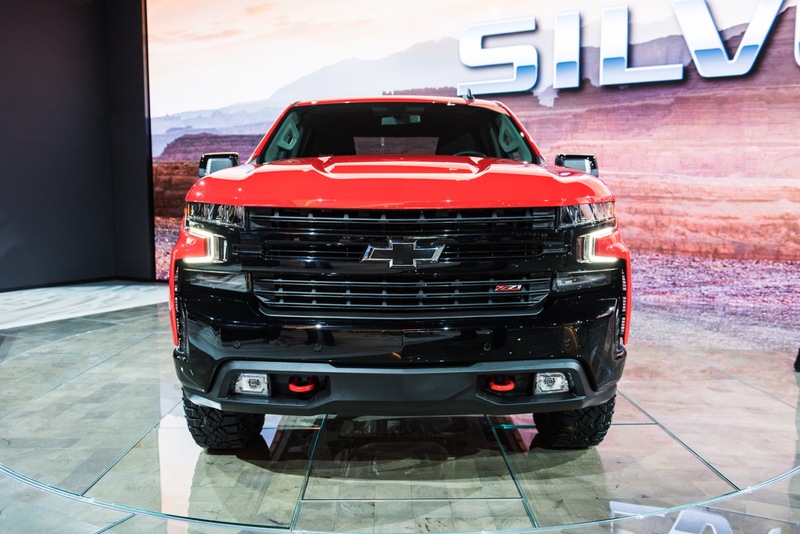 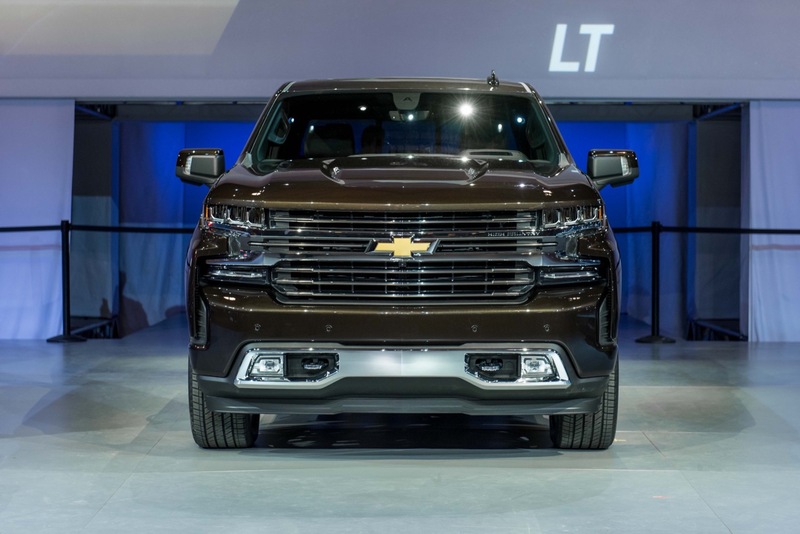 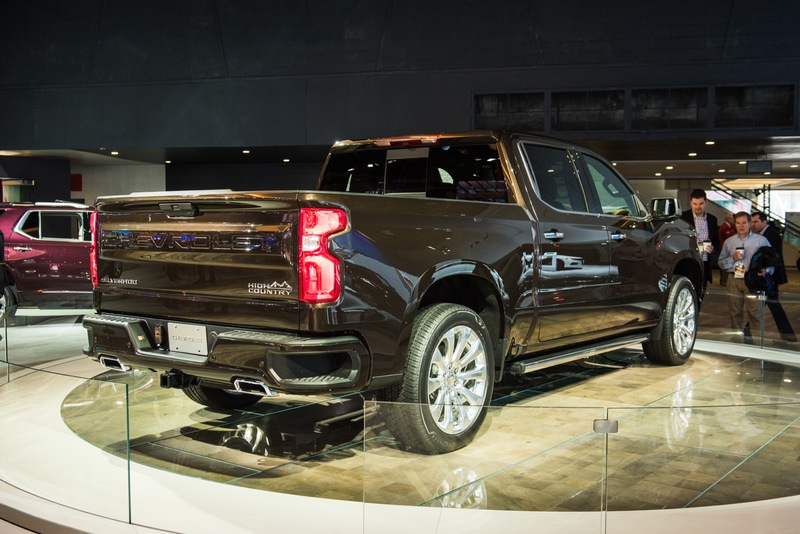 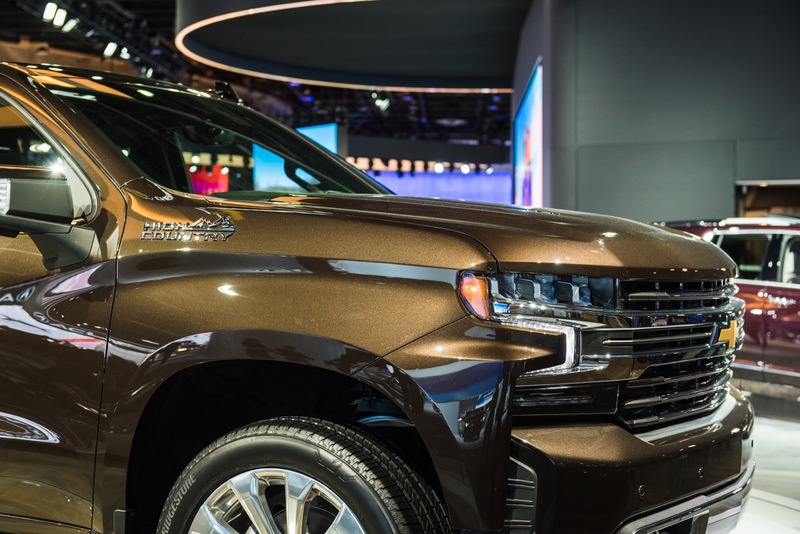 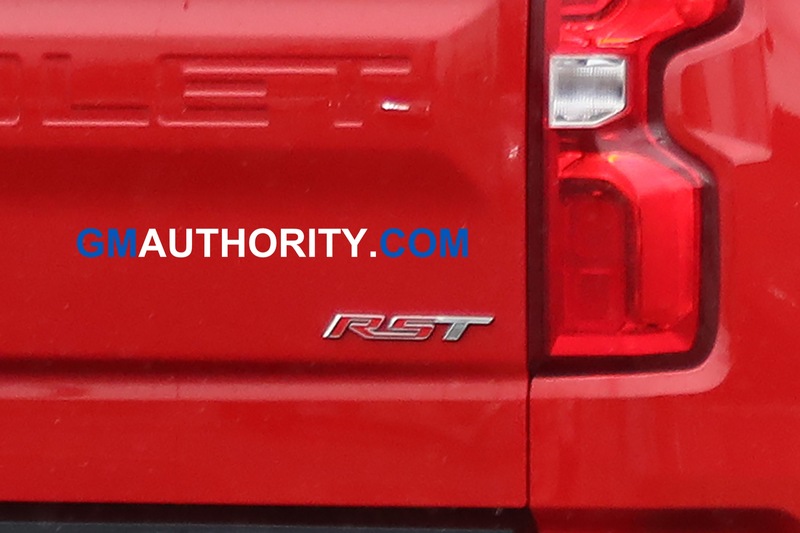 The update will come six years after the launch of the current, third-generation Silverado, thereby marking the fourth generation of the Silverado nameplate. 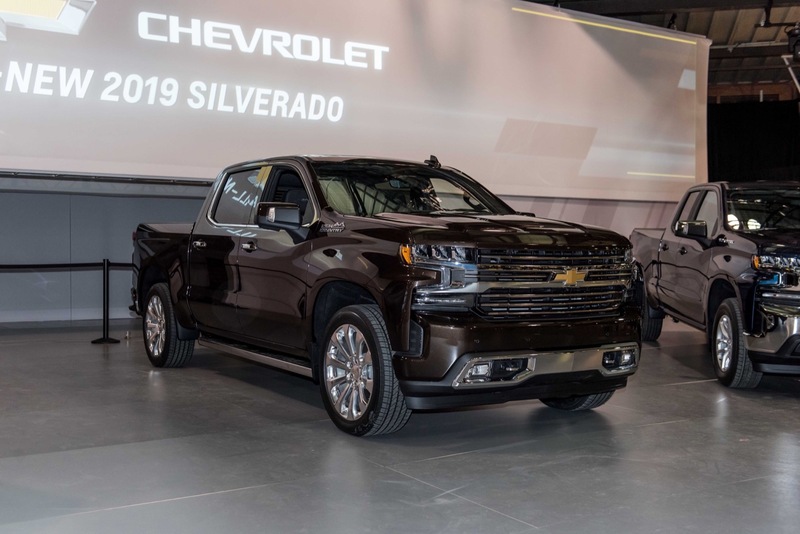 The current-generation, K2 Silverado will remain in production alongside the all-new model for one or two models years. 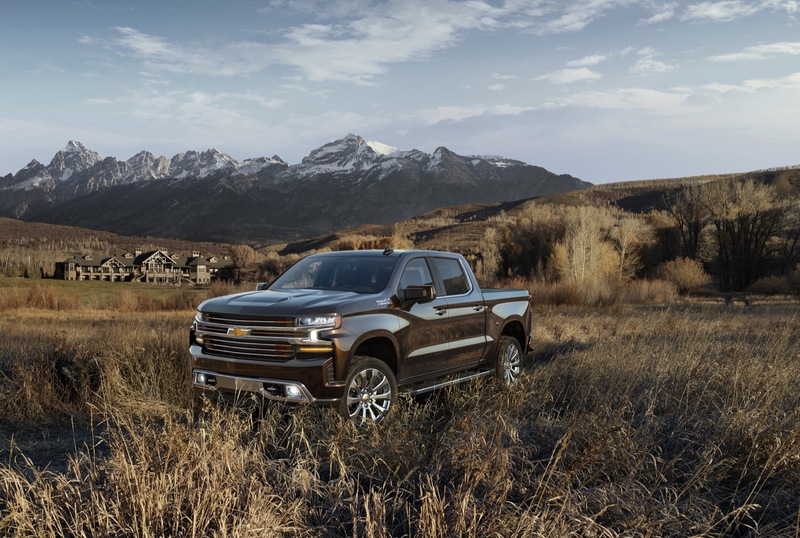 Chevrolet has confirmed that the all-new 2019 Silverado 1500 will go on sale in the United States in late 2018. 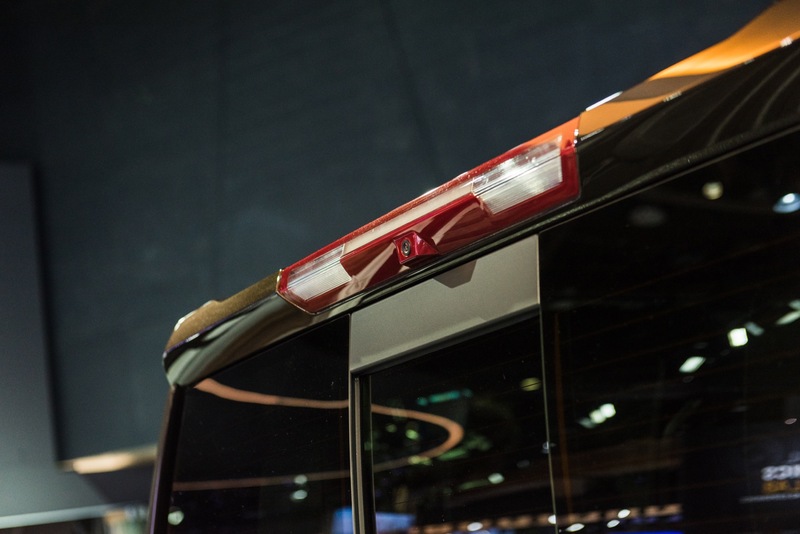 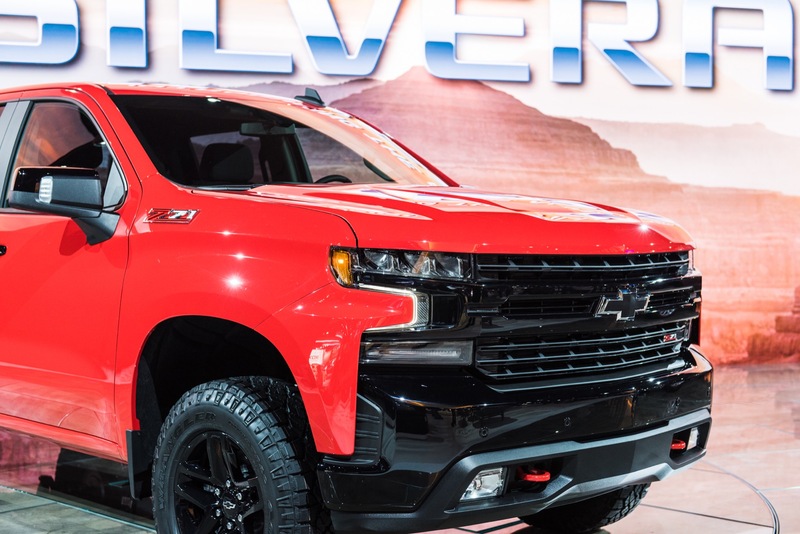 The Silverado 1500 will be offered in eight different models, one of which is the Silverado Z71 Trailboss. 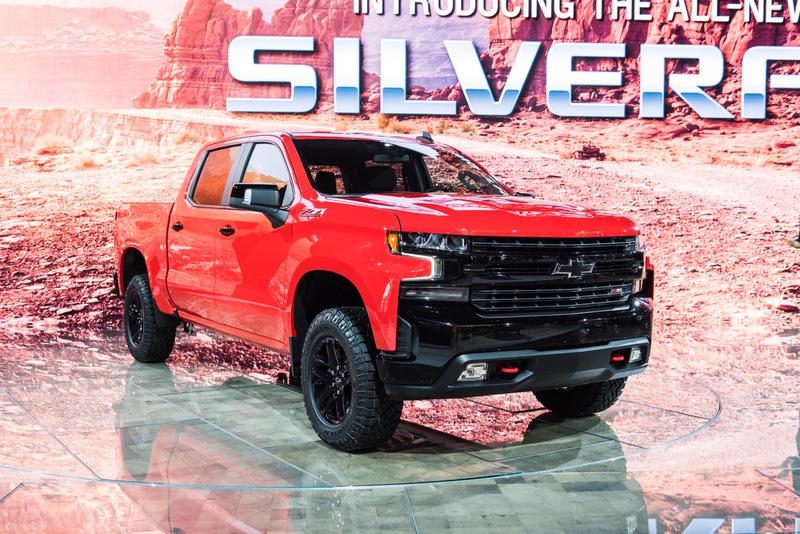 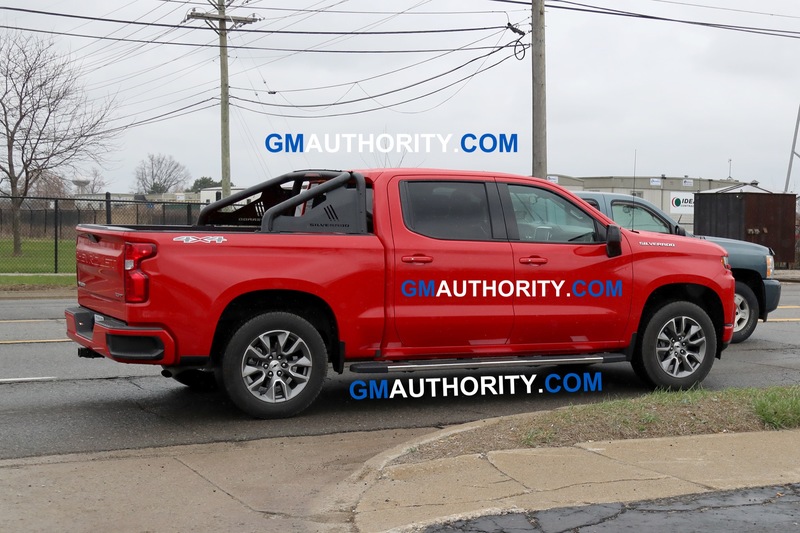 We expect the upcoming 2019 Chevy Silverado 1500 truck to have a base price in the $25,000 range for the work truck configuration and reach as much as $65,000 for the range-topping model. 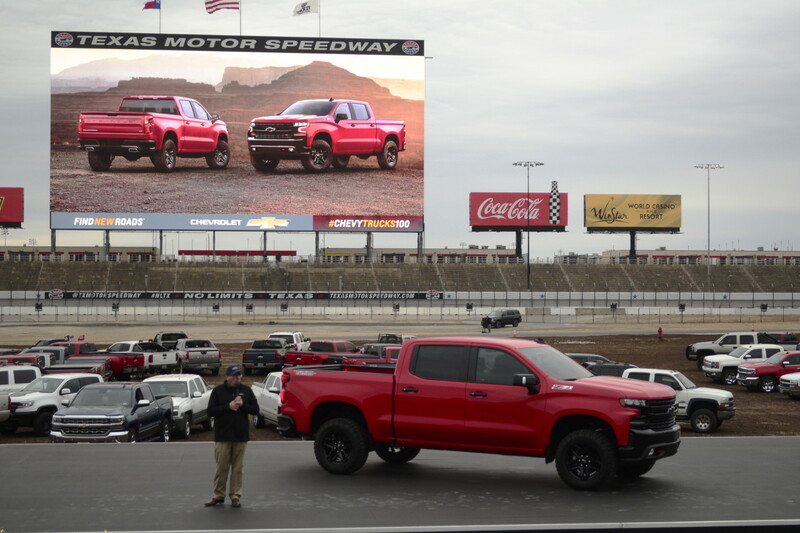 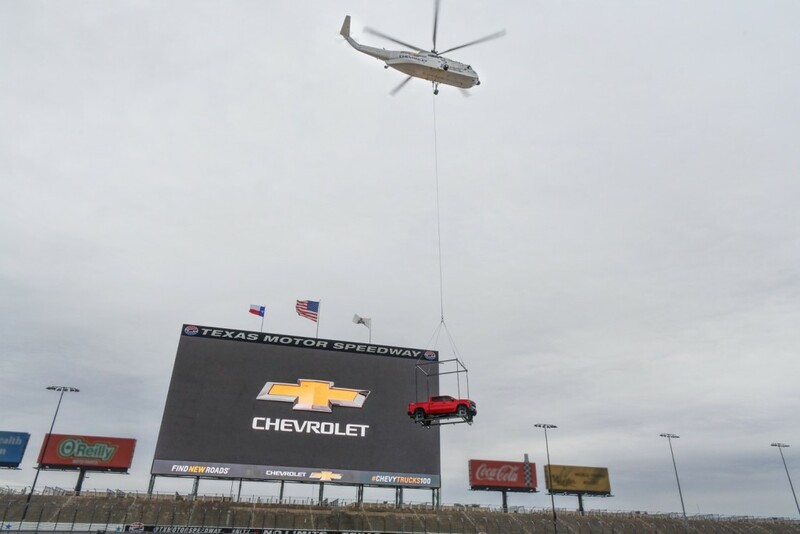 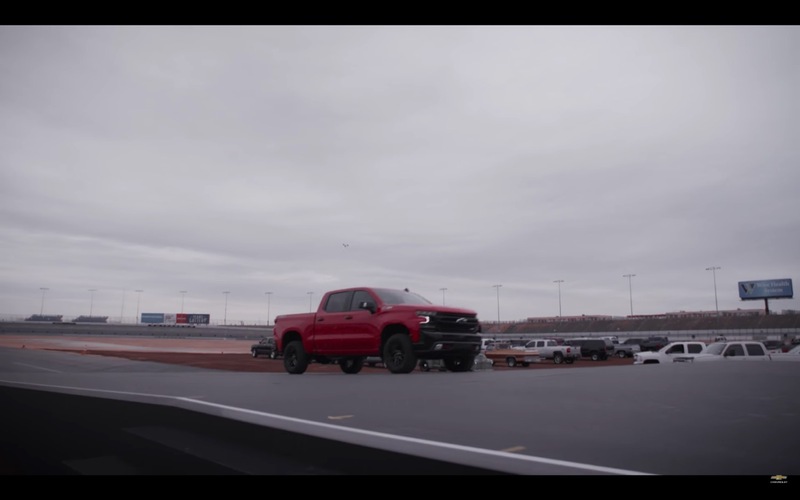 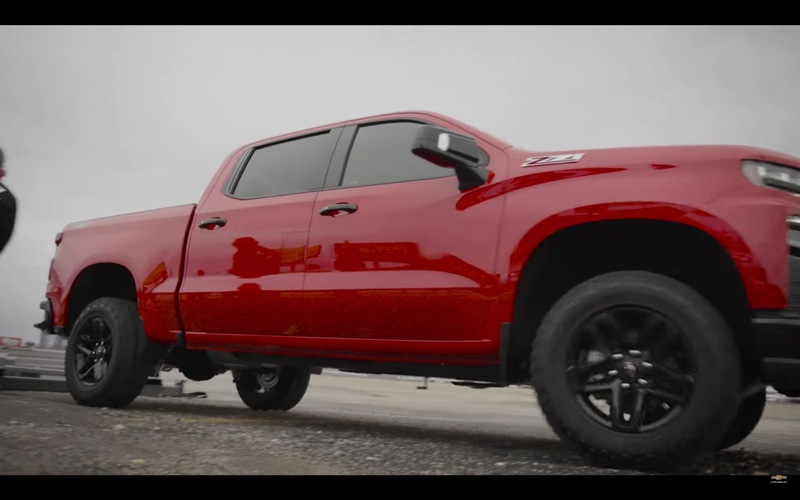 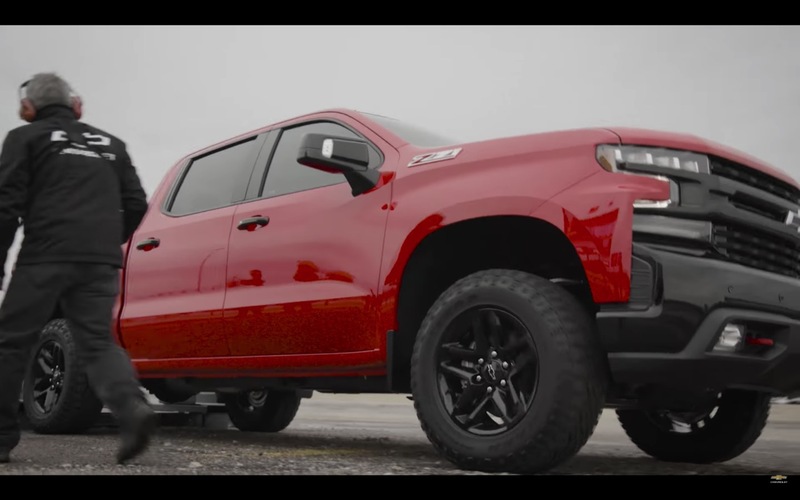 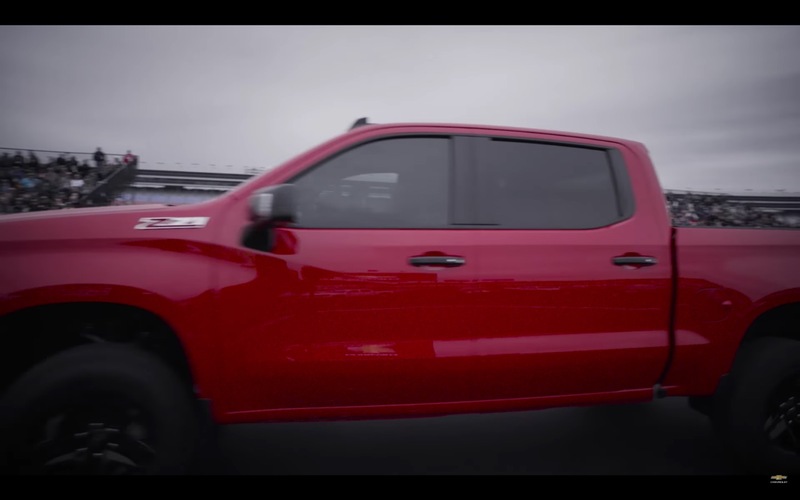 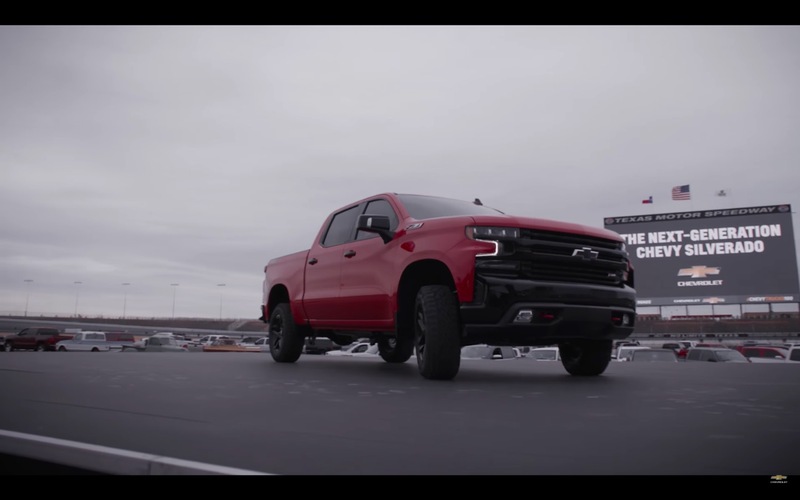 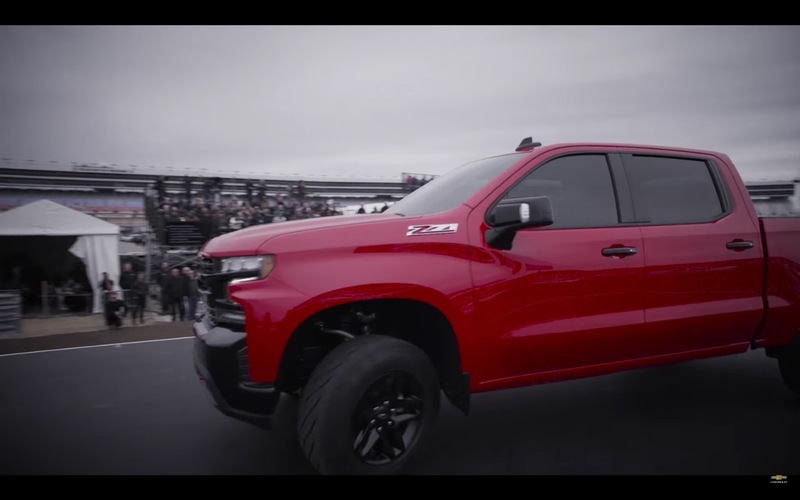 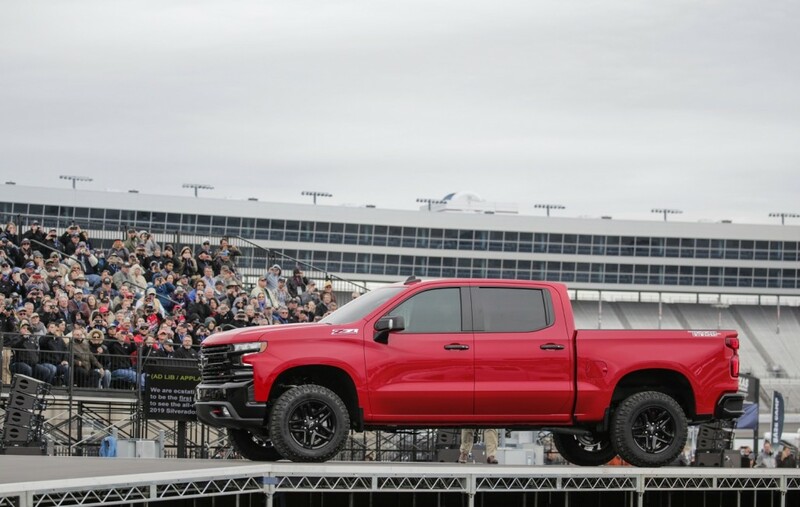 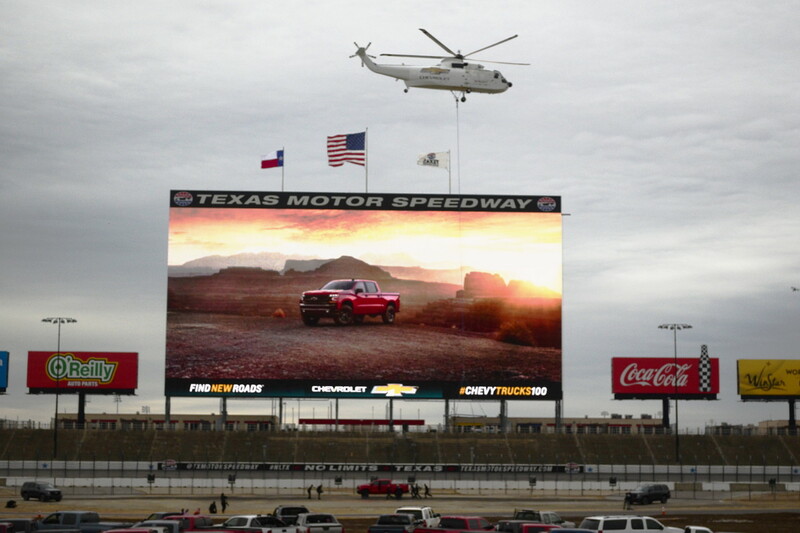 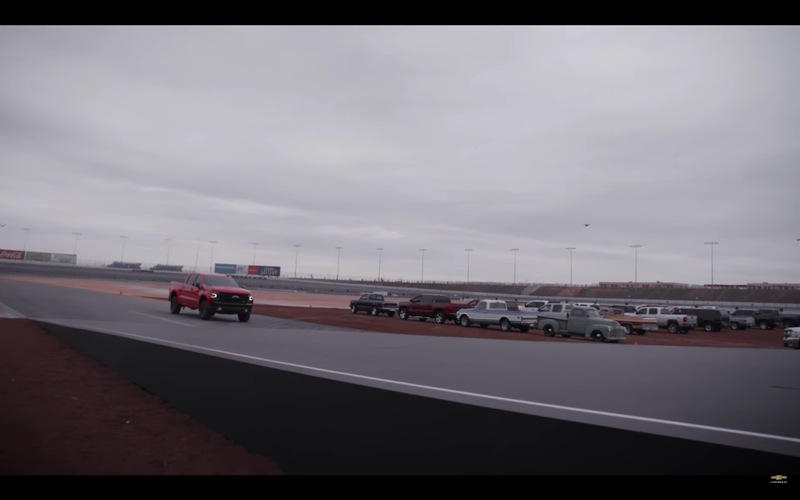 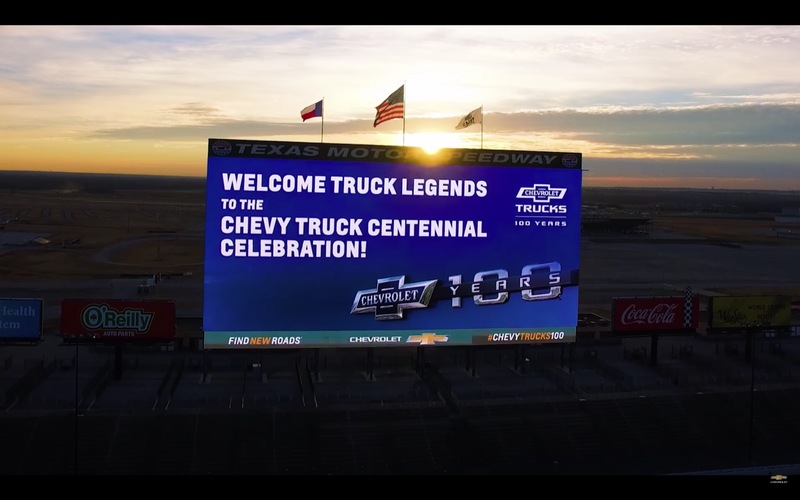 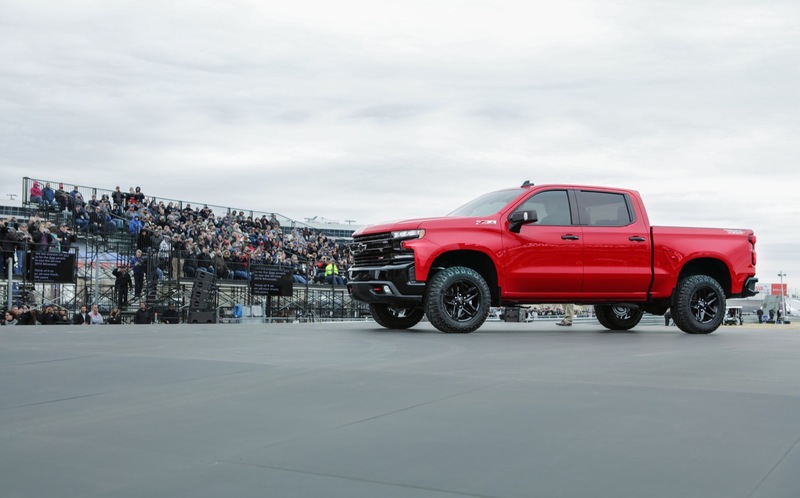 On Saturday, December 16th, Chevrolet truck owners were invited to the Texas Motor Speedway in Dallas, Texas for the Centennial Celebration of Chevy Trucks. 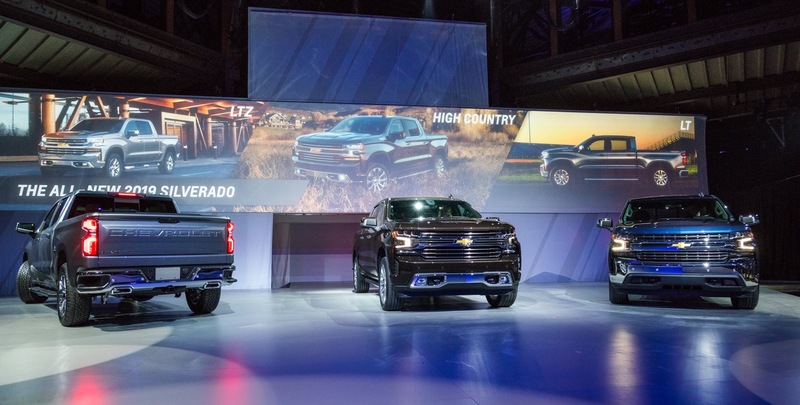 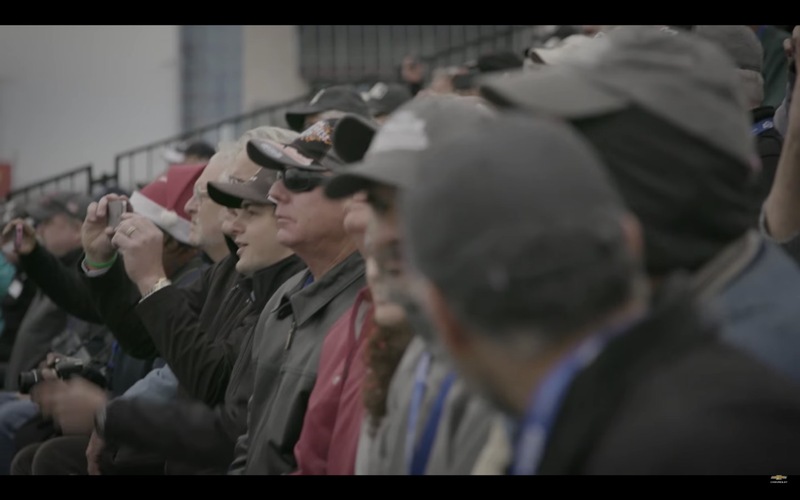 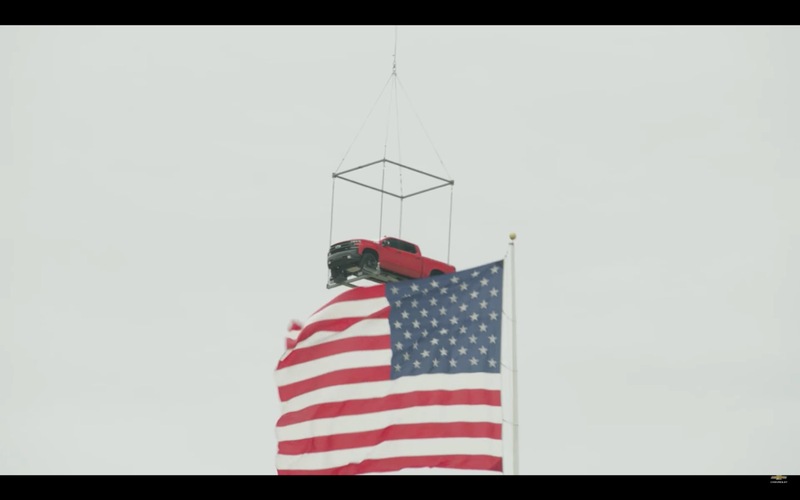 The event – one hundred years in the making – celebrated Chevy’s 100 years of truck building. 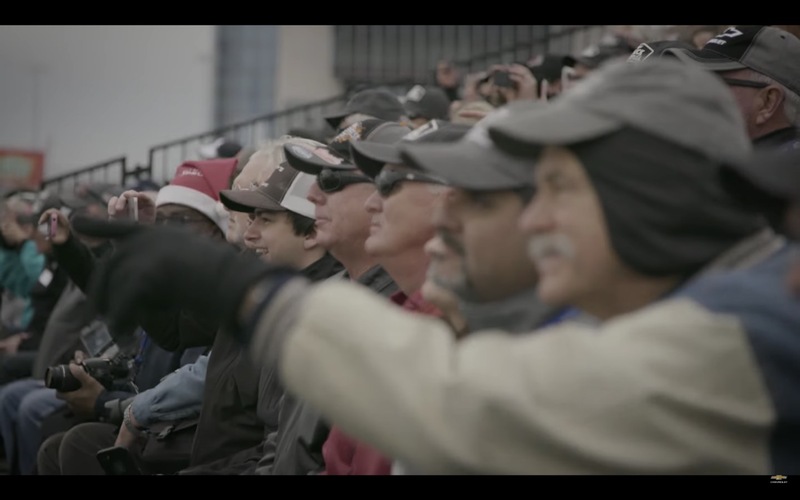 That’s what attendees were there for. 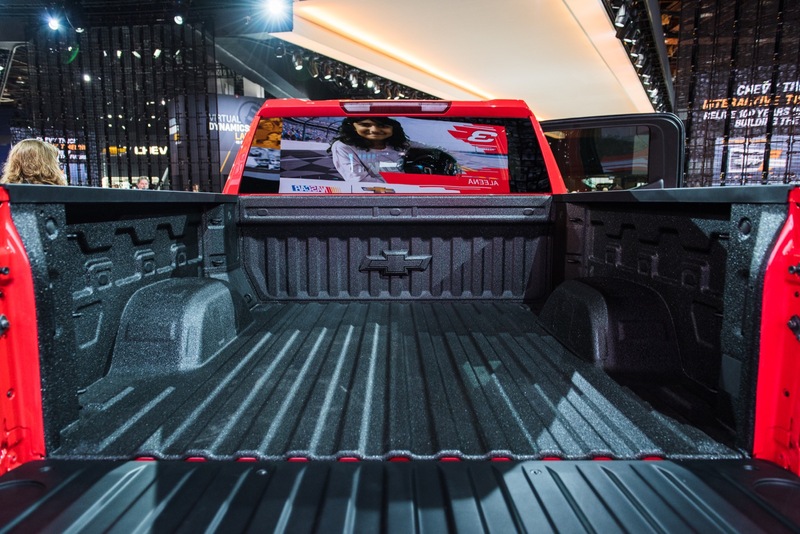 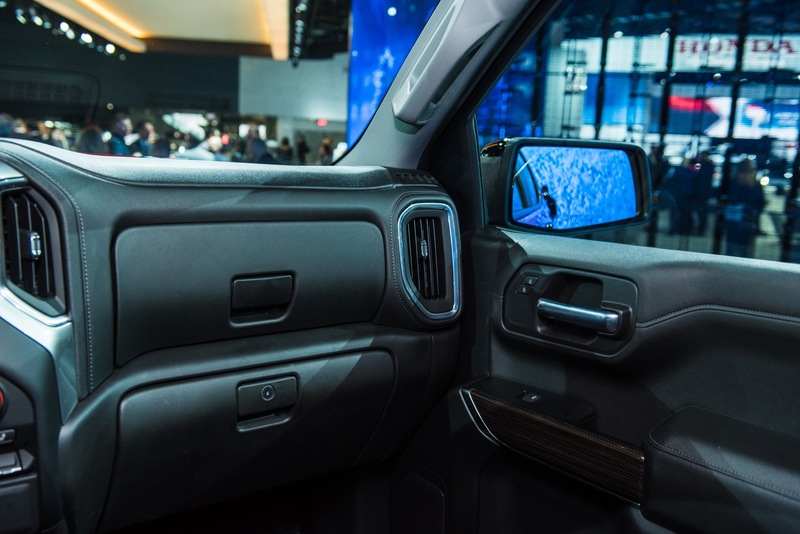 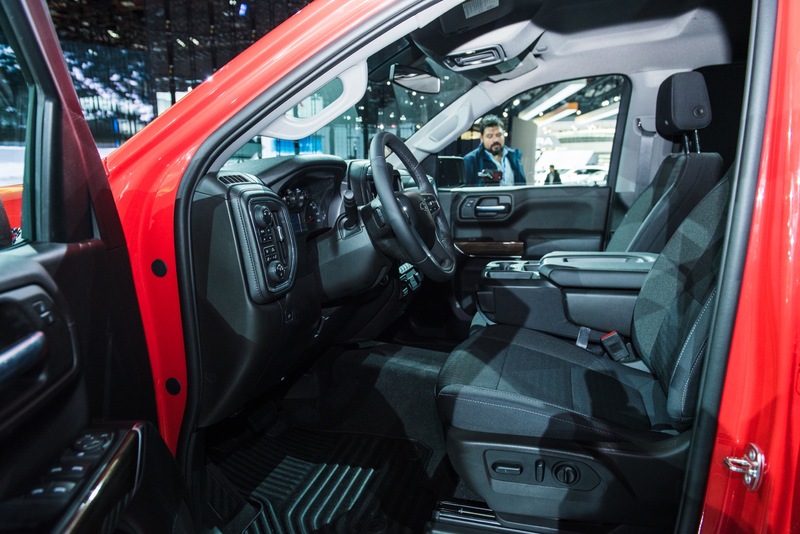 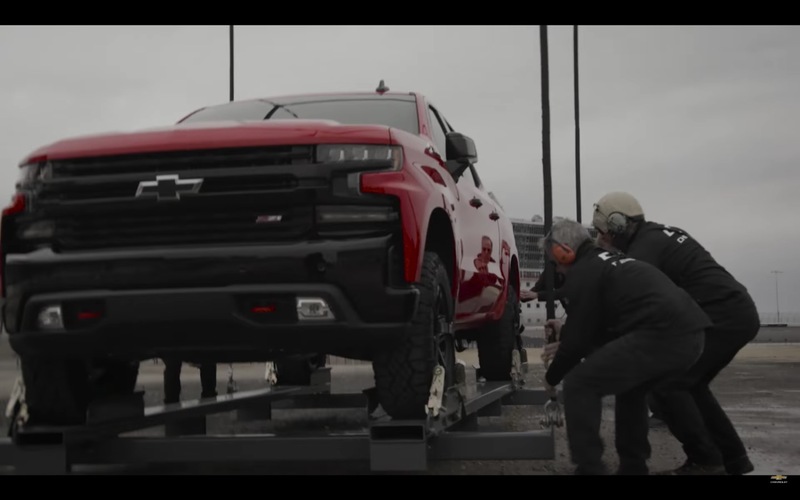 But what they didn’t know is that they would be the first people in the world to see the all-new Silverado. 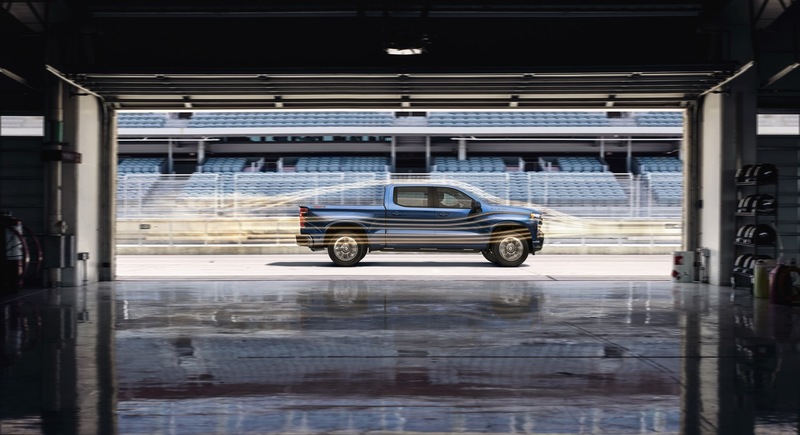 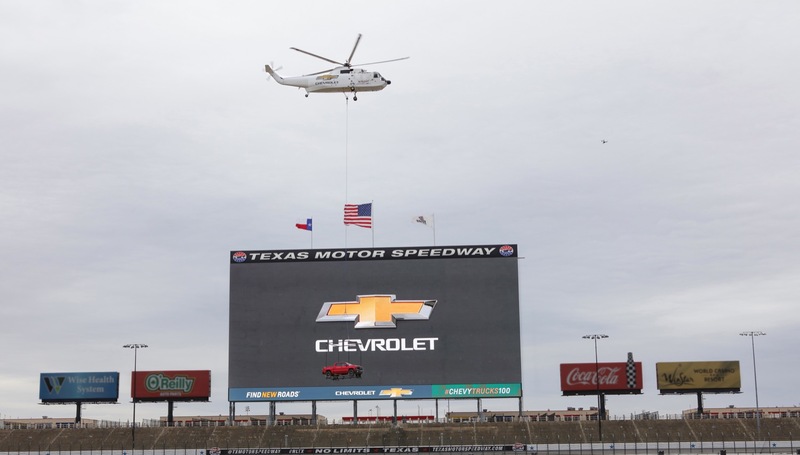 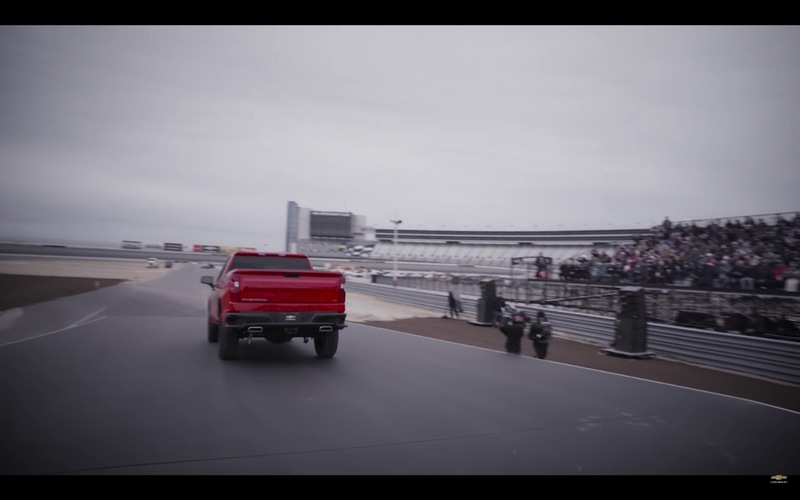 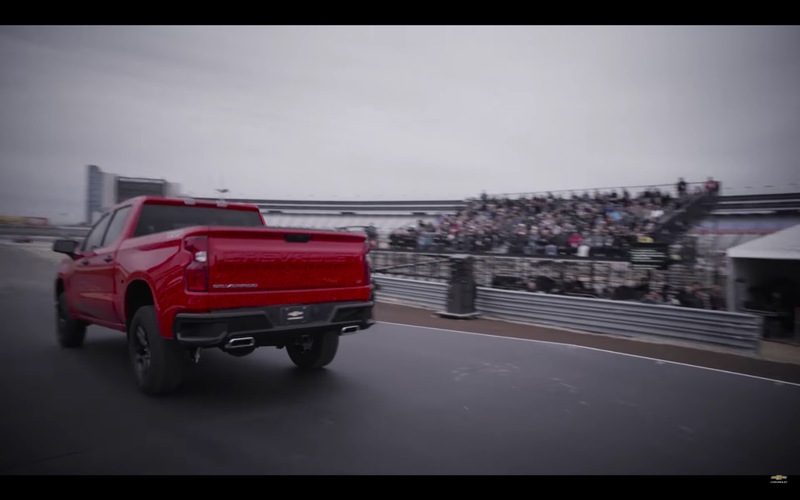 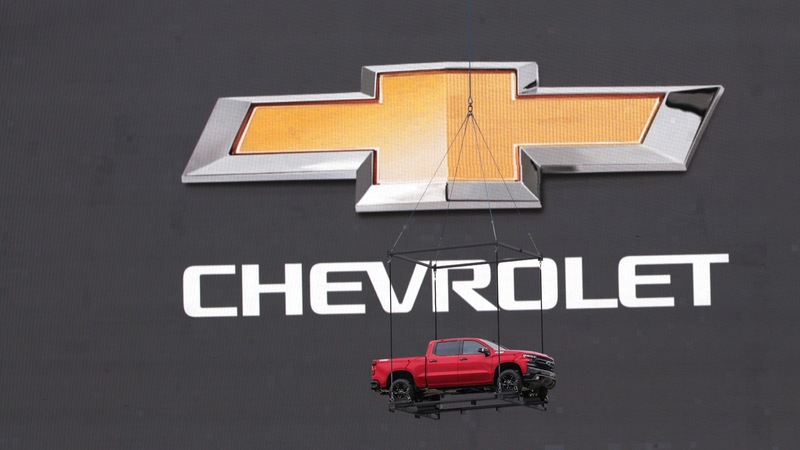 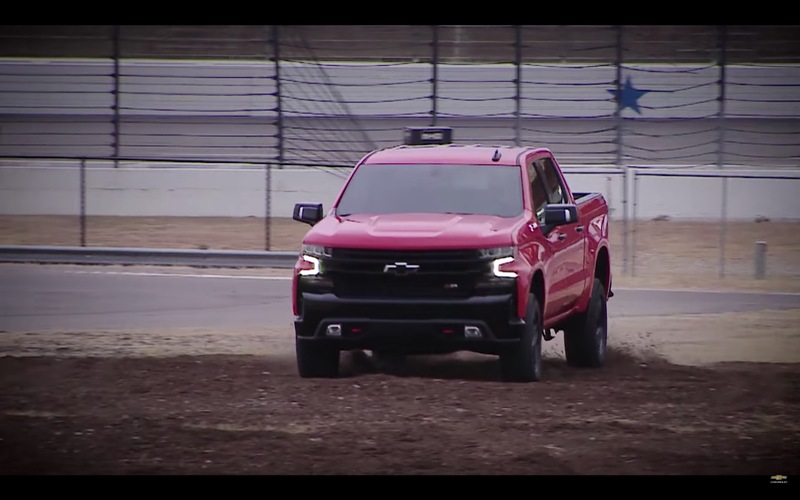 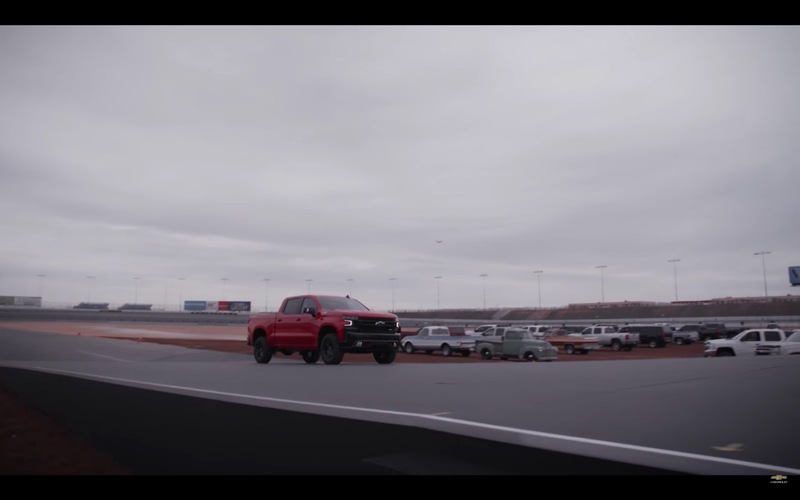 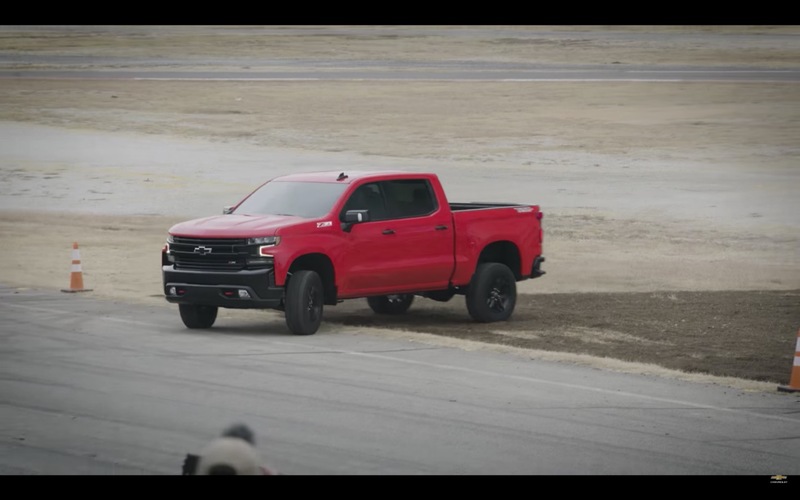 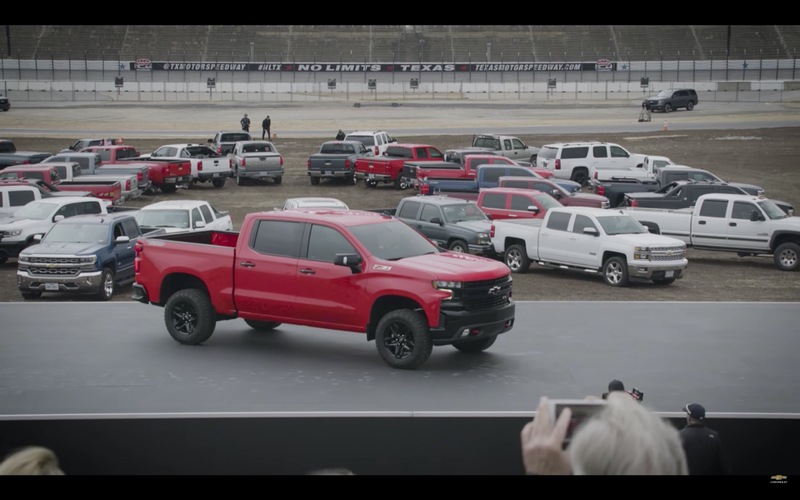 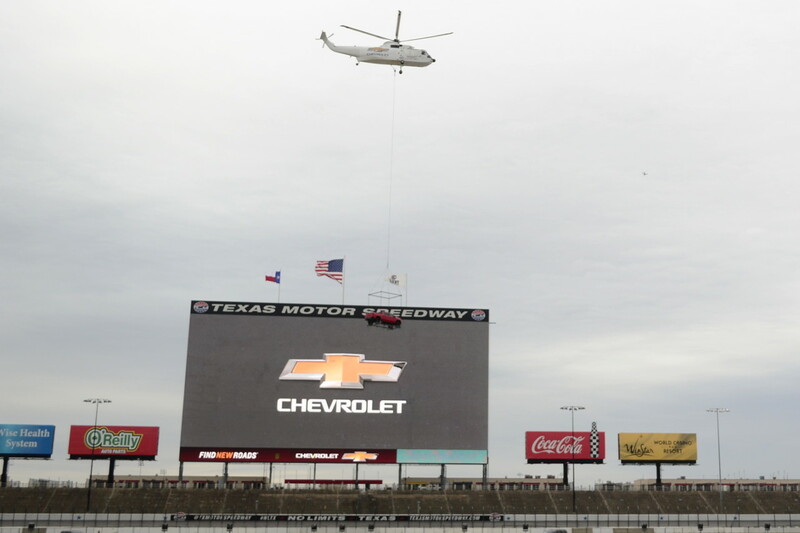 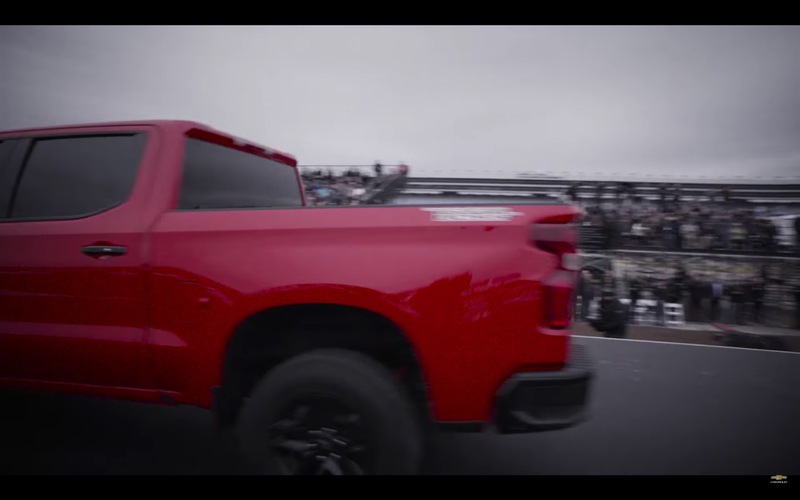 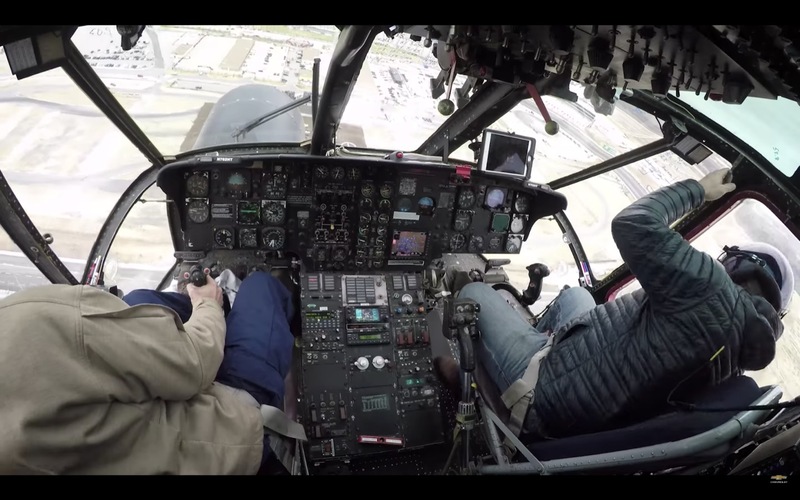 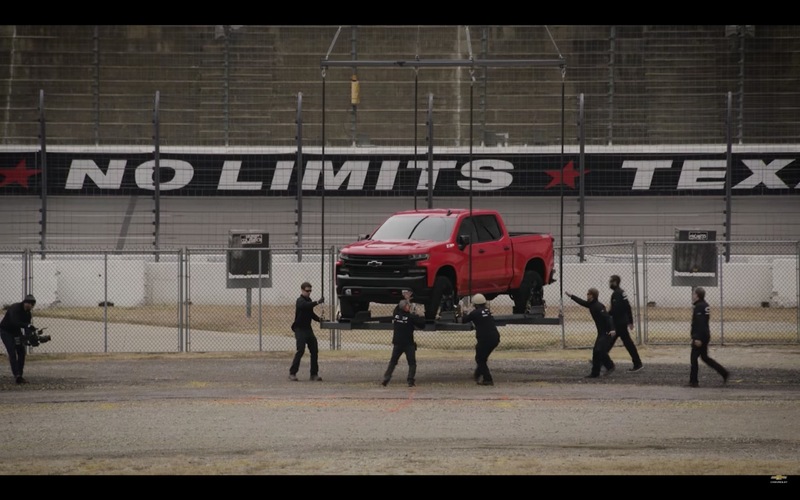 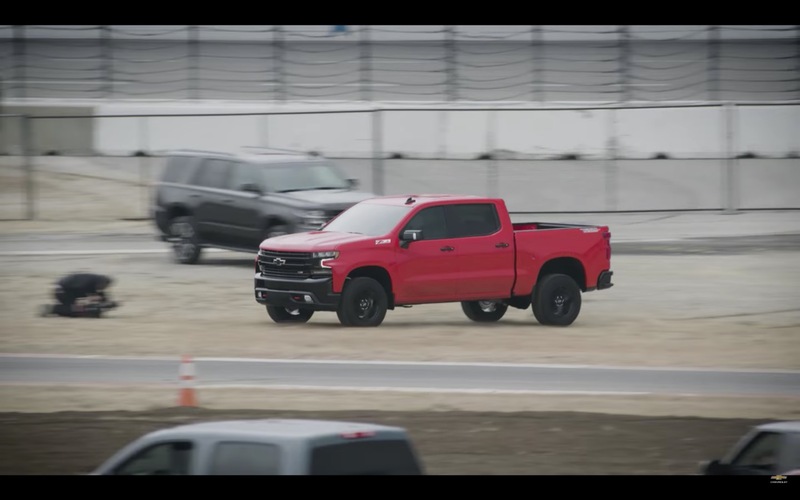 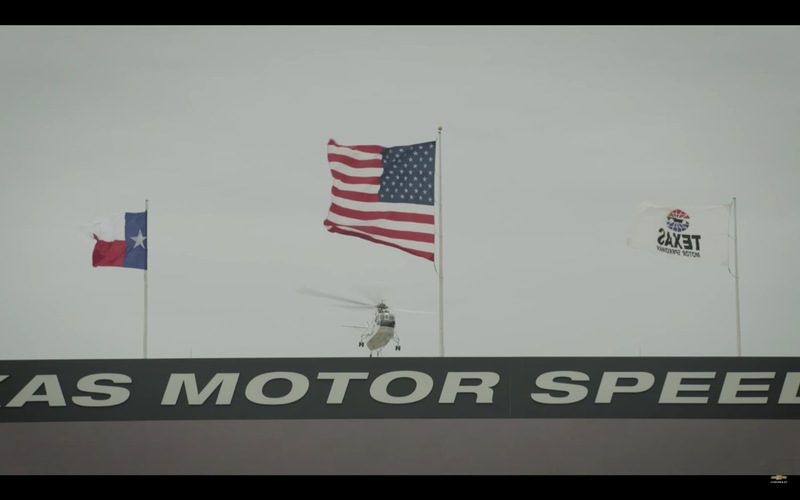 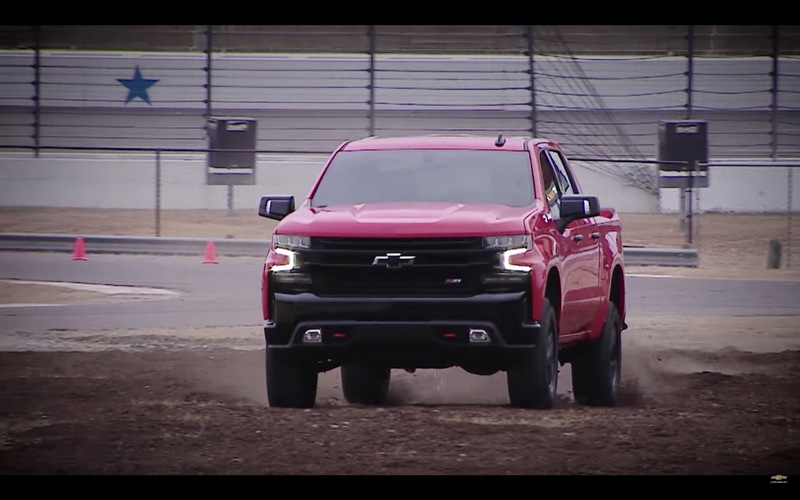 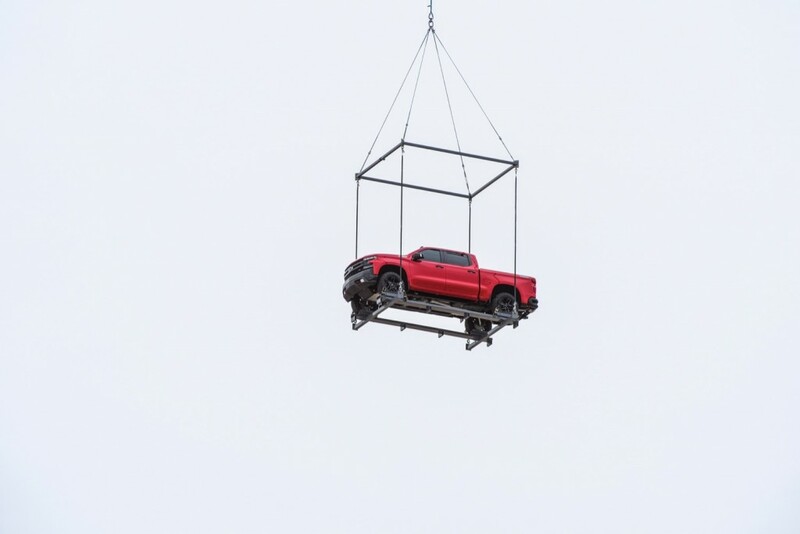 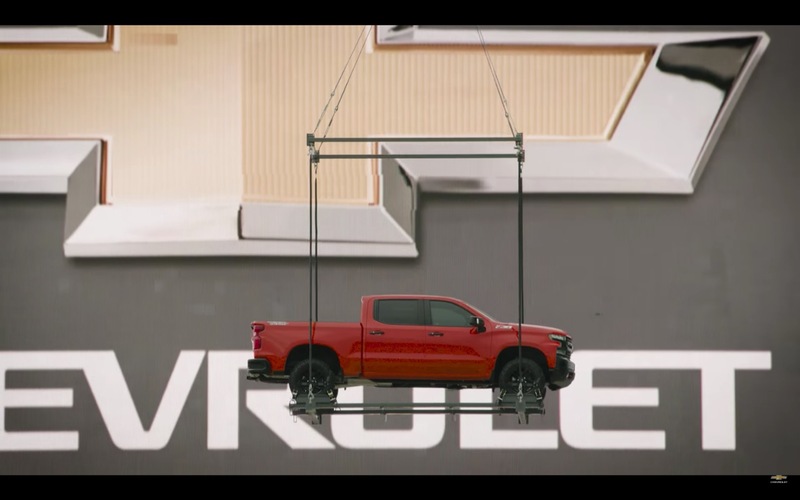 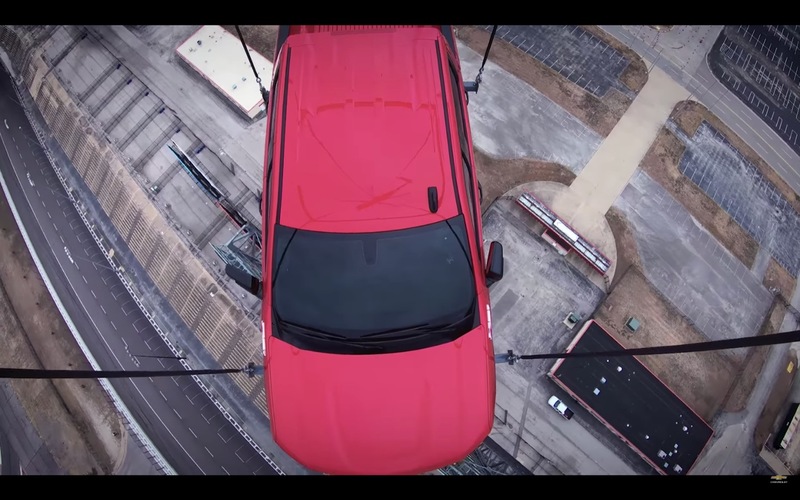 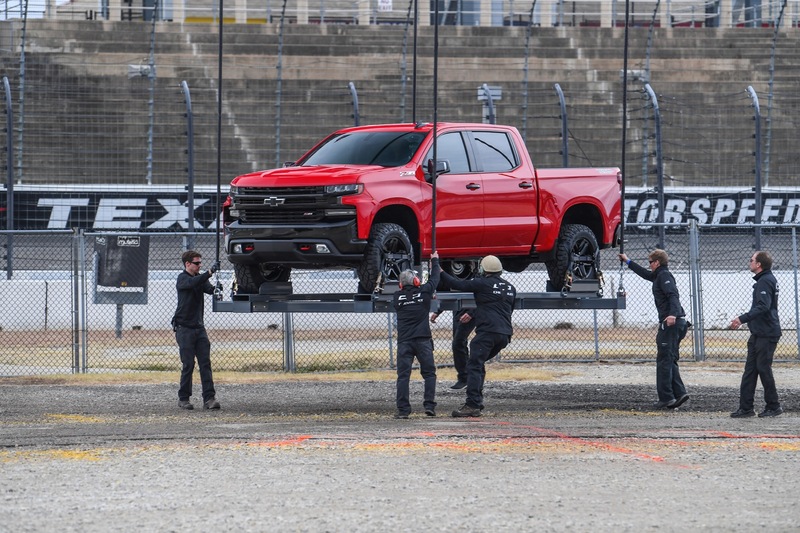 With surprise and excitement in the air during, the 2019 Silverado was introduced in the most spectacular of ways – by being helicoptered into the speedway’s infield and then driven off to pose in front of the audience. 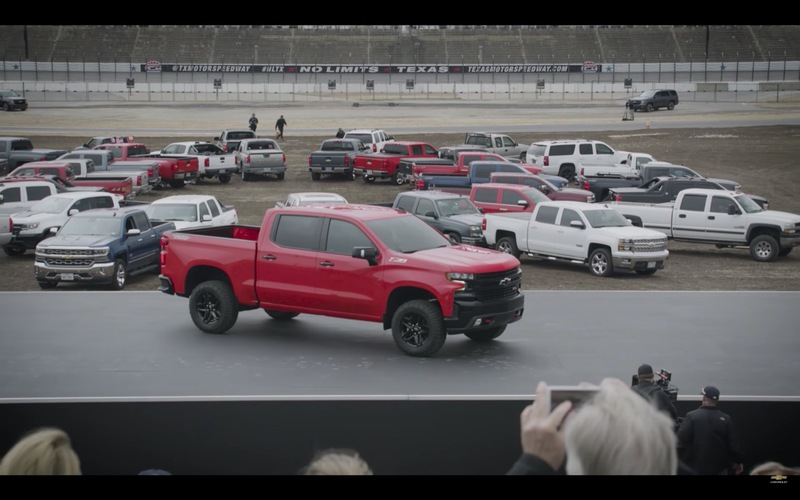 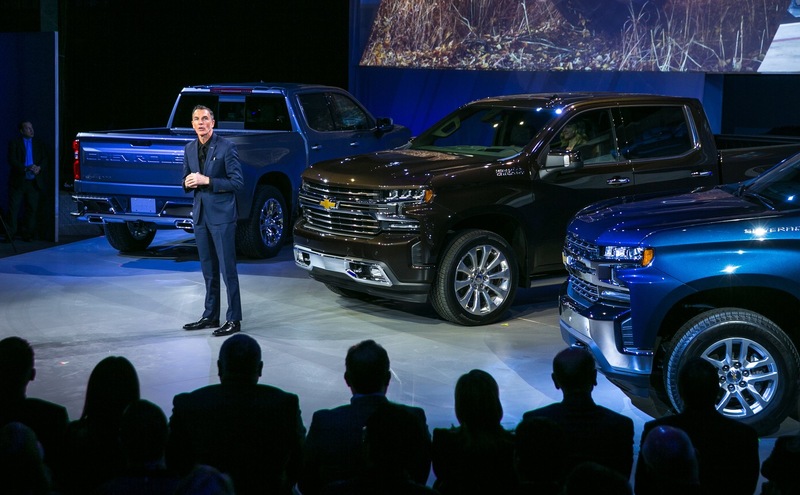 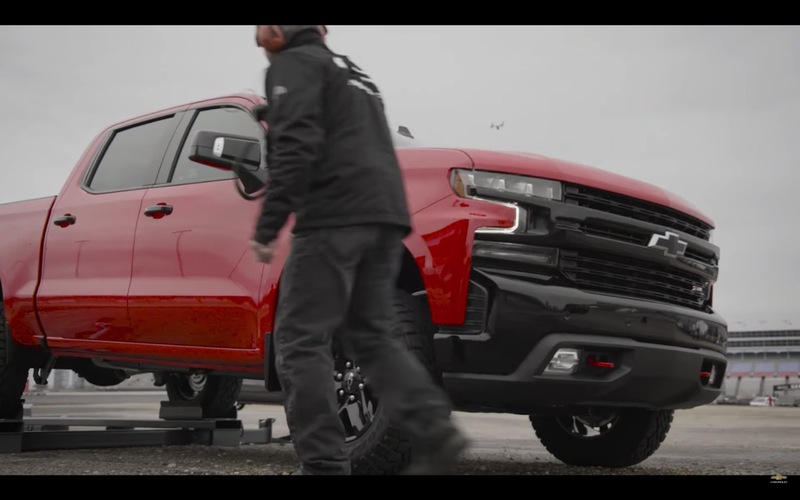 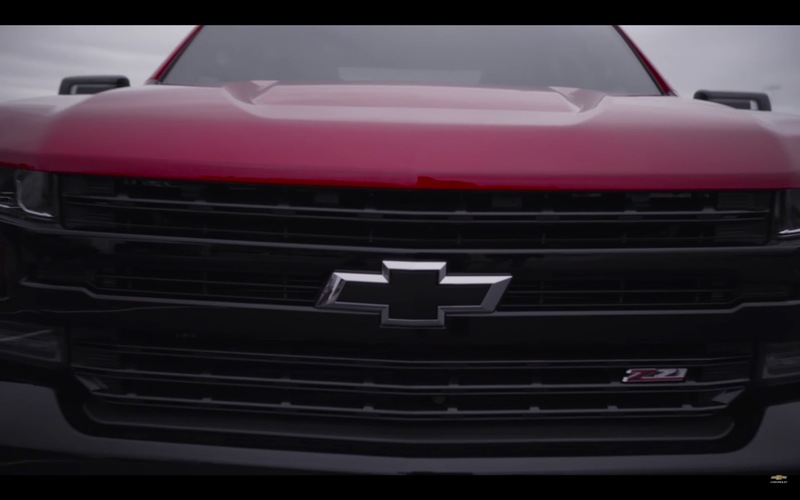 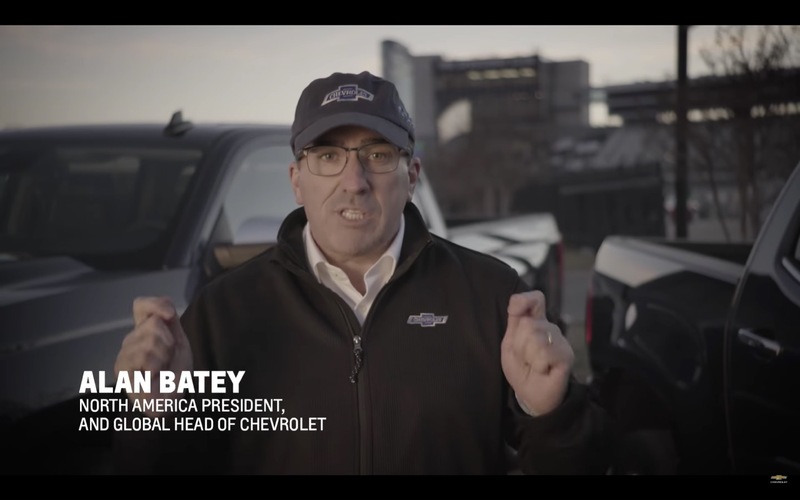 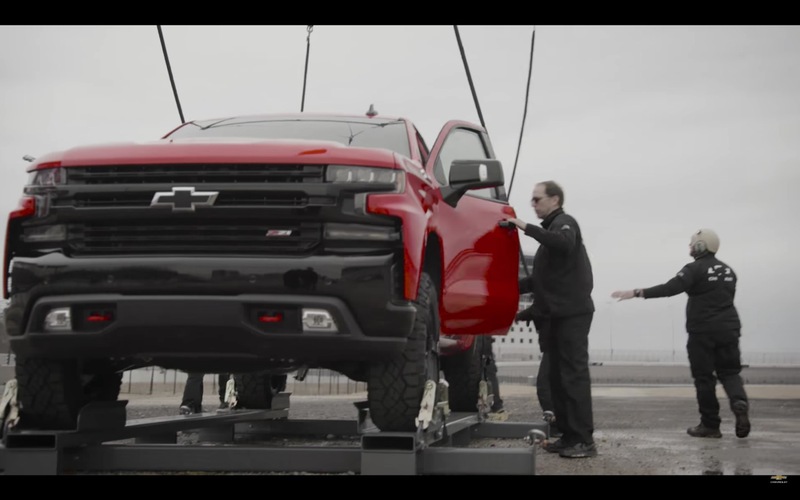 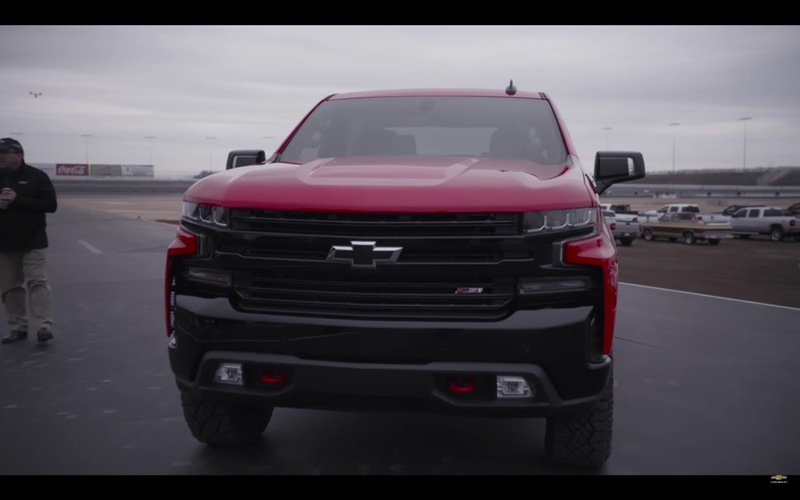 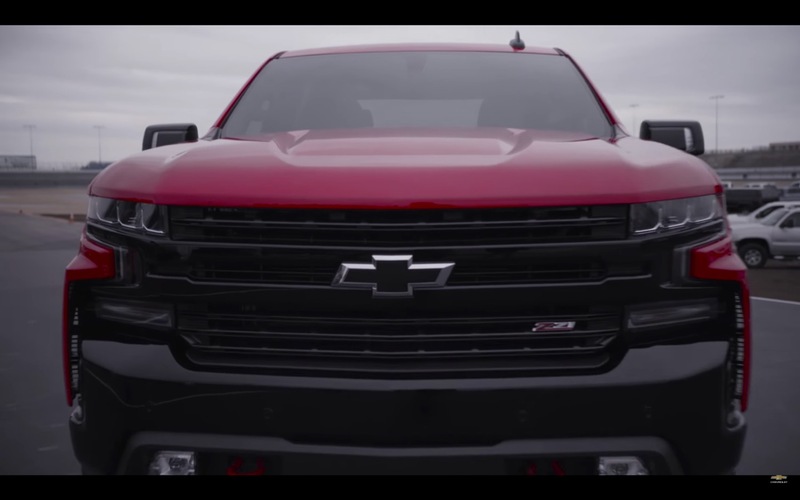 Watch the 2019 Silverado live reveal video, which stars and is narrated by Alan Batey, GM North America President and Global President of Chevrolet. 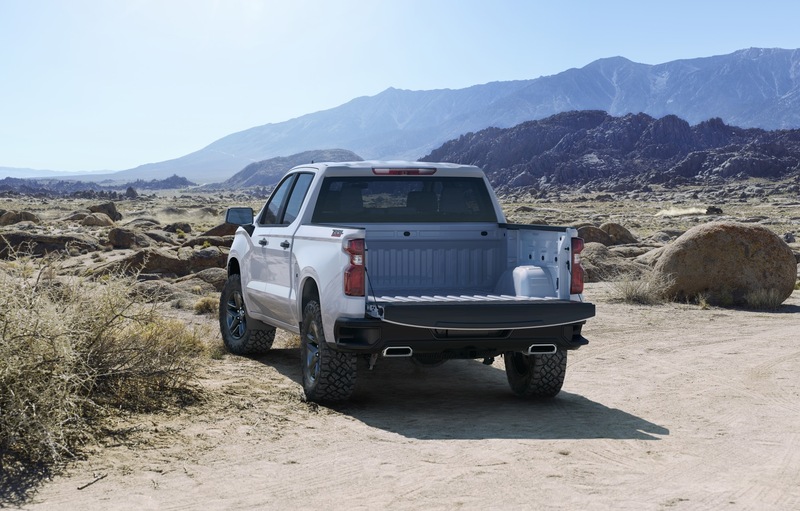 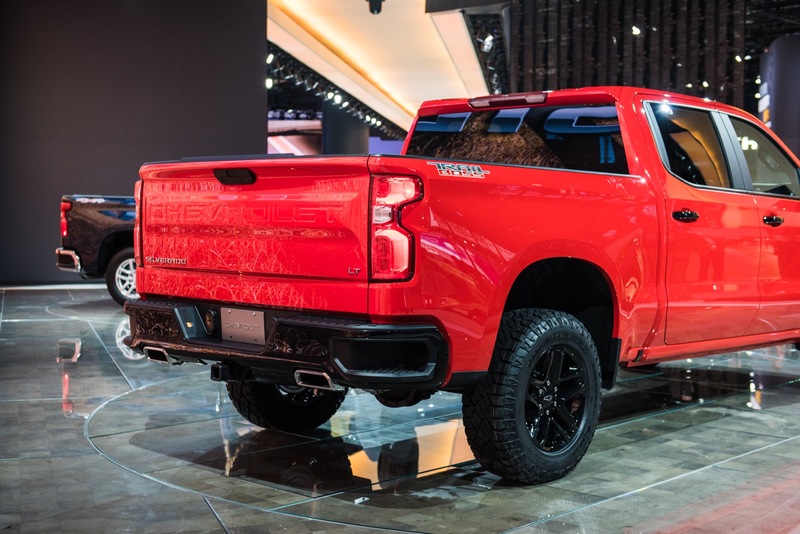 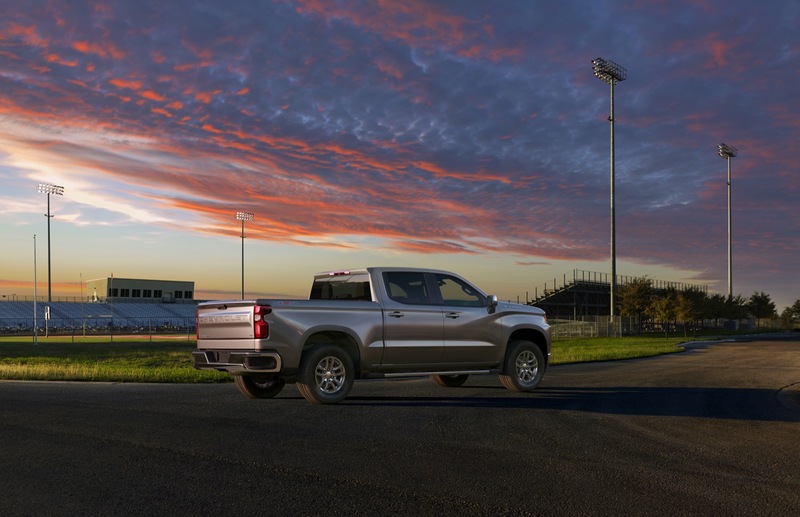 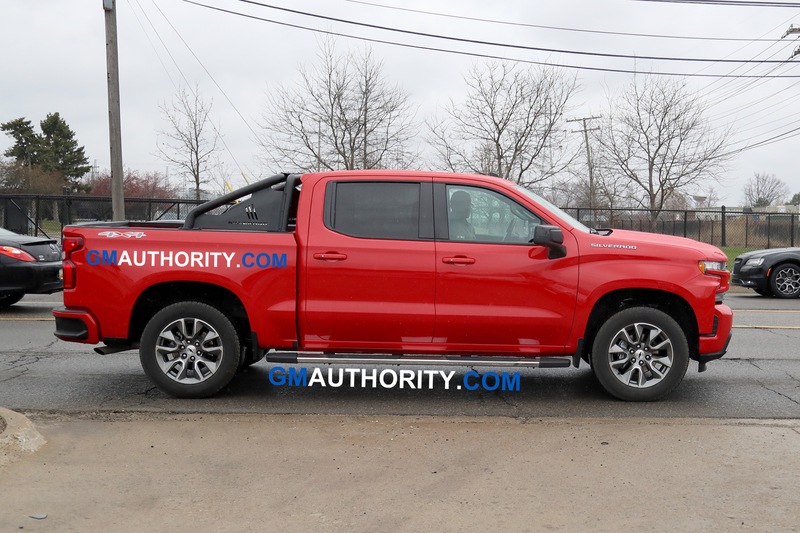 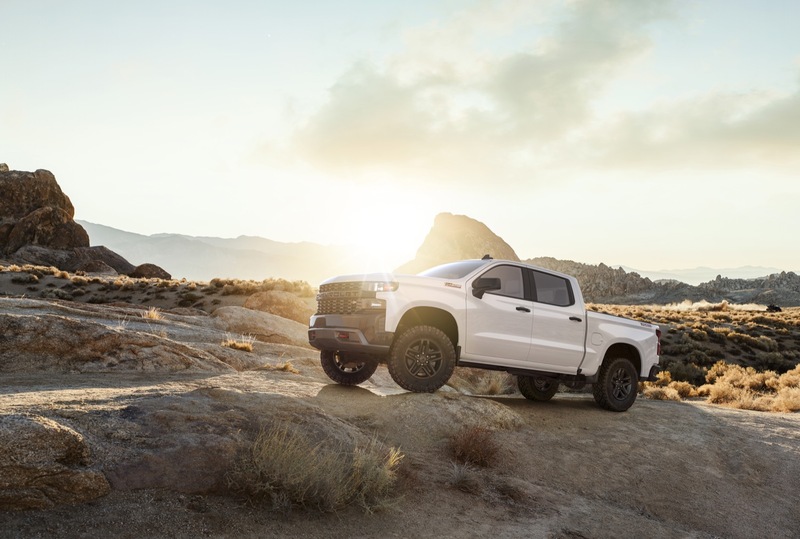 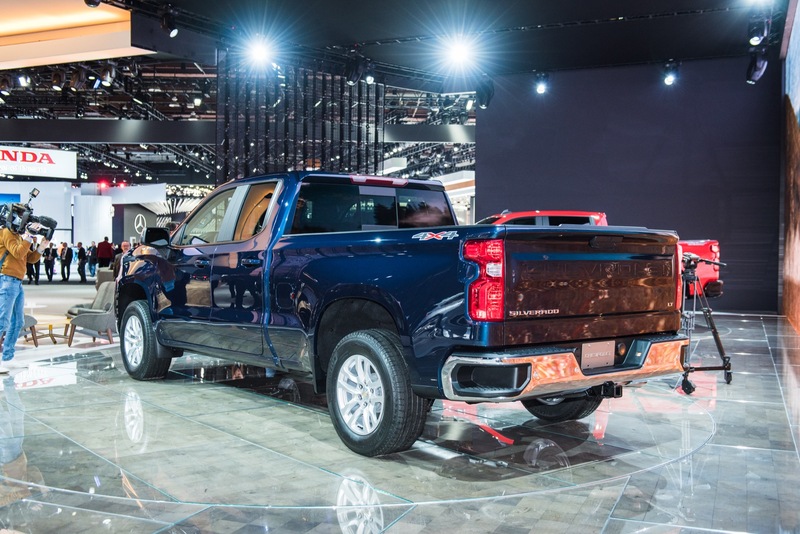 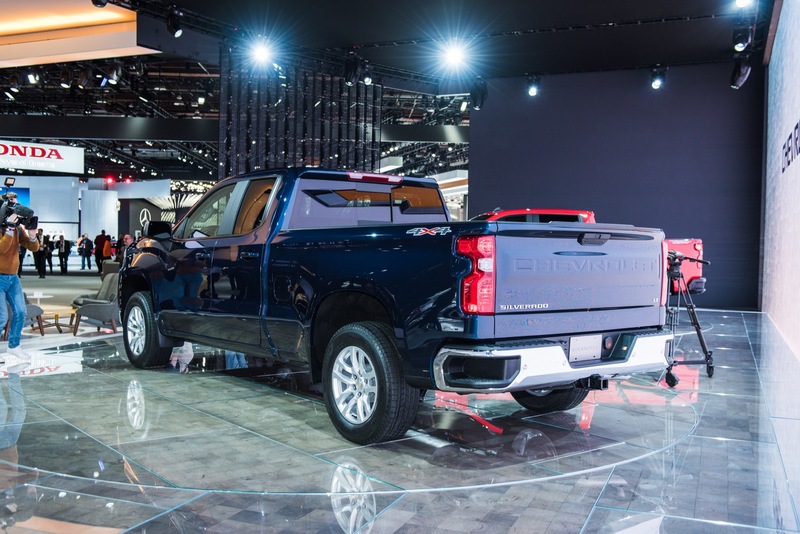 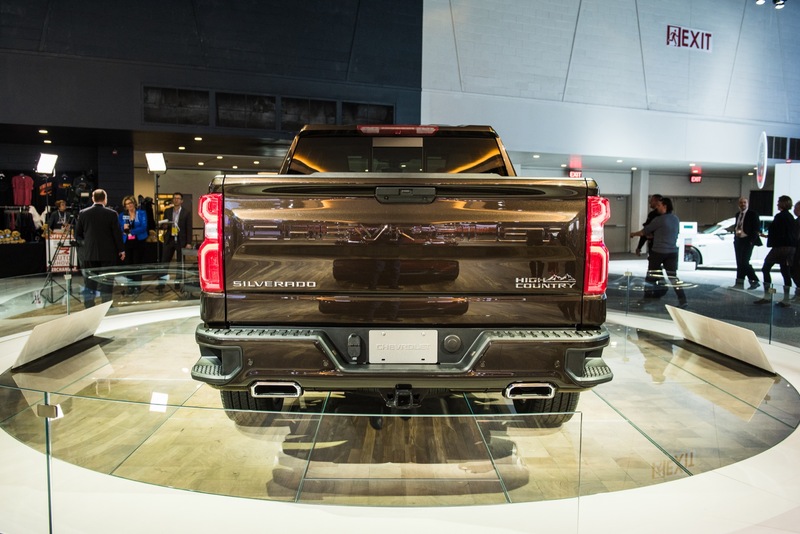 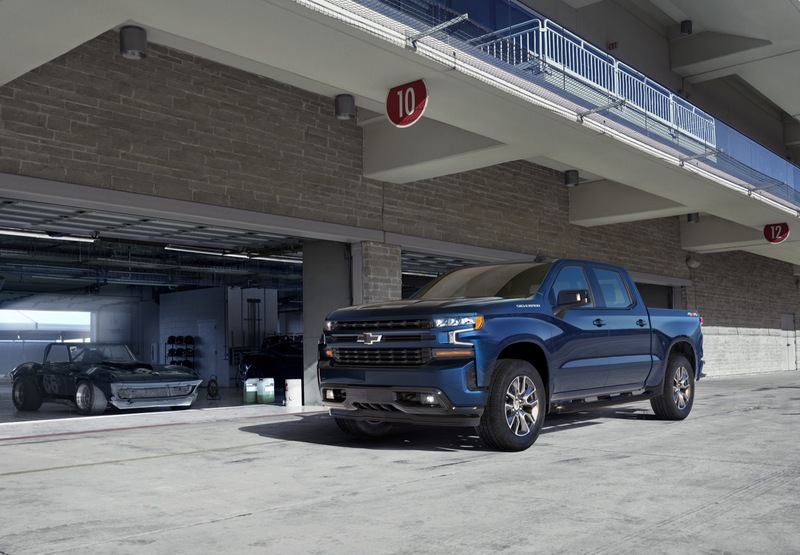 The 2019 Silverado 1500 is expected have a lot in common with the 2019 GMC Sierra, including the architecture, powertrain lineup, and more. 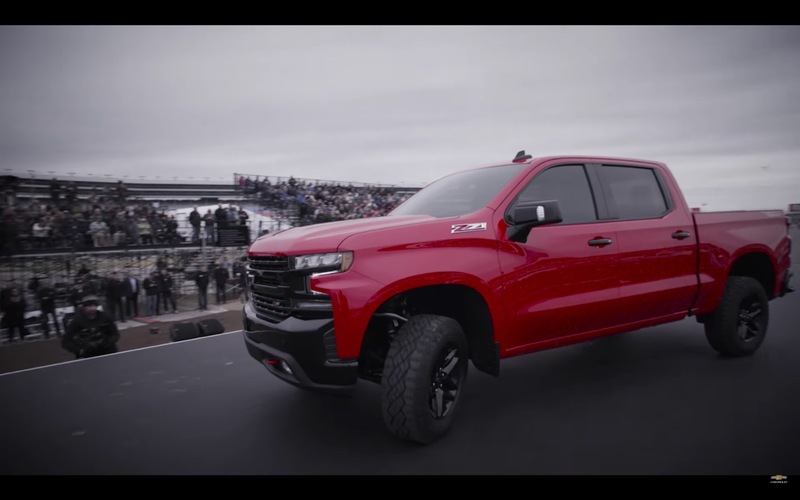 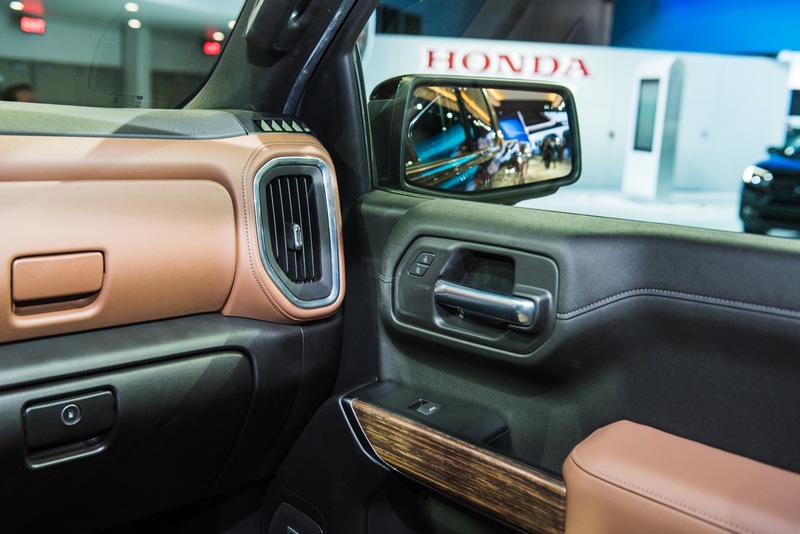 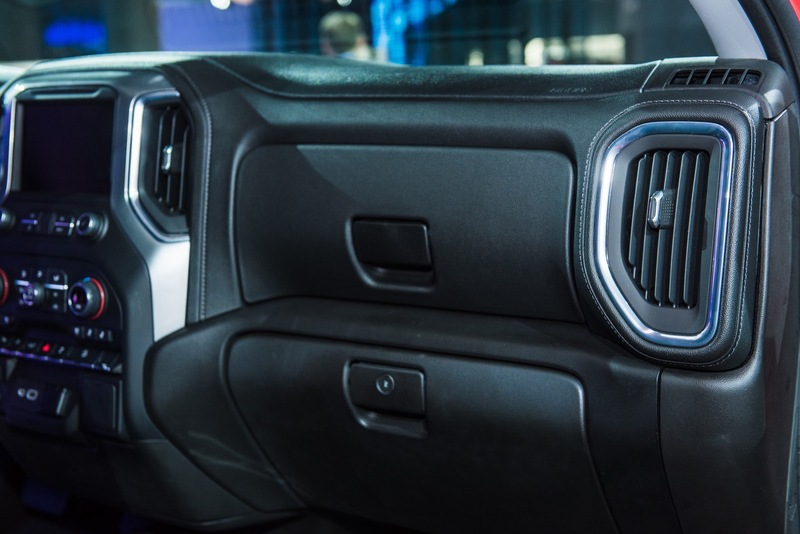 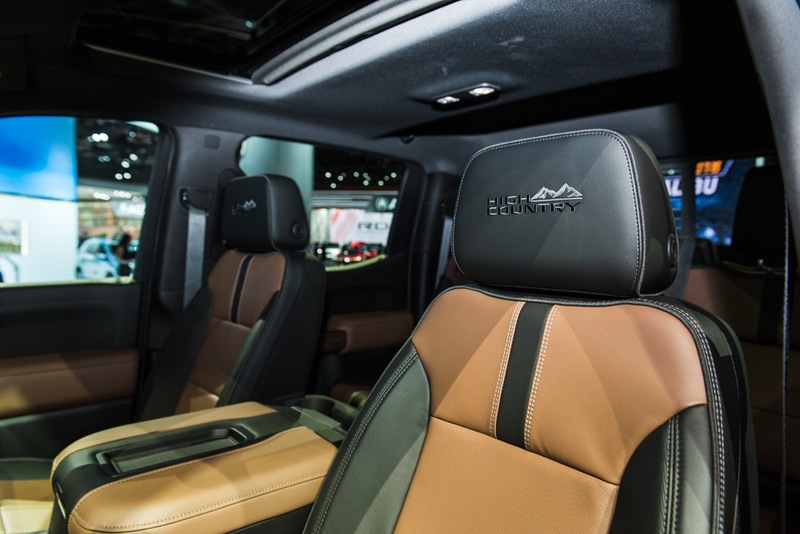 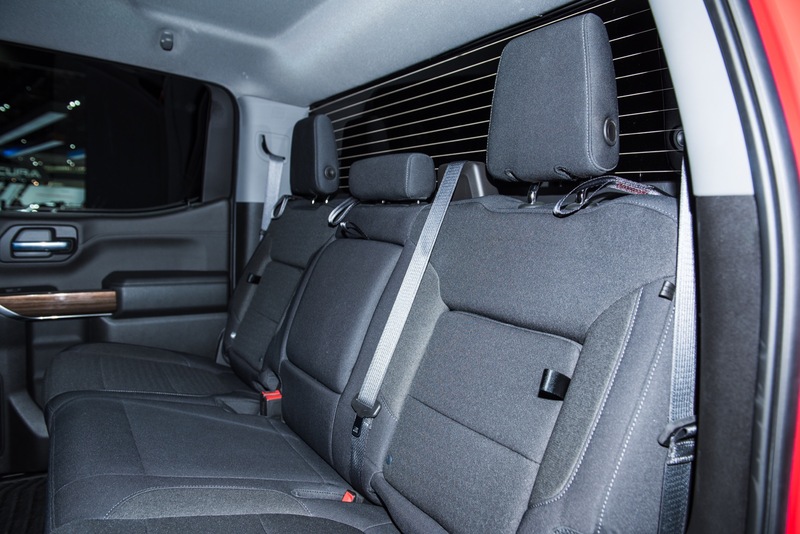 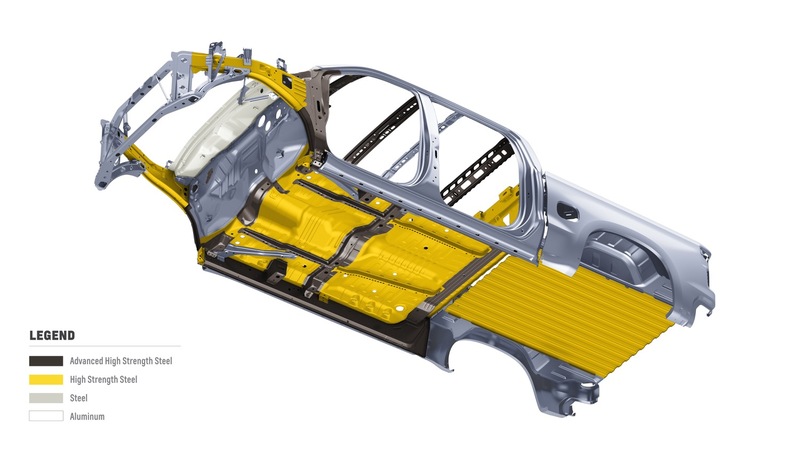 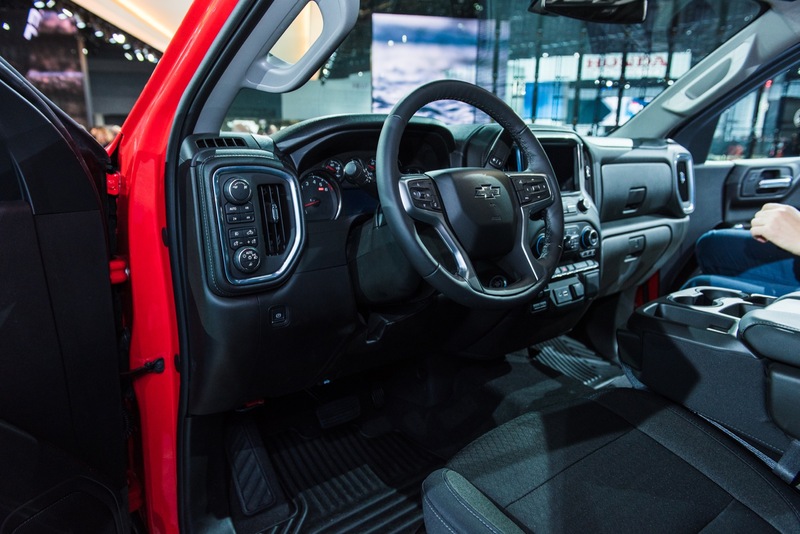 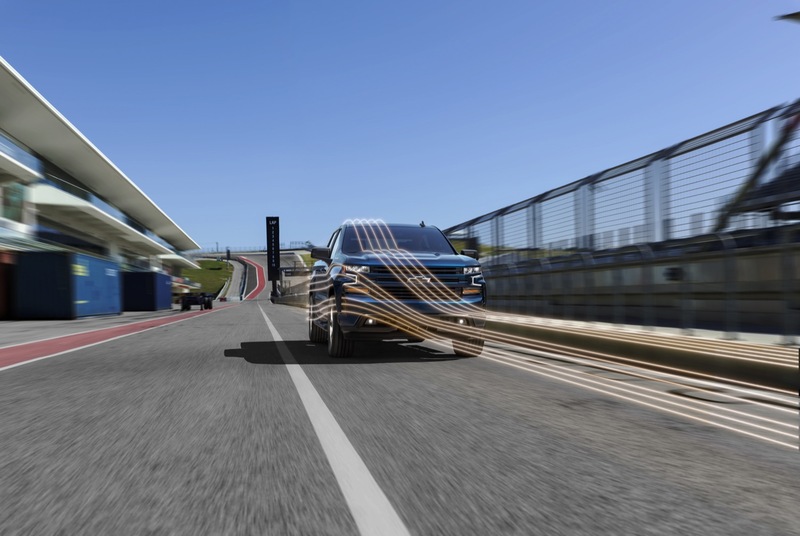 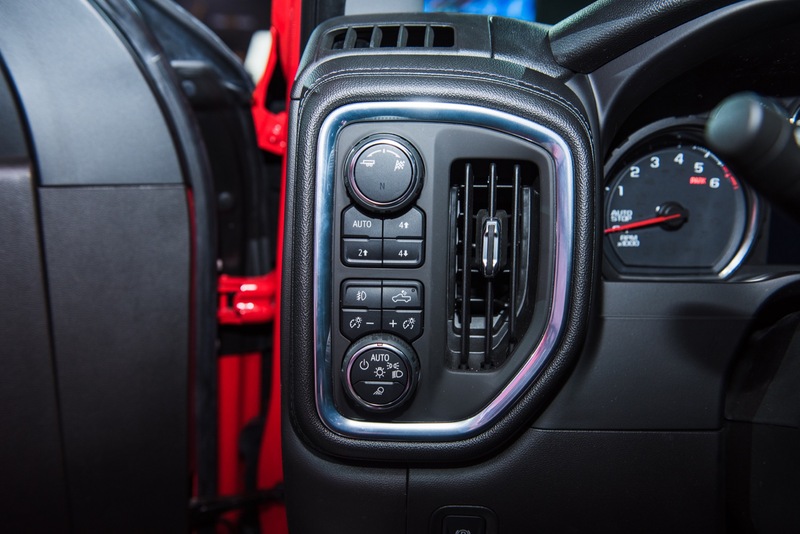 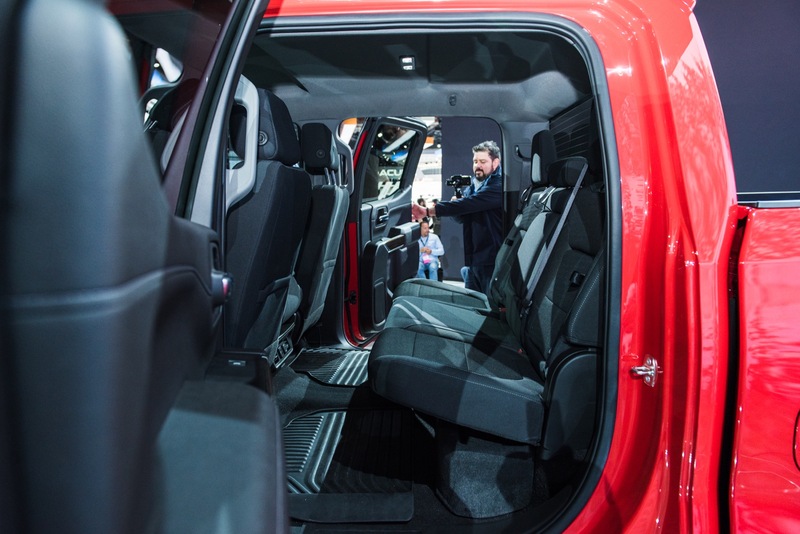 Exterior styling will likely be substantially different between the two models, while cabin design will likely be common between both vehicles, with the biggest difference being lighting color and differences in materials. 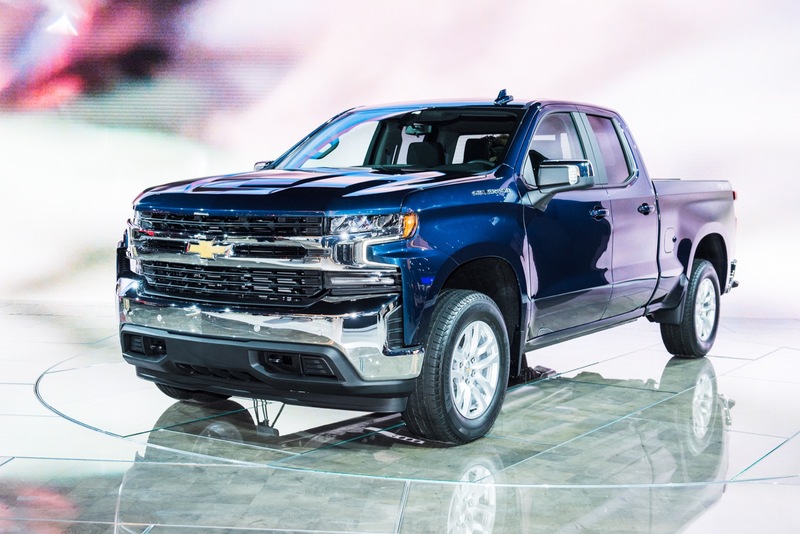 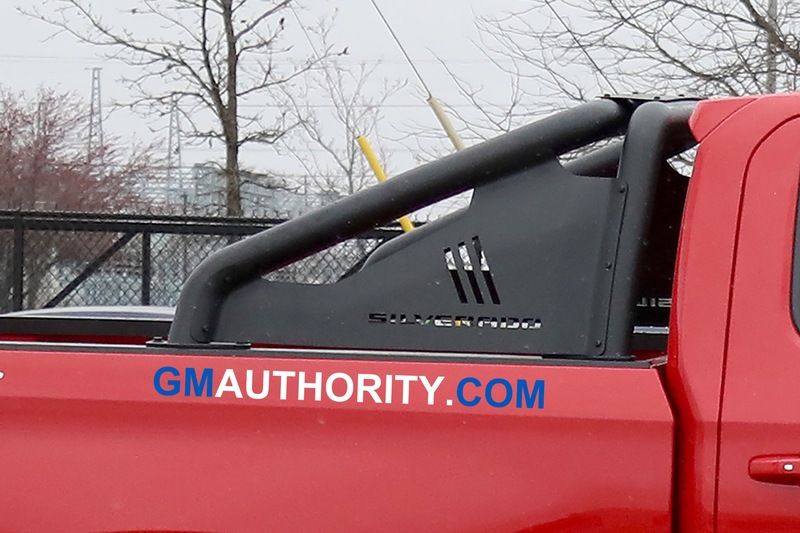 The GM Oshawa Assembly plant in Oshawa, Ontario, Canada will not build the all-new, fourth-generation Silverado 1500. 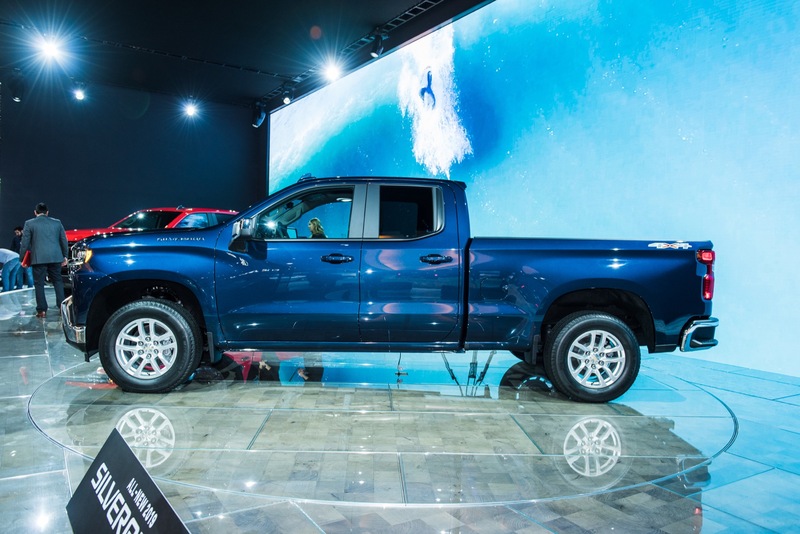 Instead, it will continue making the last-, third-generation model. 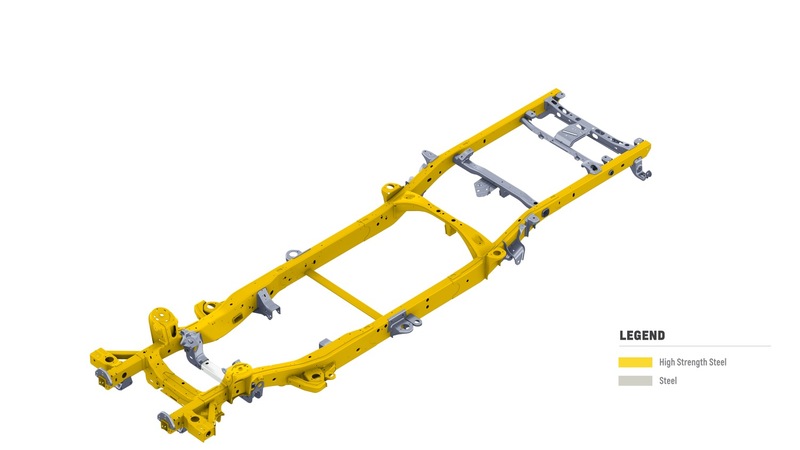 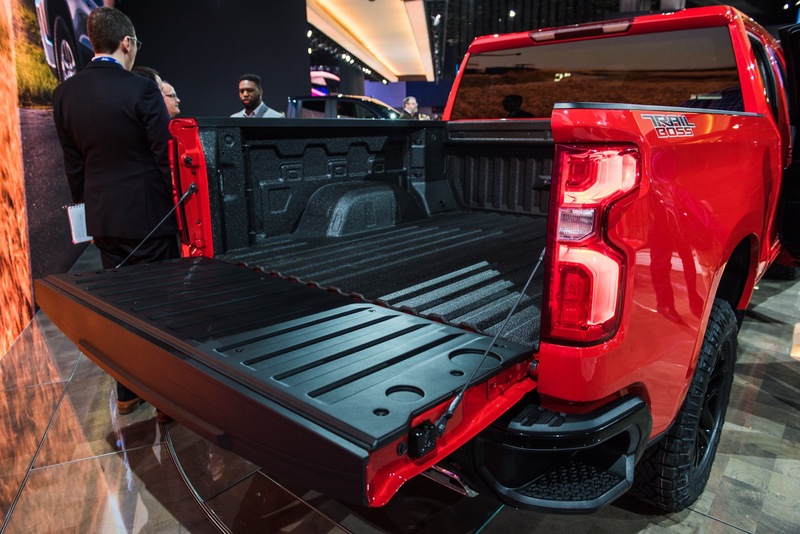 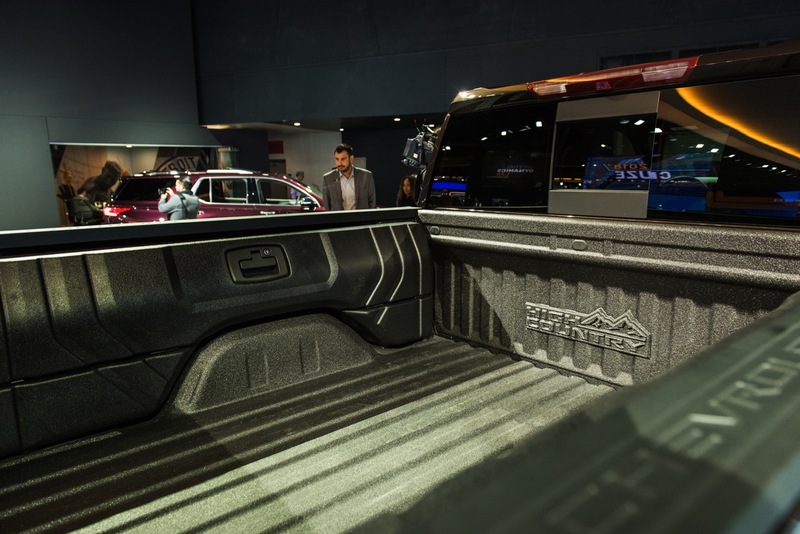 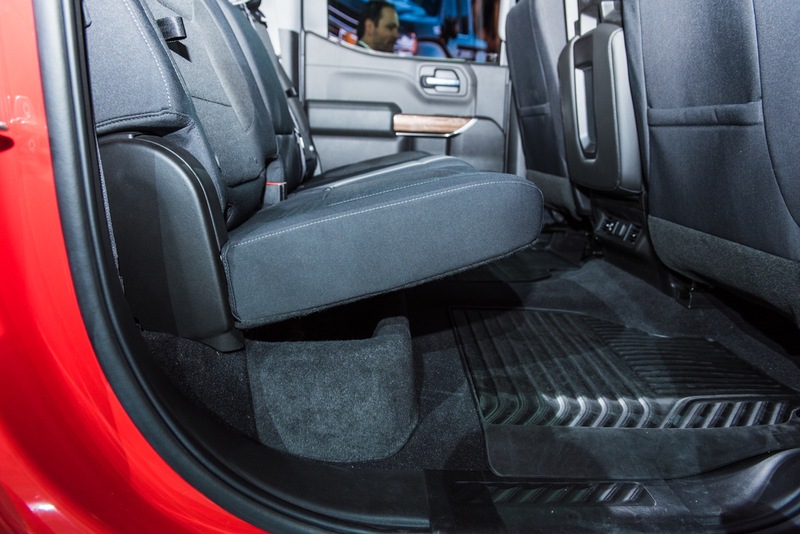 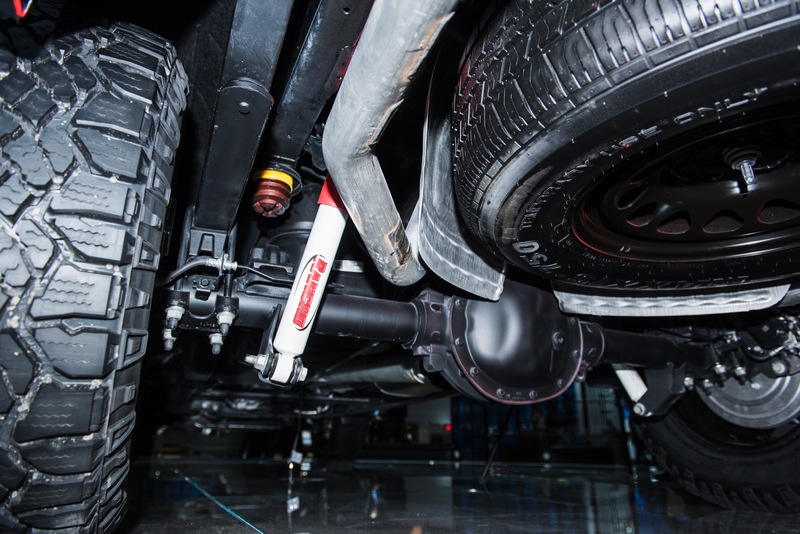 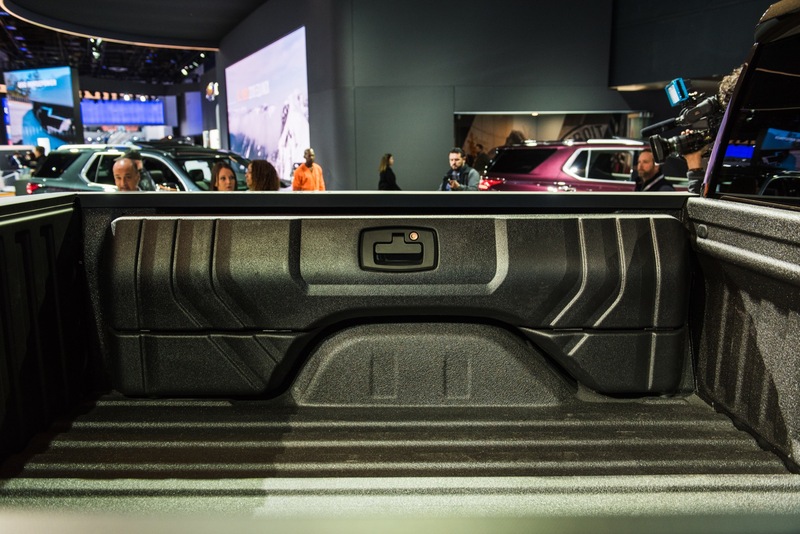 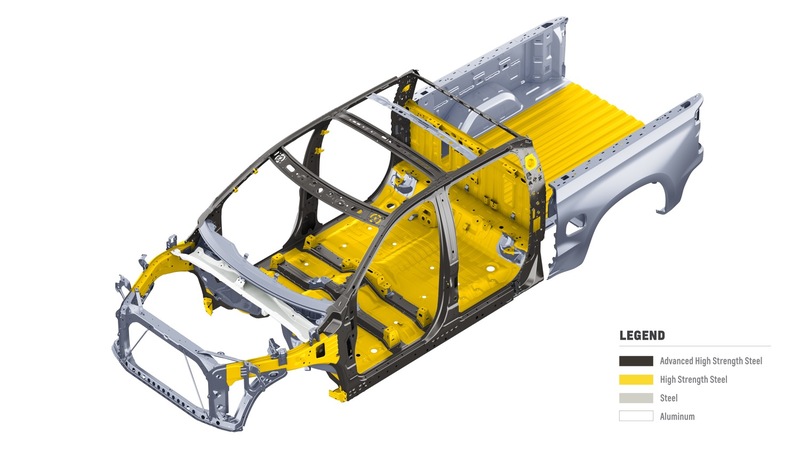 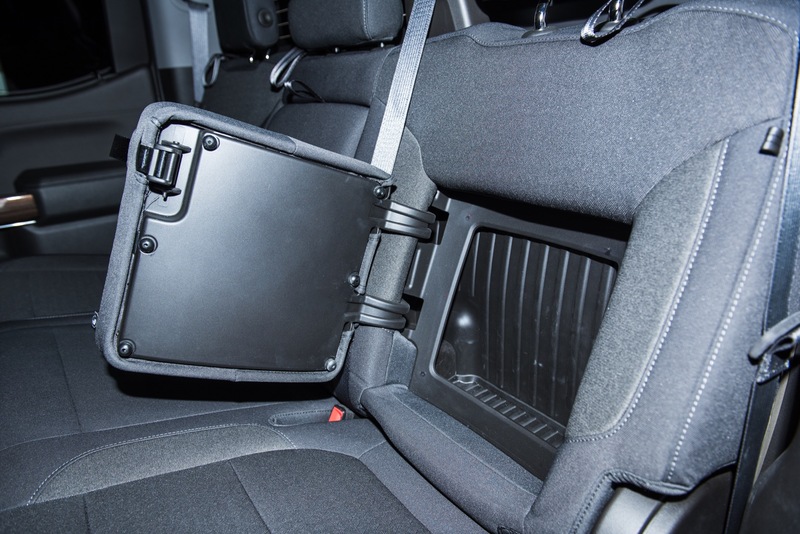 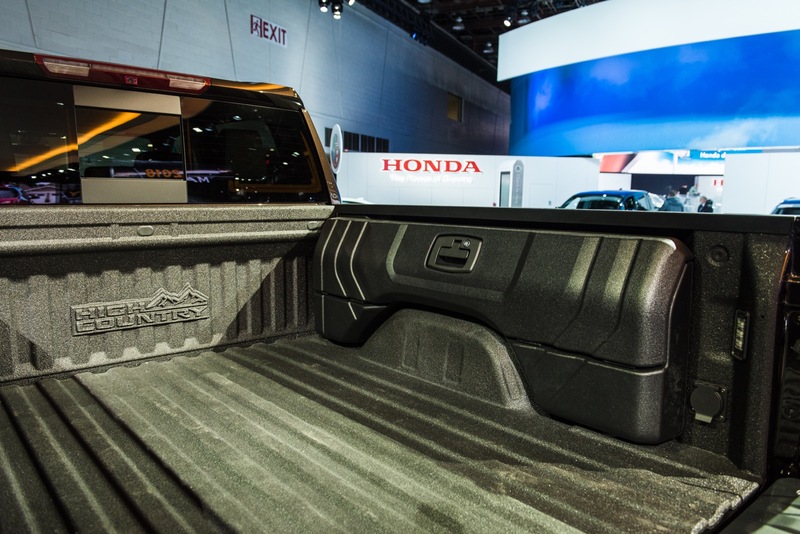 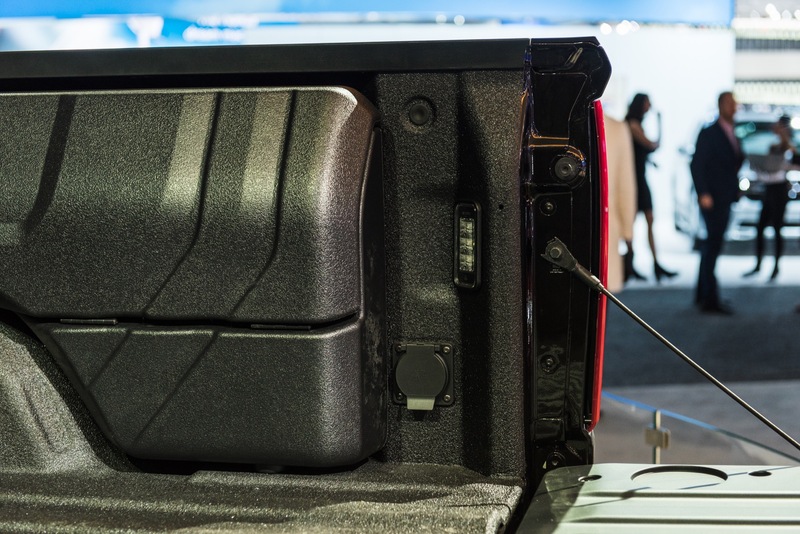 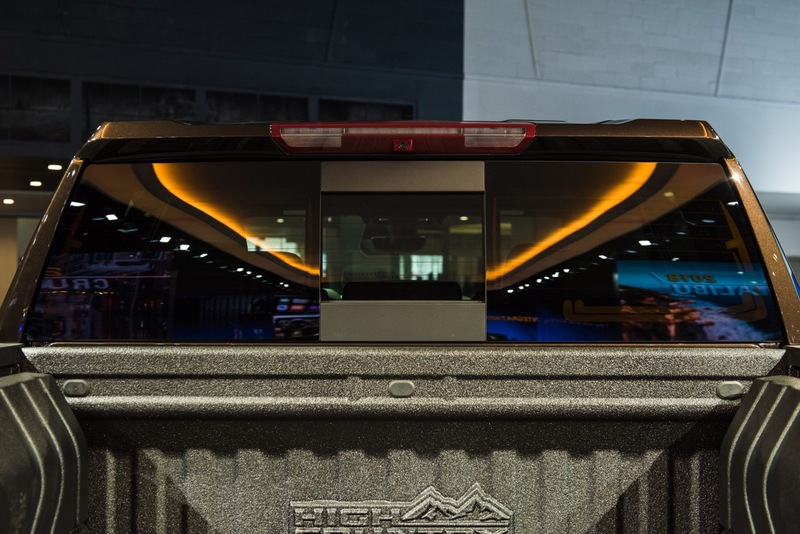 The outgoing K2 platform Silverado will also be offered alongside the all-new model in limited configurations. 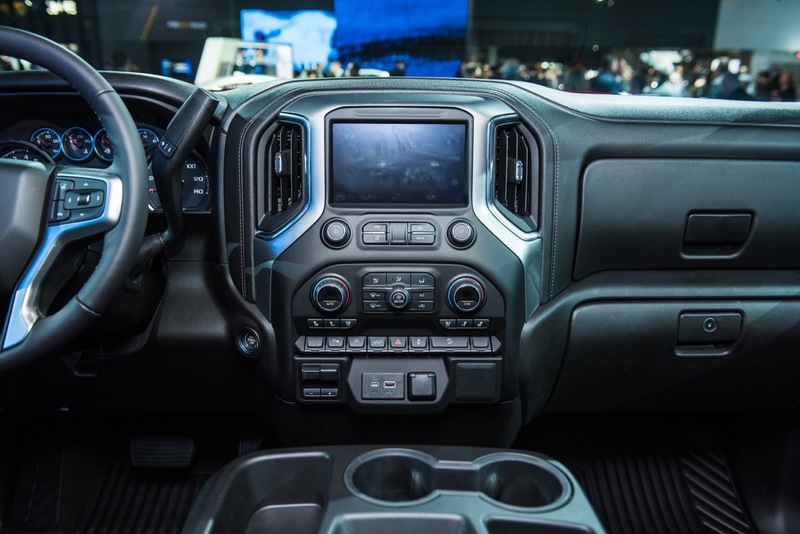 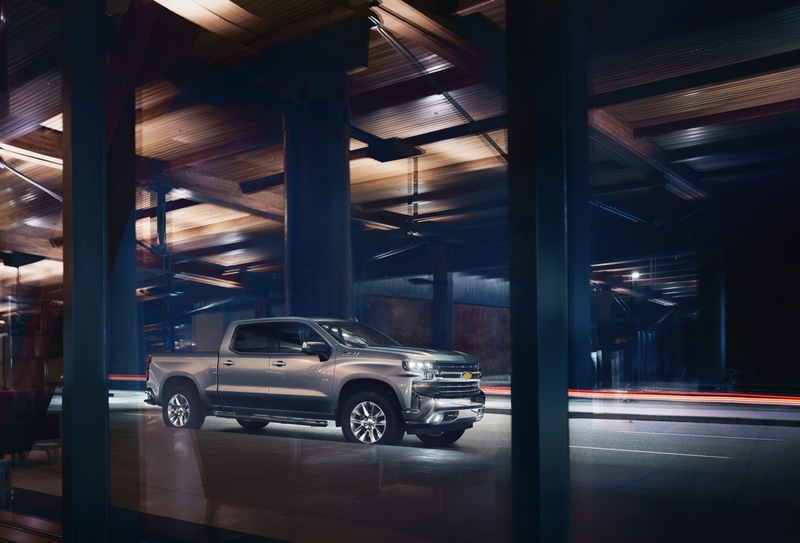 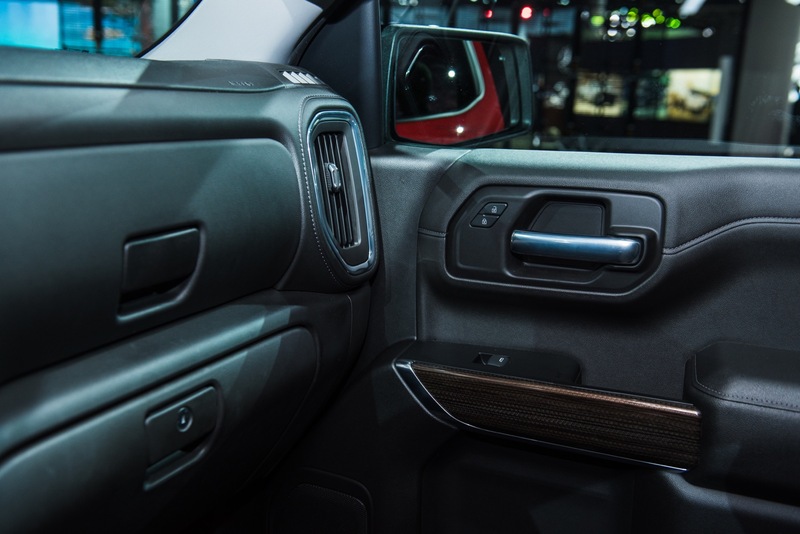 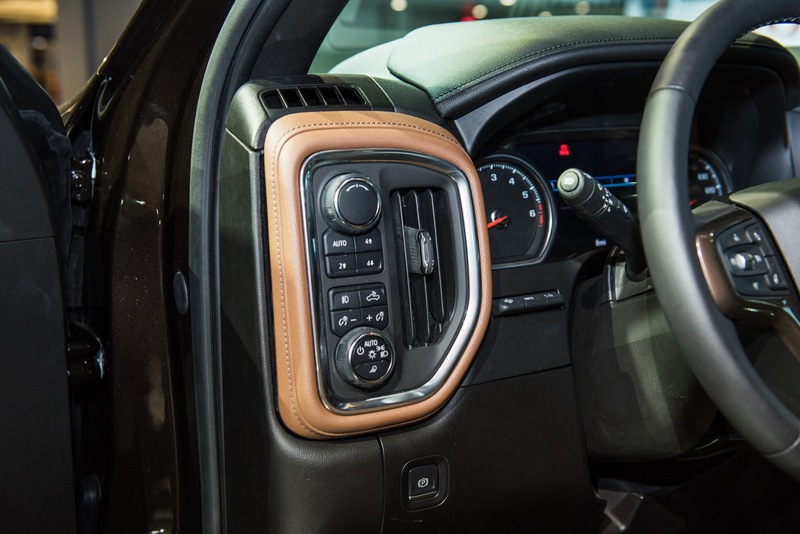 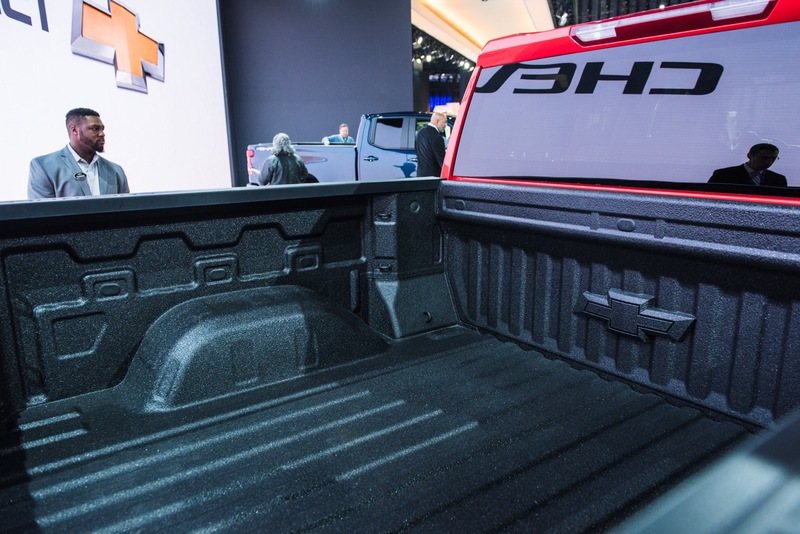 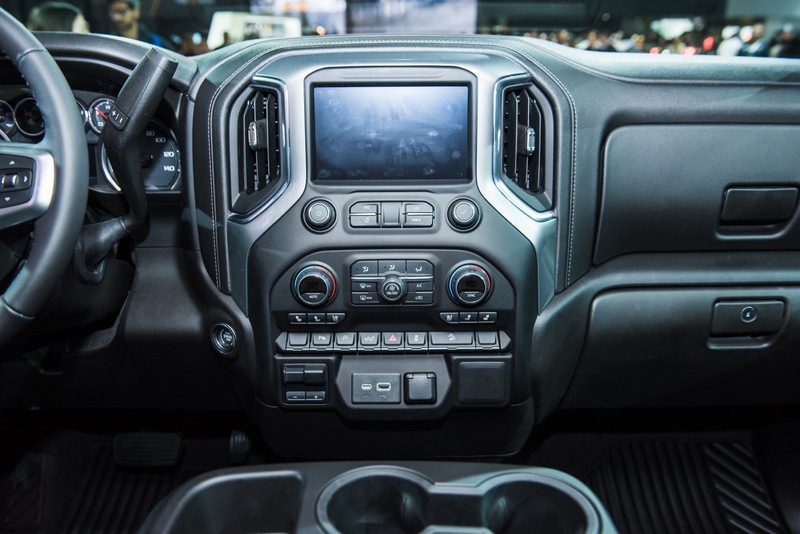 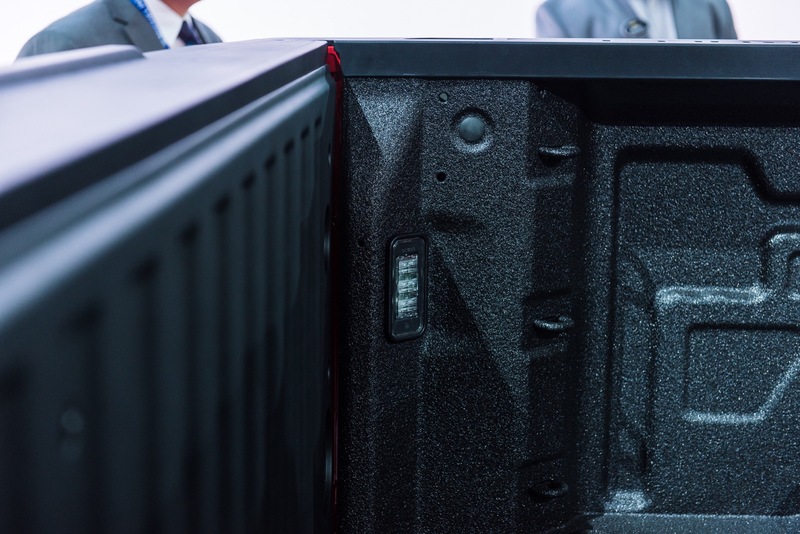 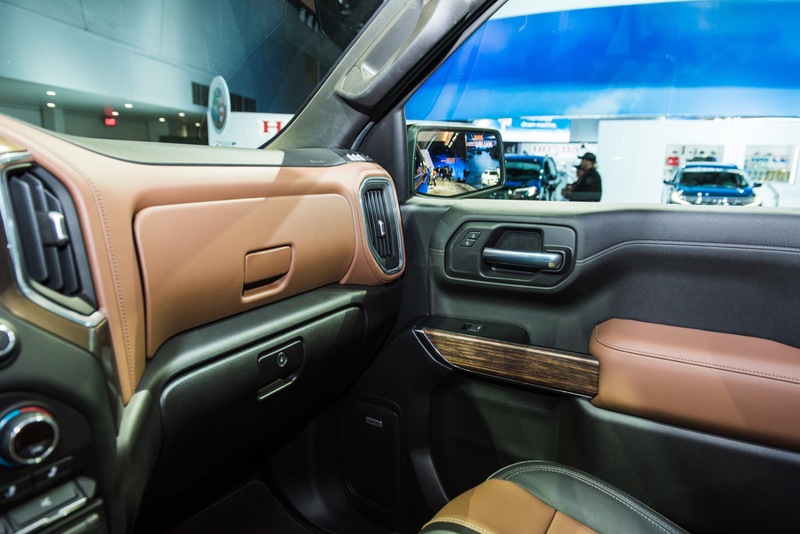 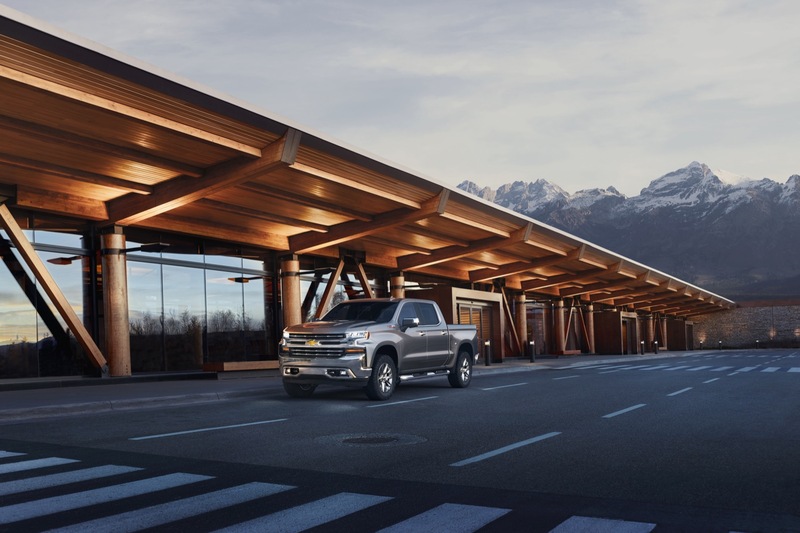 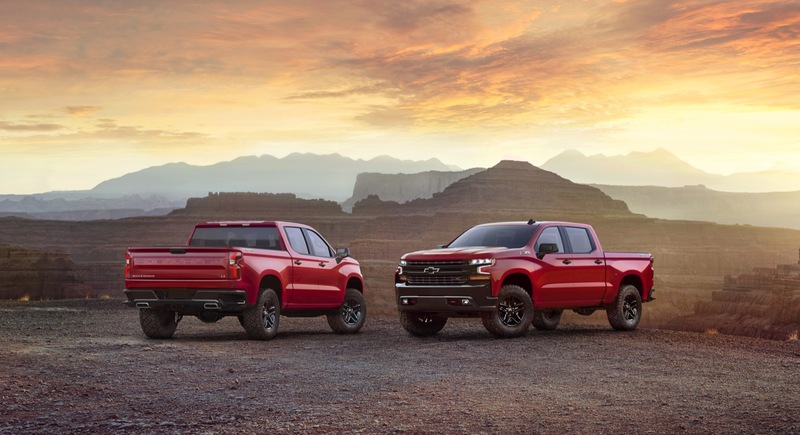 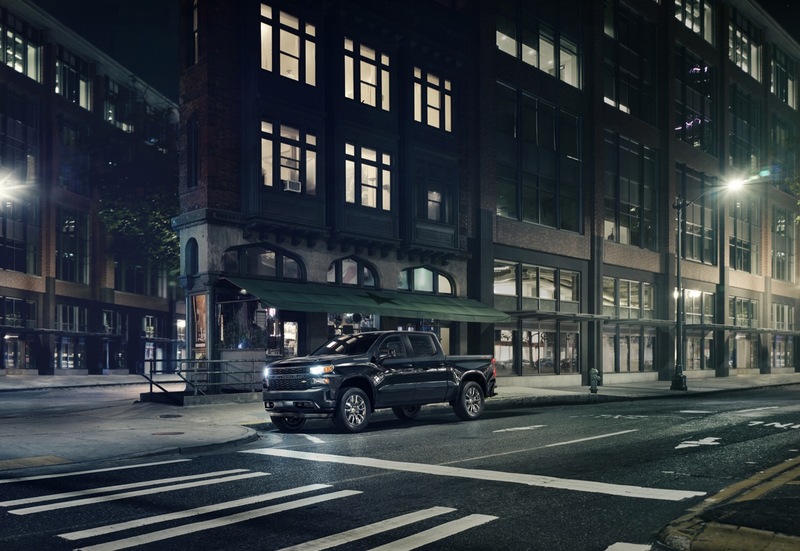 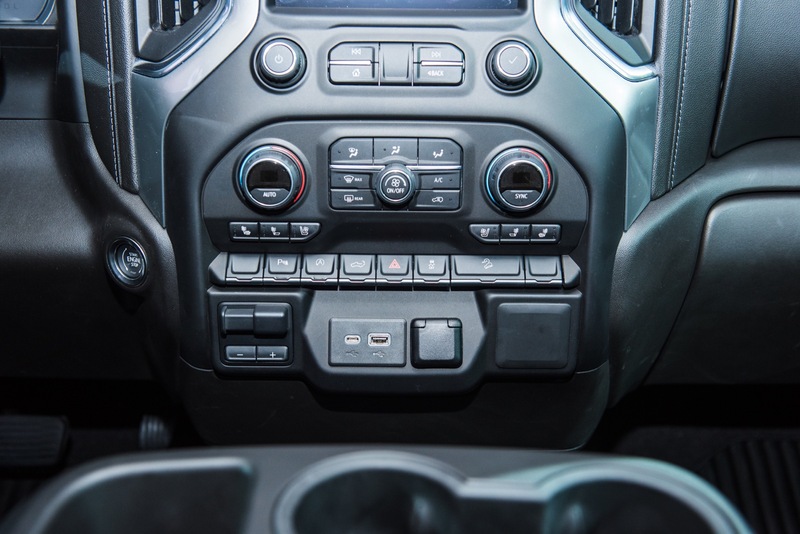 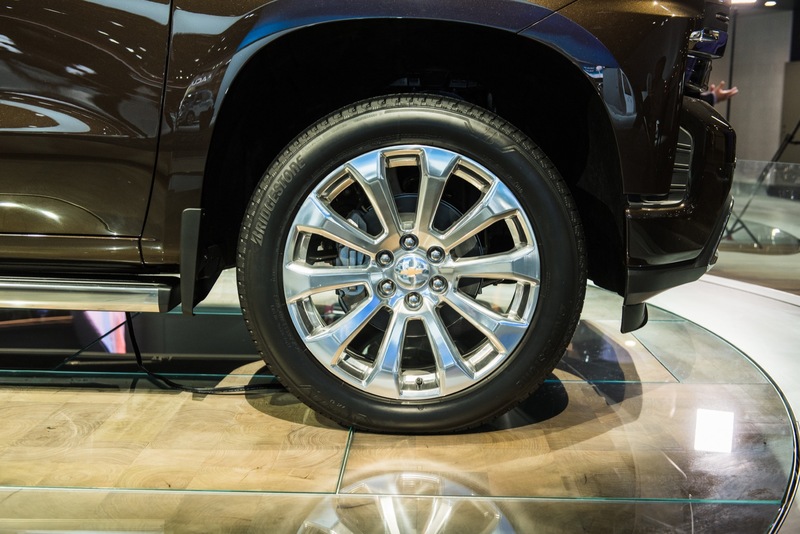 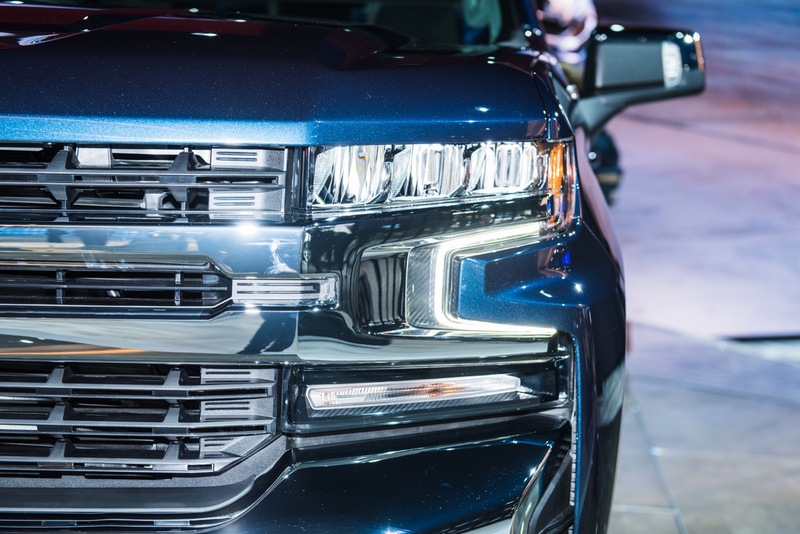 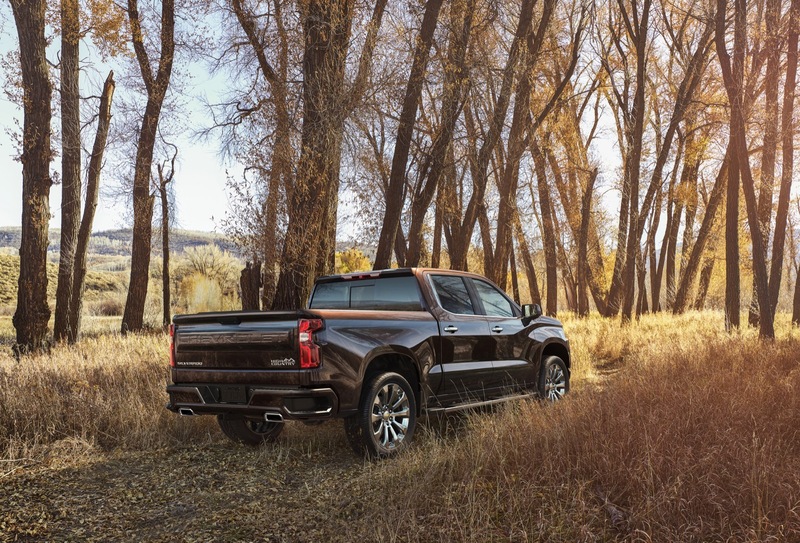 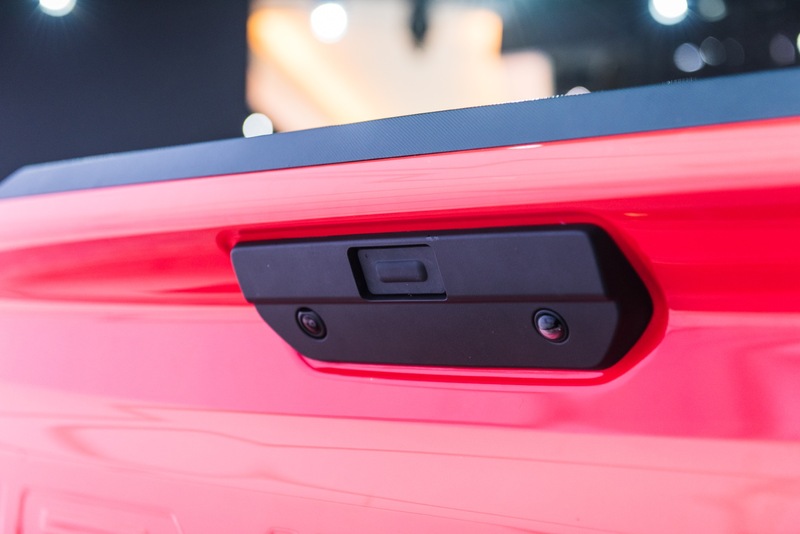 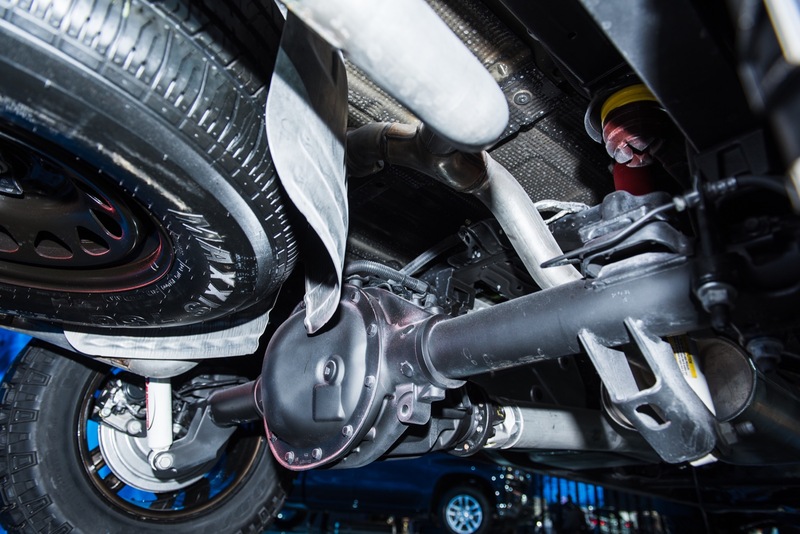 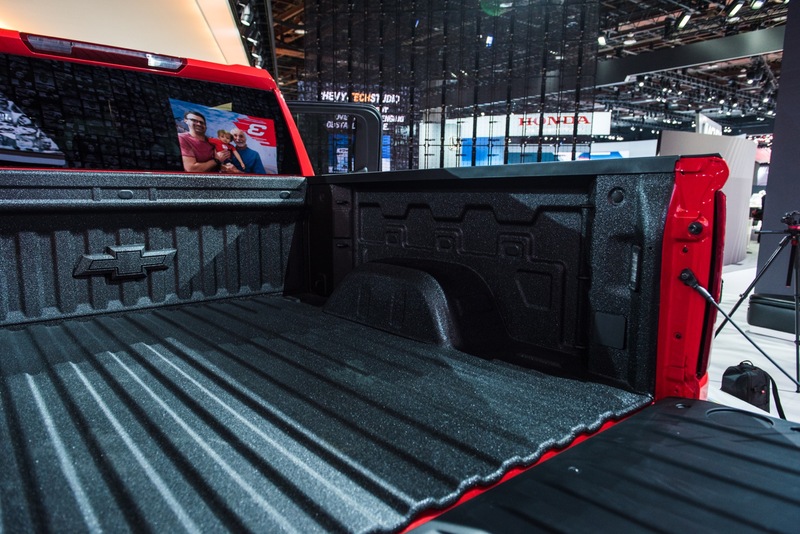 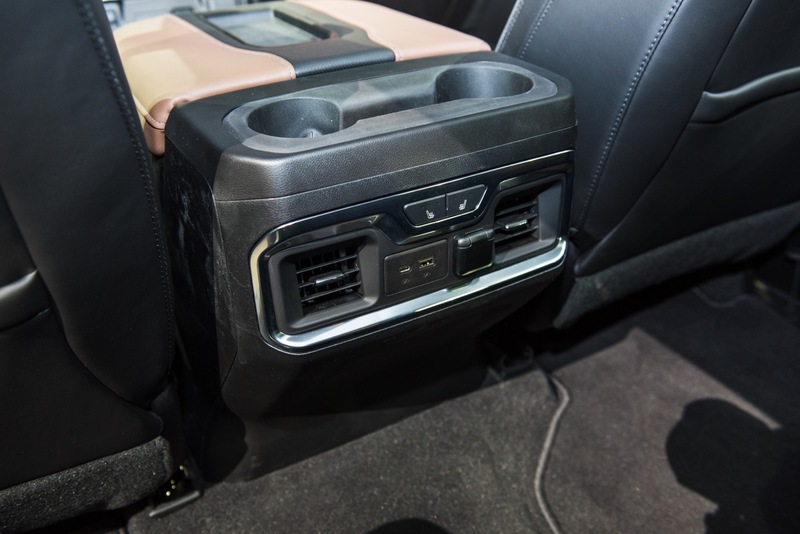 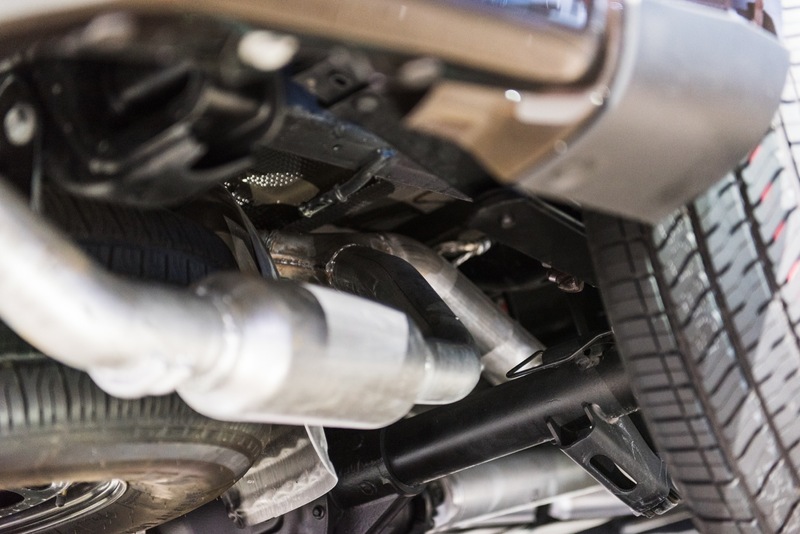 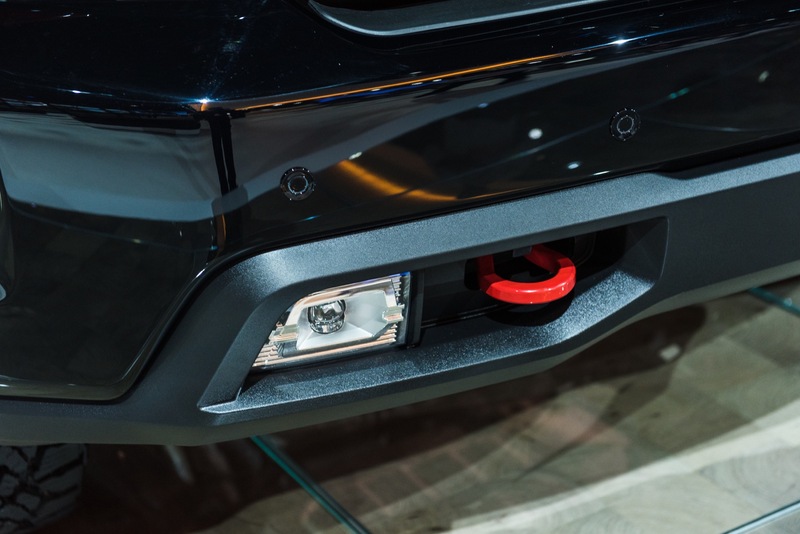 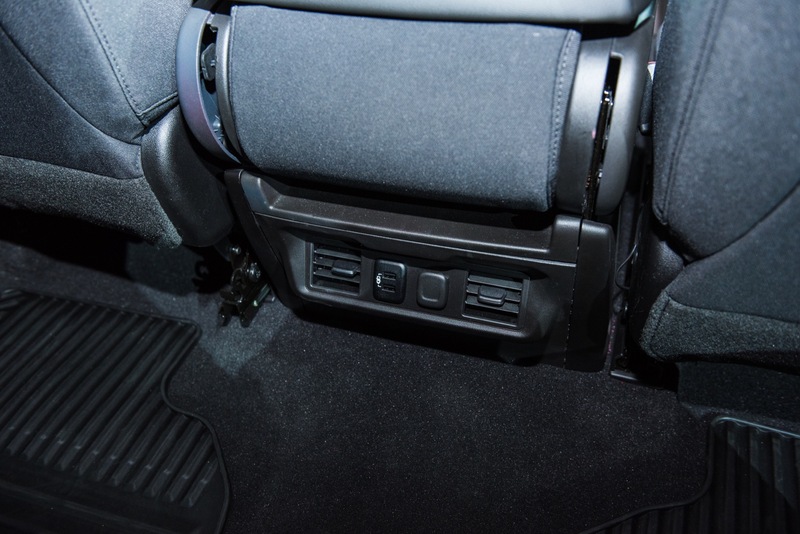 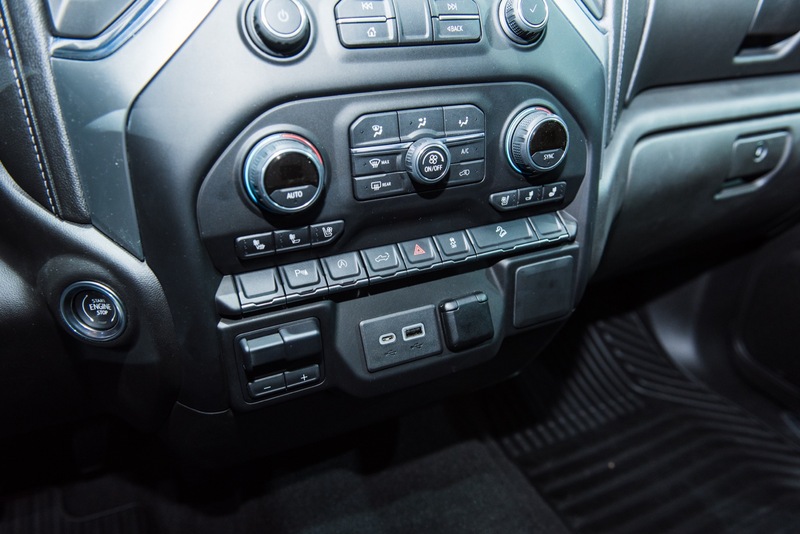 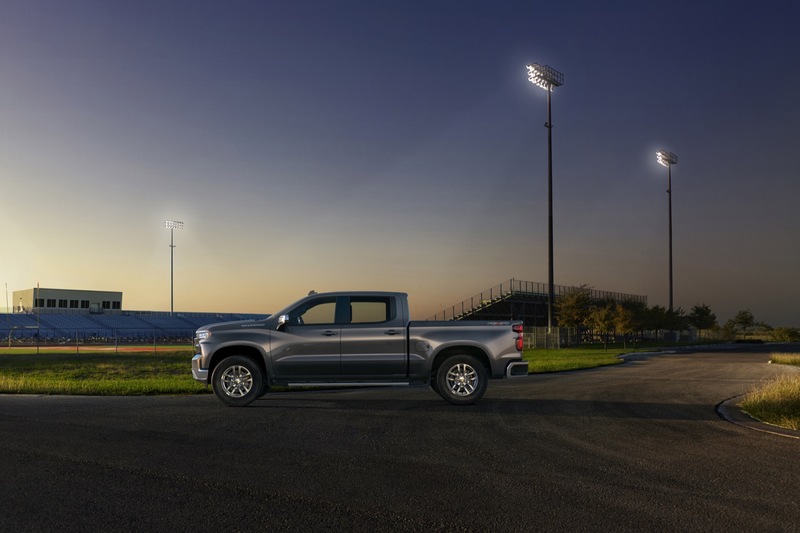 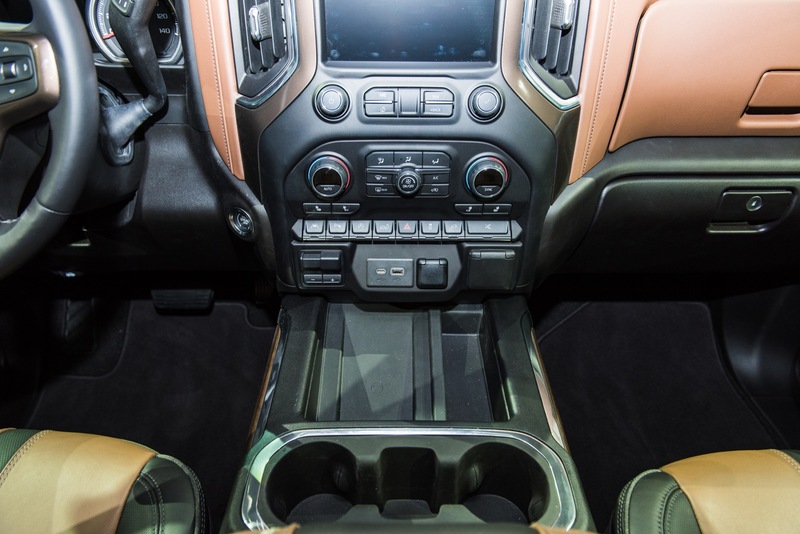 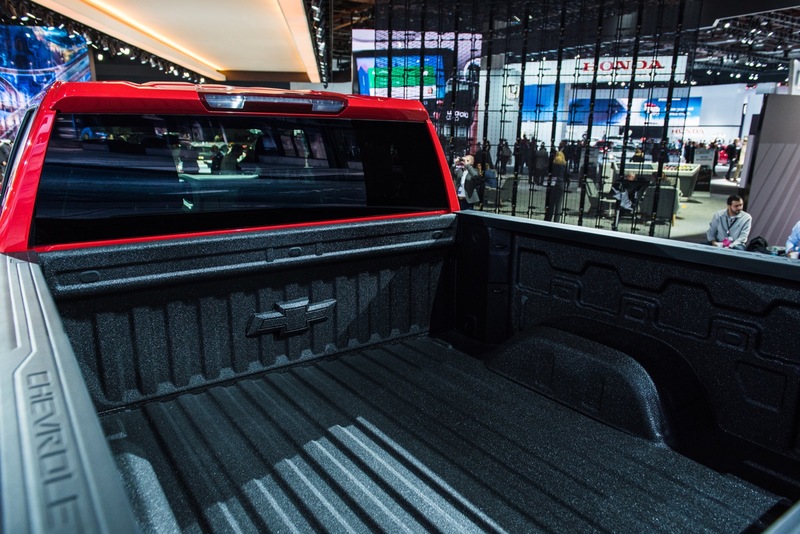 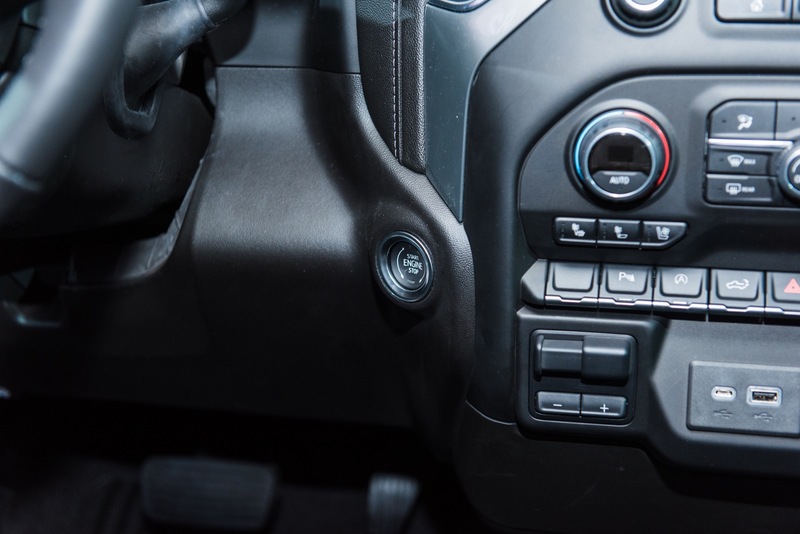 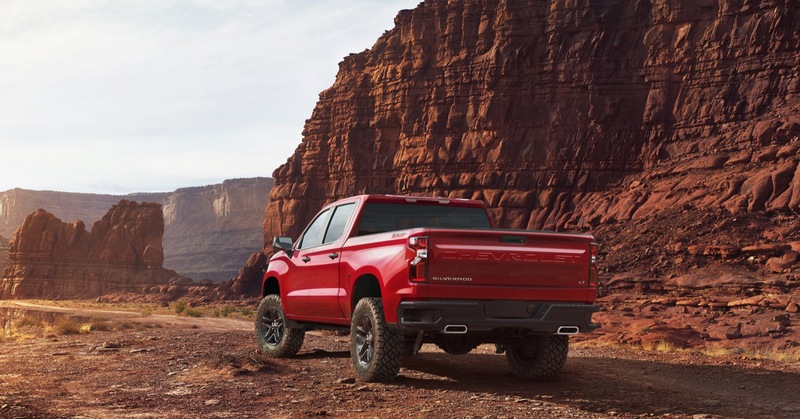 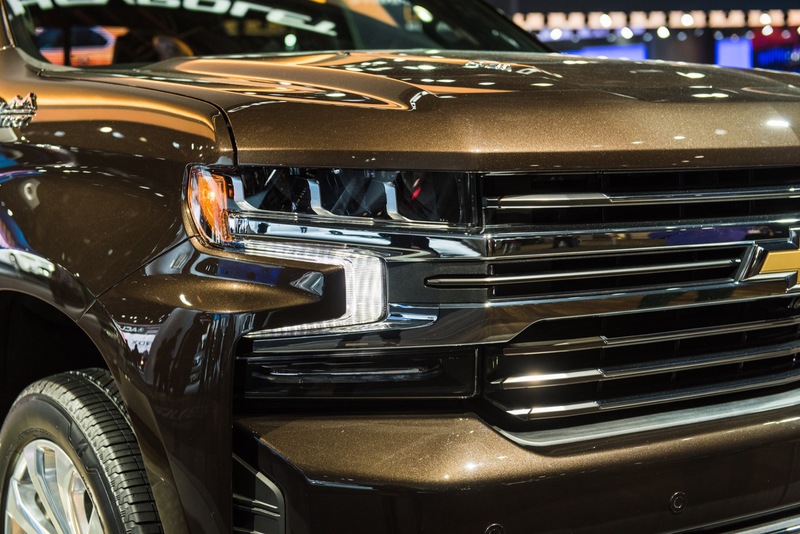 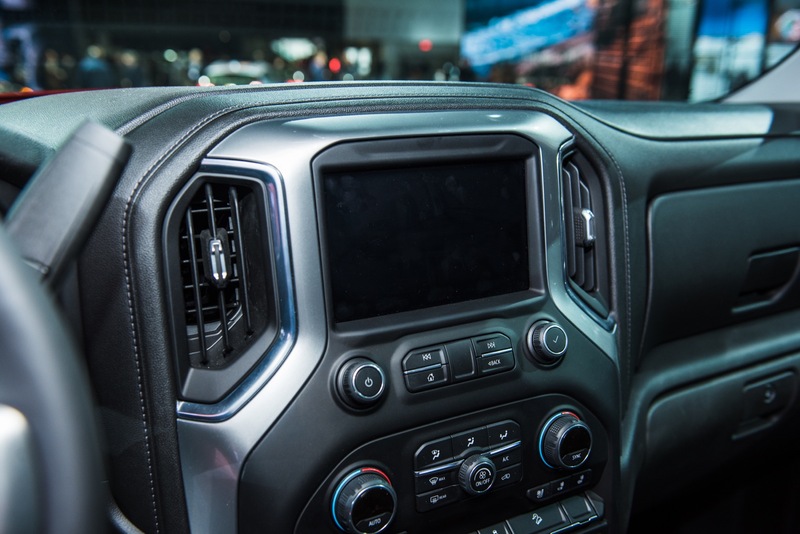 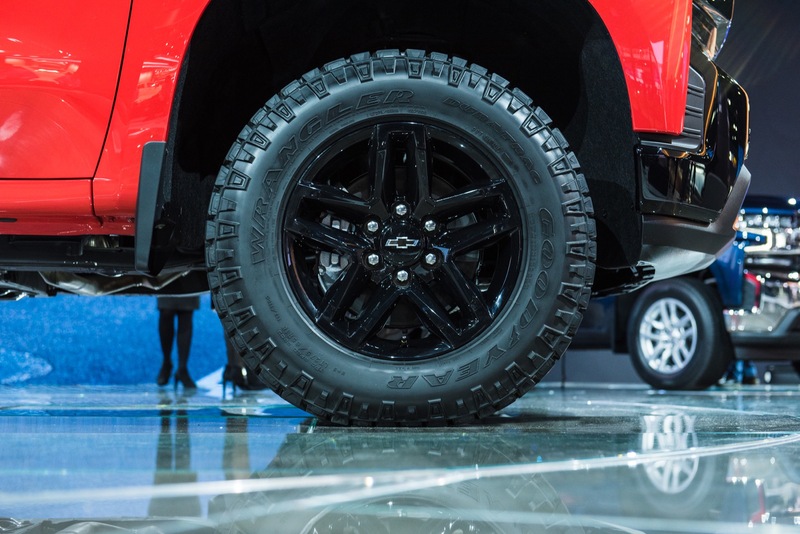 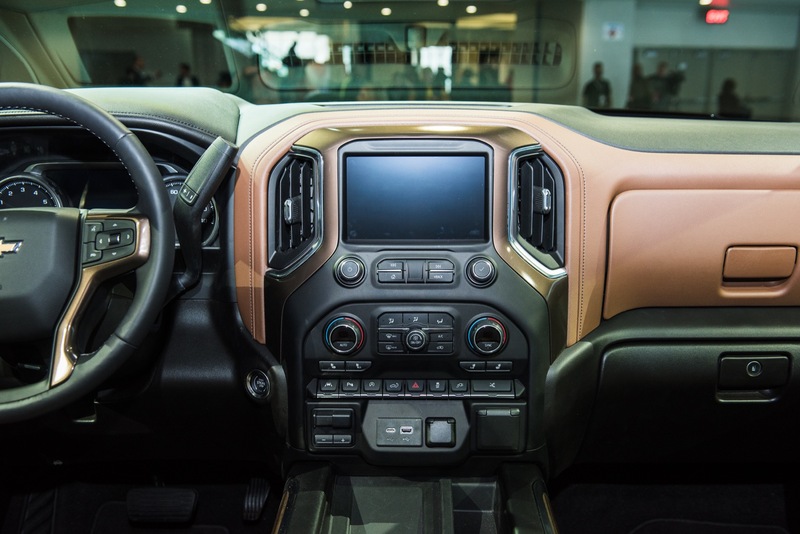 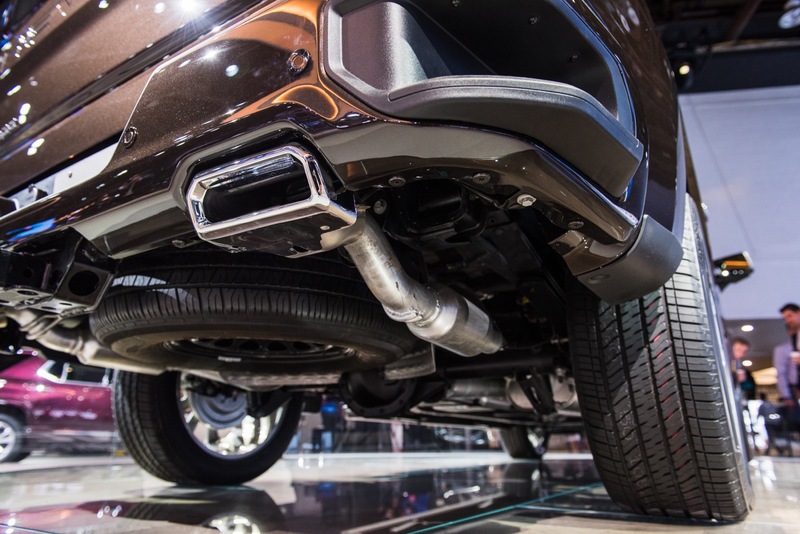 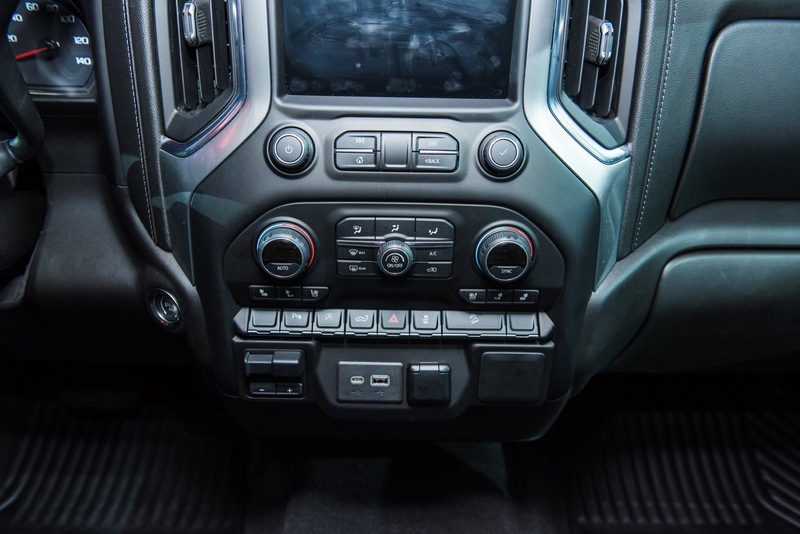 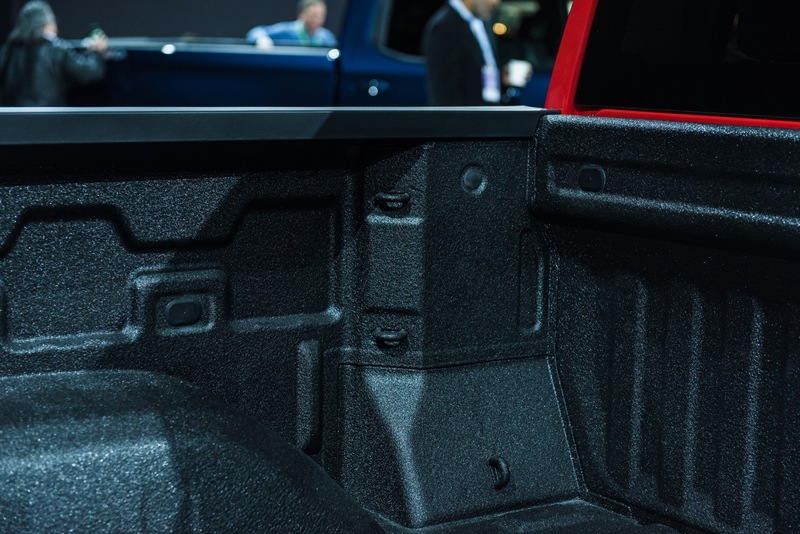 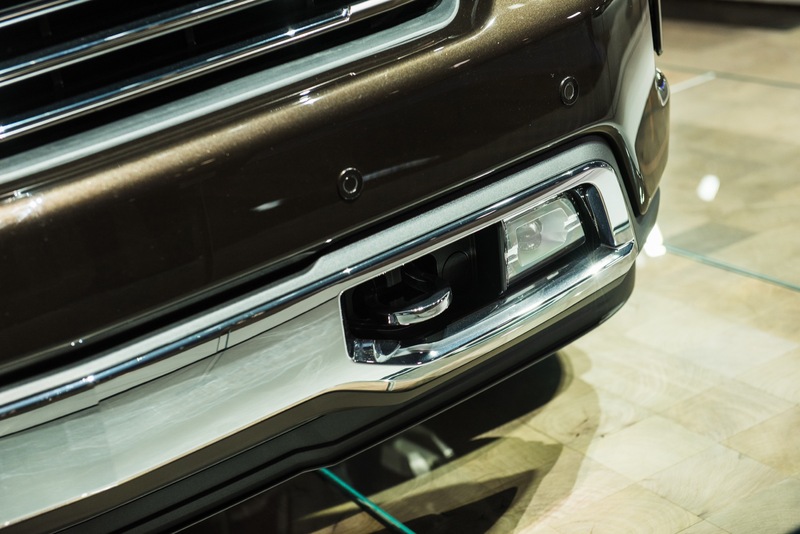 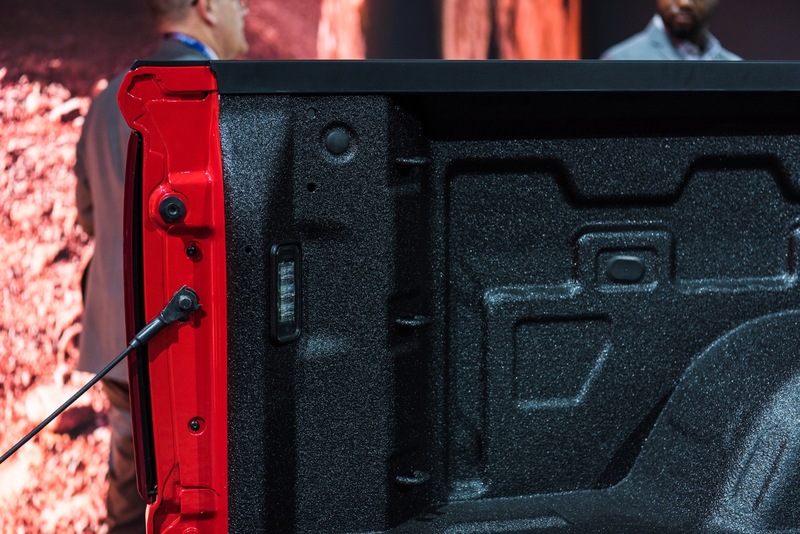 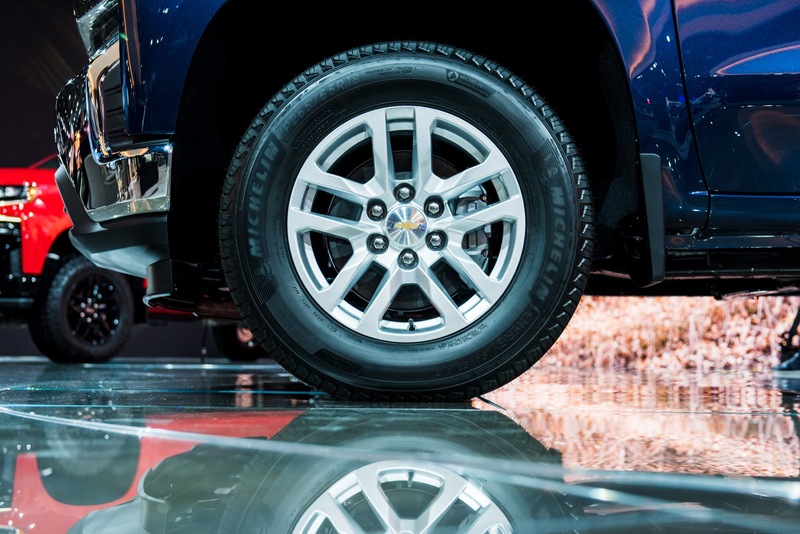 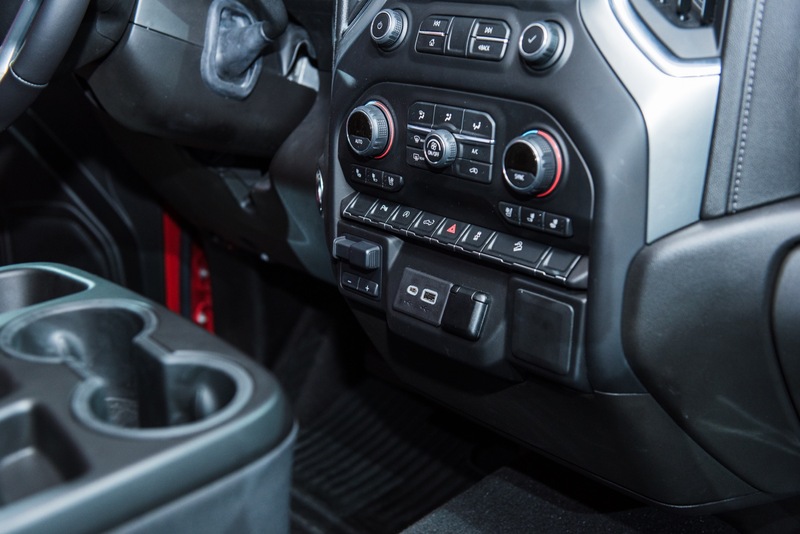 See complete information on the all-new 2019 Silverado 1500 K2 generation. 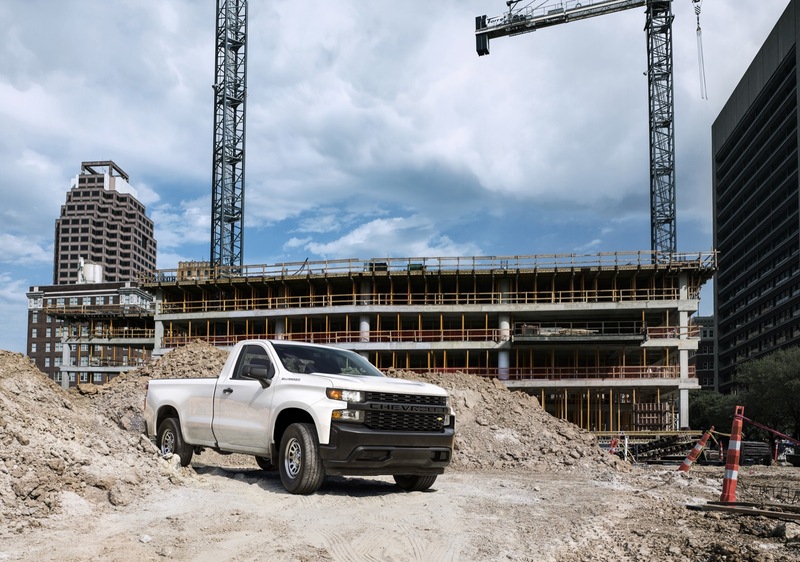 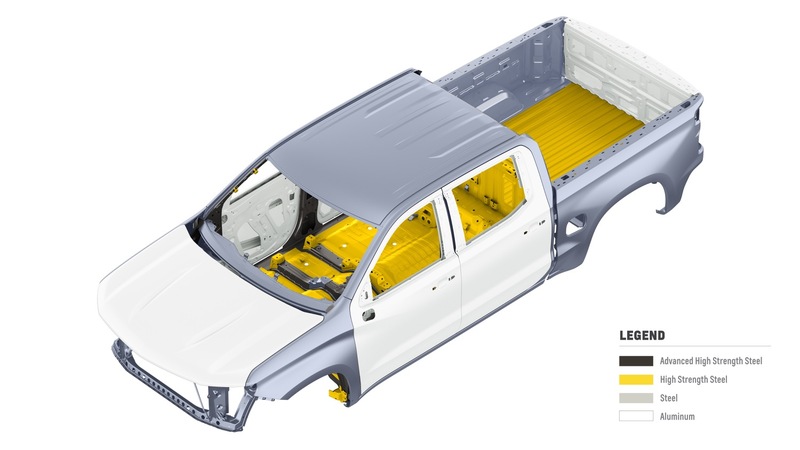 Light duty pickup trucks are used in a multitude of ways, ranging from personal and recreational to commercial, government and construction. 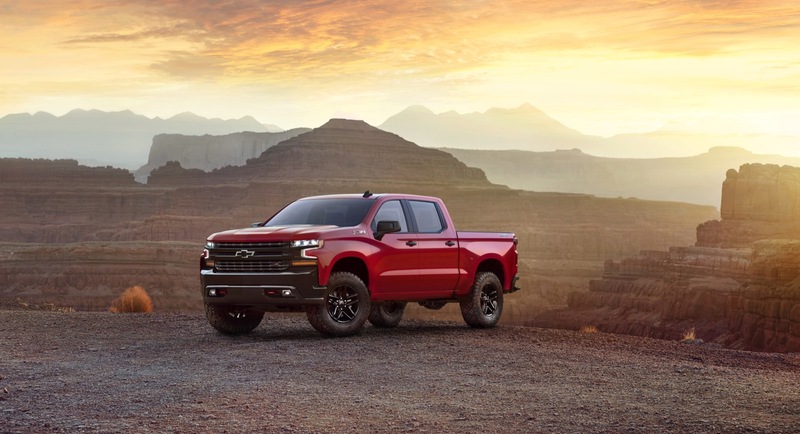 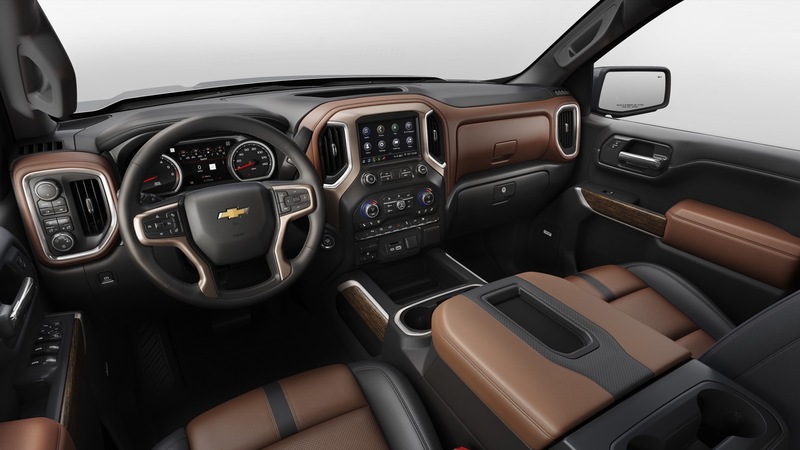 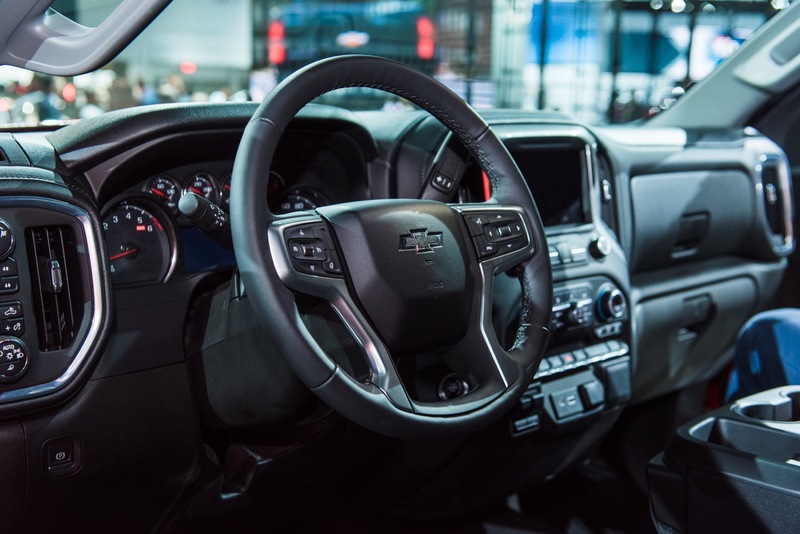 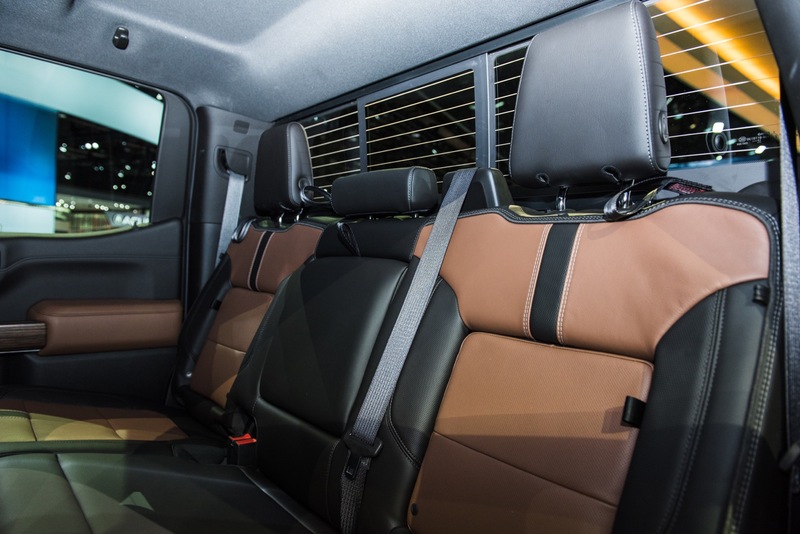 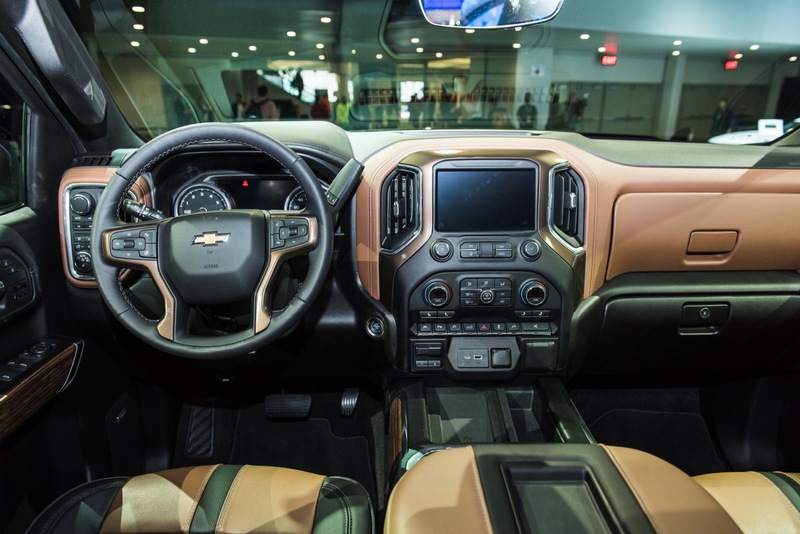 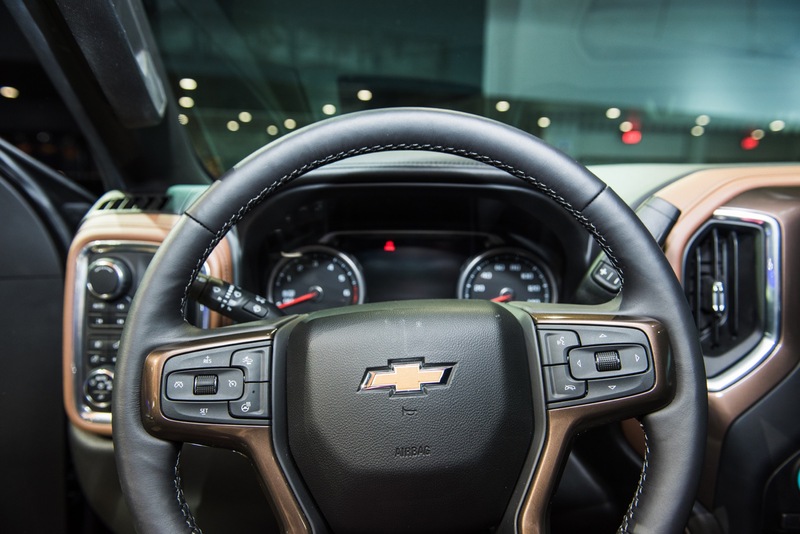 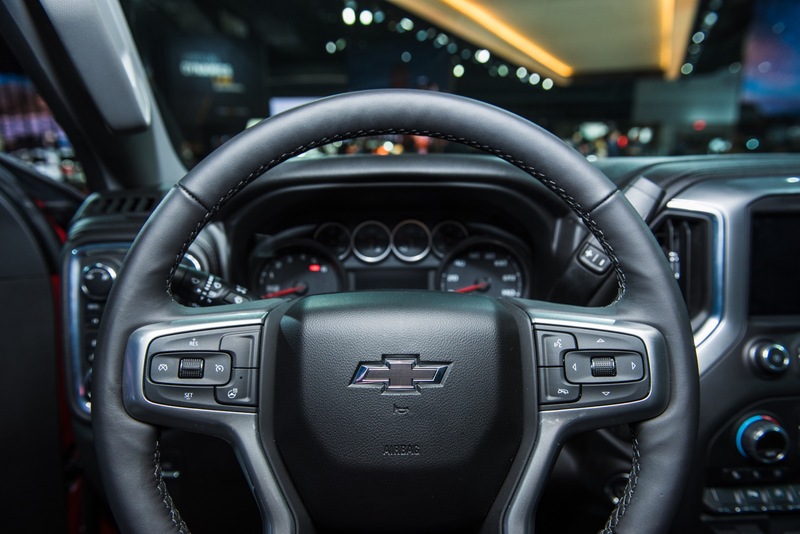 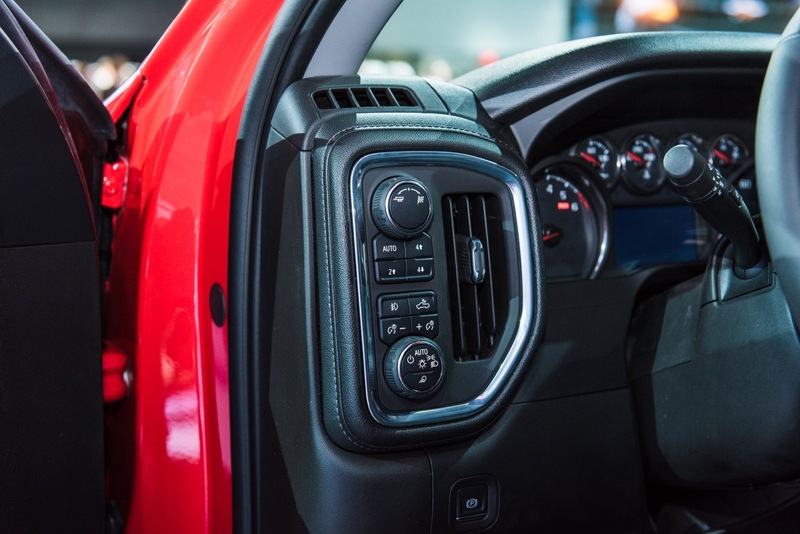 Discuss the 2019 Chevrolet Silverado 1500 in our Chevrolet forum.